Our speakers represent the leading thinkers in compliance, carefully selected to bring conference attendees actionable information in their work. Compliance Week 2019 features more than 100 speakers chosen from a wide range of industries, roles, and life experiences. For questions about our current speaker line-up, or additional speaking opportunities, please send an email to Barbara Boehler. Brian Alster is Dun & Bradstreet’s General Manager of Third Party Risk Management and Compliance. 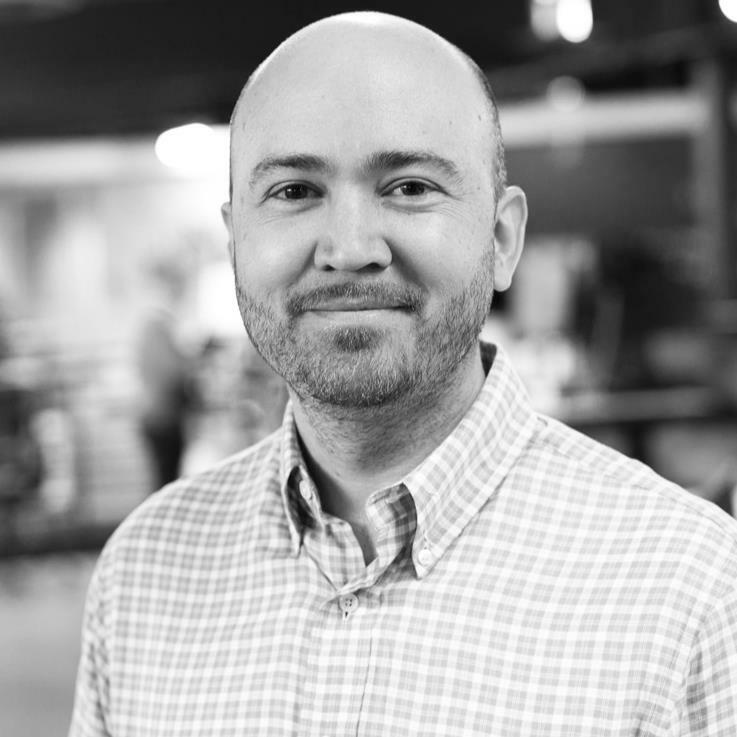 Brian is responsible for building our product strategy based on feedback from Customers and Industry Leaders, developing new and innovative products and driving incremental revenue through the sales of Third Party Risk & Compliance solutions. Brian has been with Dun & Bradstreet for eight years, and has also held various leadership roles in D&B’s Strategic Sales organization. Prior to joining D&B, Brian spent almost 20 years in the Financial Services industry. Most recently Brian worked for JPMorgan Chase is the Small Business Card division, leading both Customer Analytics and New Account Acquisition efforts across all marketing channels. Prior to joining Chase, Brian spent 12 years at MBNA America and Bank of America, working in various consumer risk and marketing leadership roles in multiple lines of business, including consumer card, mortgage, and unsecured lines of credit. 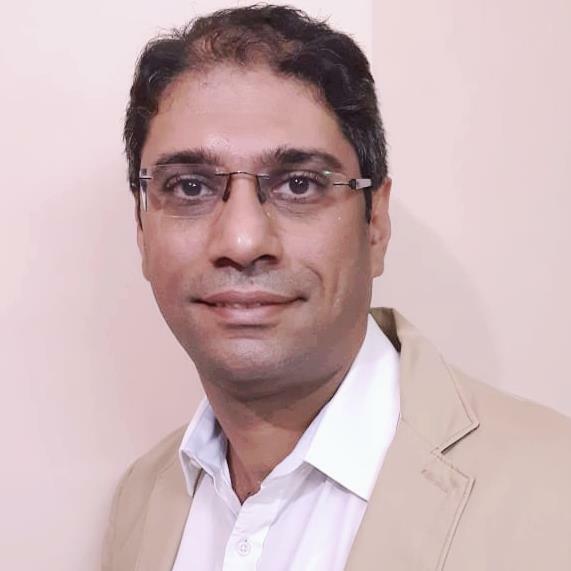 Percy is a Chartered Accountant (India) and a Certified Fraud Examiner (CFE from ACFE, USA) with over 15 years experience in governance related areas of Ethics & Compliance, Investigations and Internal Audit across industries. He is currently a Senior Investigator at Siemens Regulatory Governance Compliance Case Handling, Asia Australia based in Mumbai and responsible for handling complex and sensitive cases involving significant business improprieties, bribery & corruption and money laundering. Prior to joining Siemens, Percy was leading the Compliance and investigation activities at ACC Ltd. (Subsidiary of $26 billion LafargeHolcim group) and responsible for managing the Whistleblower Hotline, mandating and conducting internal investigations, training & communication on Compliance topics and rolling out Third Party Due Diligence process. Percy has also worked with Mahindra group ($13 billion Indian conglomerate) in Internal Audit function and with Deloitte in Statutory audits. Percy is also the Secretary of Institute of Internal Auditors (IIA), Bombay Chapter and speaker at industry and corporate forums. 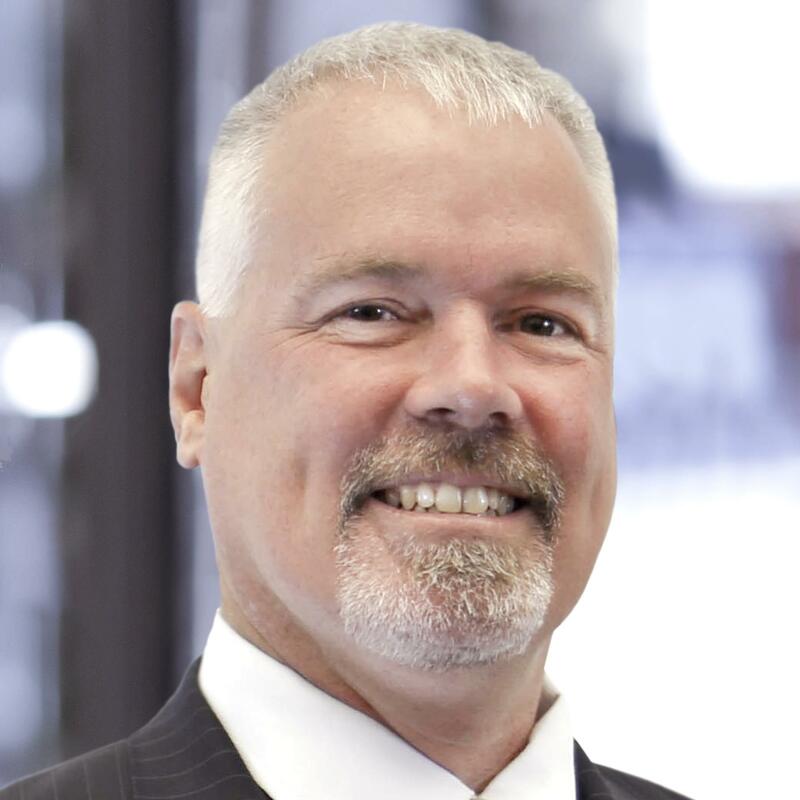 Robert Appleton is a globally recognized anti corruption/FCPA expert and one of the foremost FCPA and AML Compliance practitioners in the world. Robert is a former distinguished United States Department of Justice and United Nations prosecutor, and has led, supervised or managed more than 1000 corruption and compliance cases in over 150 countries in his more than 25-year career. Robert has served in leading enforcement, chief compliance officer, and legal roles in a number of international organizations, including the United Nations where he served for three years as the Chief of the first ever UN Anti Corruption Unit. Robert was a leading US prosecutor with DOJ for more than 14 years, where he twice won the distinguished Directors Award. Robert is regularly featured in international publications on global corruption matters; has been featured in several books on the United Nations; was featured by BBC’s Panorama in 2016 on the FIFA global soccer scandal, and is regularly quoted by leading publications on international corruption issues. Mr. Appleton currently advises companies and senior corporate officials on anti- fraud and corruption, leads international asset recovery efforts, represents whistleblowers, and has designed advanced compliance programs for many such entities. Mr. Appleton regularly conducts internal investigations for major corporations, profit and not for profit organizations and governments. 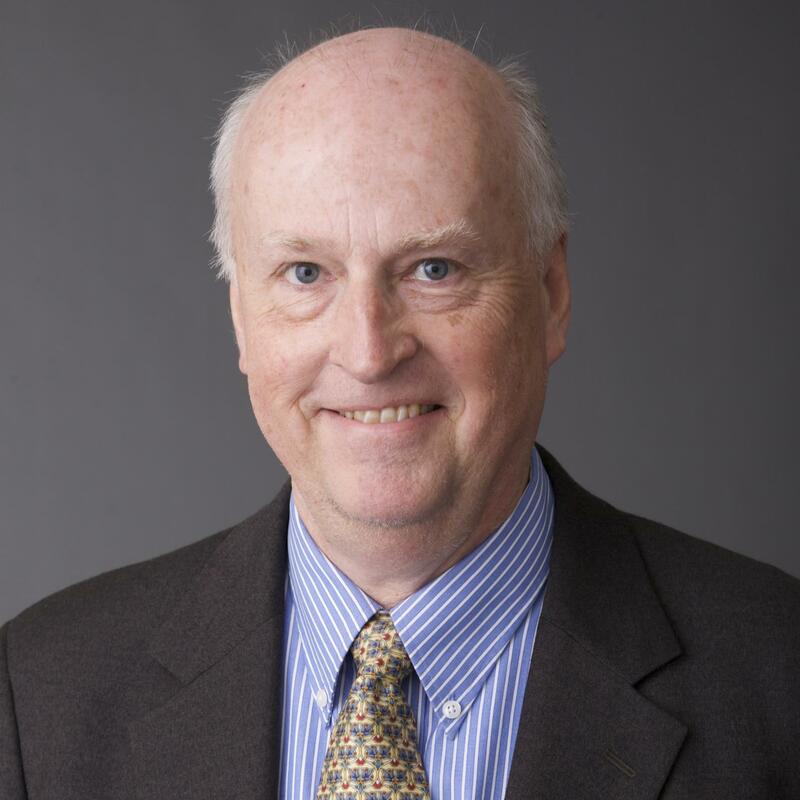 Dr. Charlie Bame-Aldred is the president and chairman of the HUB of Analytics Education. The HUB is a 501(c)3 organization registered in Massachusetts. The HUB’s mission is to provide Open Educational Resources (OER) to faculty interested in incorporating data analytics within their curriculum. The OER materials include large transactional datasets (5 million to 15 million records) with supporting information (e.g., process flowcharts and manuals) and exercises with suggested solutions. Bame-Aldred and the HUB team add fresh material each quarter to keep the educational environment current. 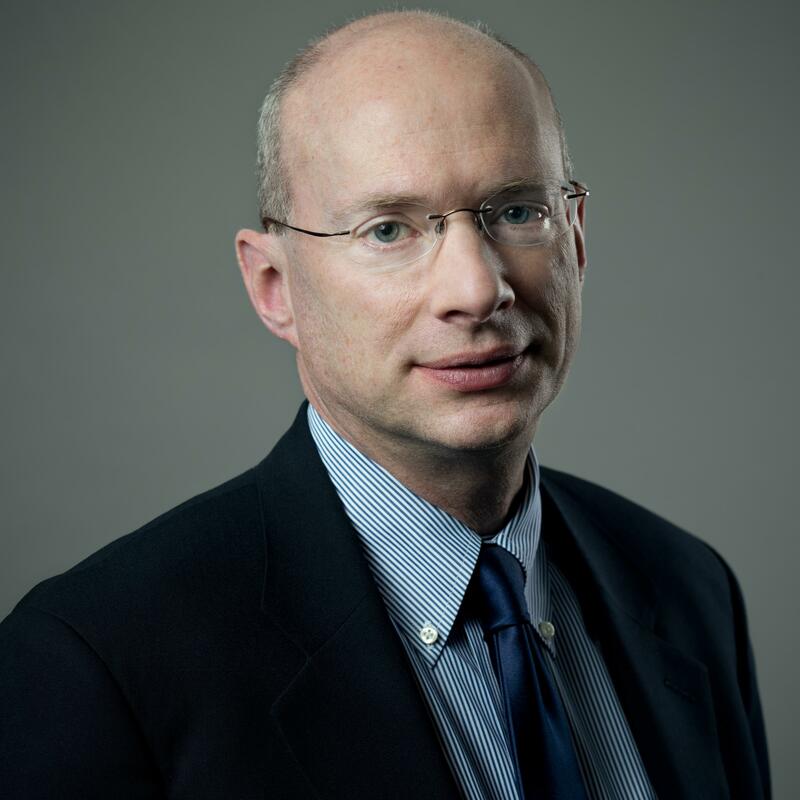 Bame-Aldred also serves as an executive professor at Northeastern University, teaching courses in internal auditing, auditing in a Big Data environment, and financial reporting. Prior to joining the academic ranks, Bame-Aldred was a senior manager for KPMG and the controller for First Union Capital Markets Corp. He currently teaches for KPMG Business School and developed executive education programs for Capital One, Manulife, and Washington Mutual. 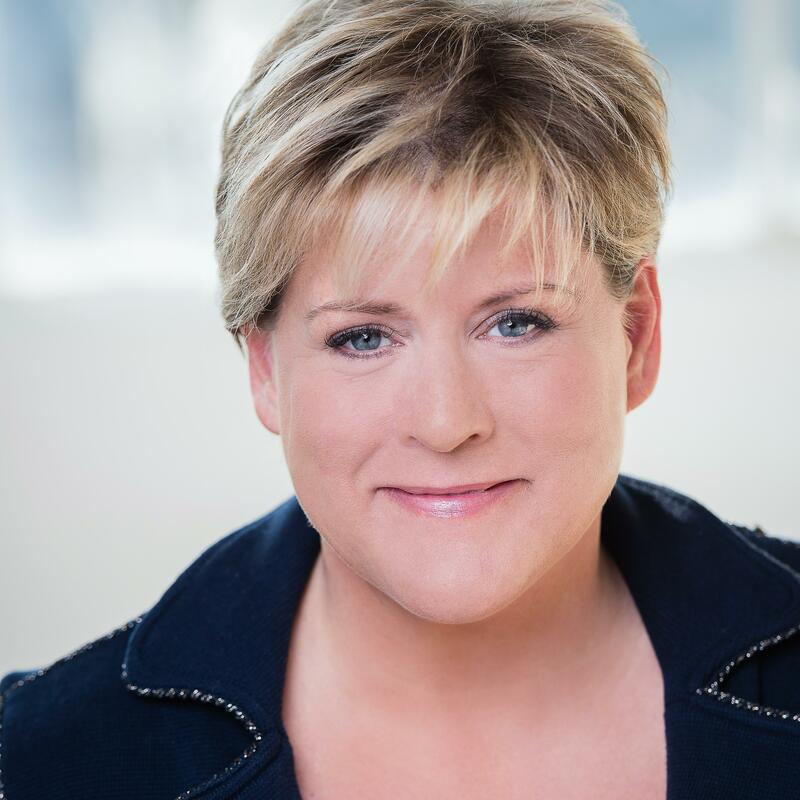 Amii Barnard-Bahn is an executive coach and strategic advisor who specializes in accelerating the success of legal, compliance and risk executives and their teams. She is an experienced C-Suite executive who has led strategy at Fortune 20 companies and nonprofits such as McKesson, Allianz and the California Dental Association for the past 20 years, leading multiple functions, including Legal, Compliance & Ethics, Human Resources, IT, Program Management, and Communications. 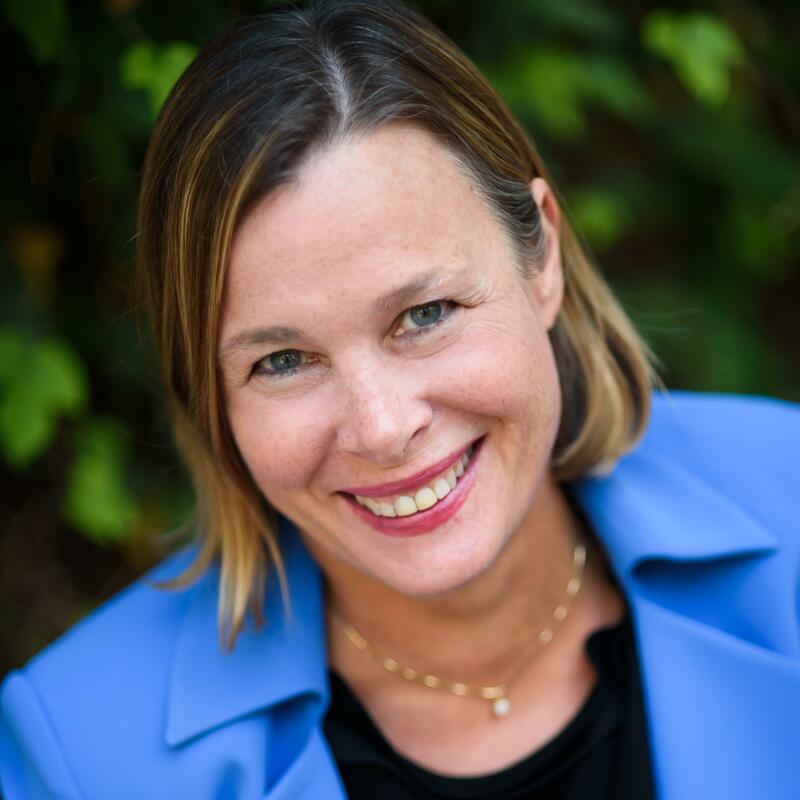 Now as an executive coach, Amii helps boards and leaders design exceptional work environments that enable organizations to out behave and outperform their competition. Recent clients include Adobe, McKesson, Gilead Sciences, The Gap/Old Navy, Sabic Petrochemical, Chegg, The Nature Conservancy, and York Risk Services Group. Amii earned her law degree from Georgetown University Law Center and her Bachelor of Arts in English from Tufts. She is a Fellow at the Institute of Coaching, McLean Hospital – Harvard Medical School, a certified executive coach by the International Coach Federation. 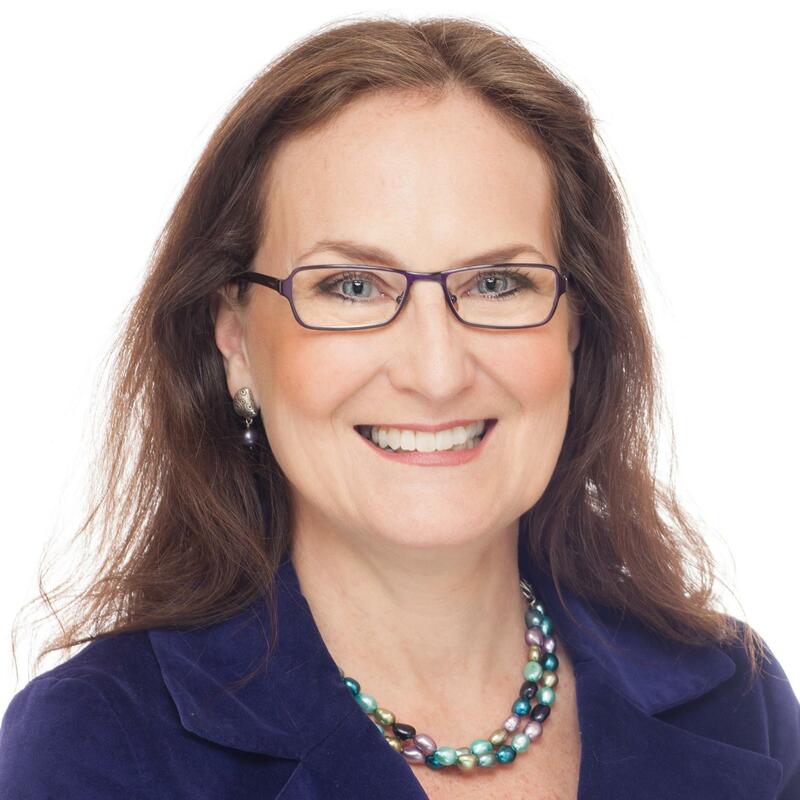 Amii is a leadership columnist at Compliance Week and a favorite guest on the Compliance Podcast Network, covering CEO, board and governance best practices. A lifelong diversity advocate, Amii recently testified in multiple legislative committees on the successful passage of CA SB826, the first law in the U.S. requiring corporate boards to include women. 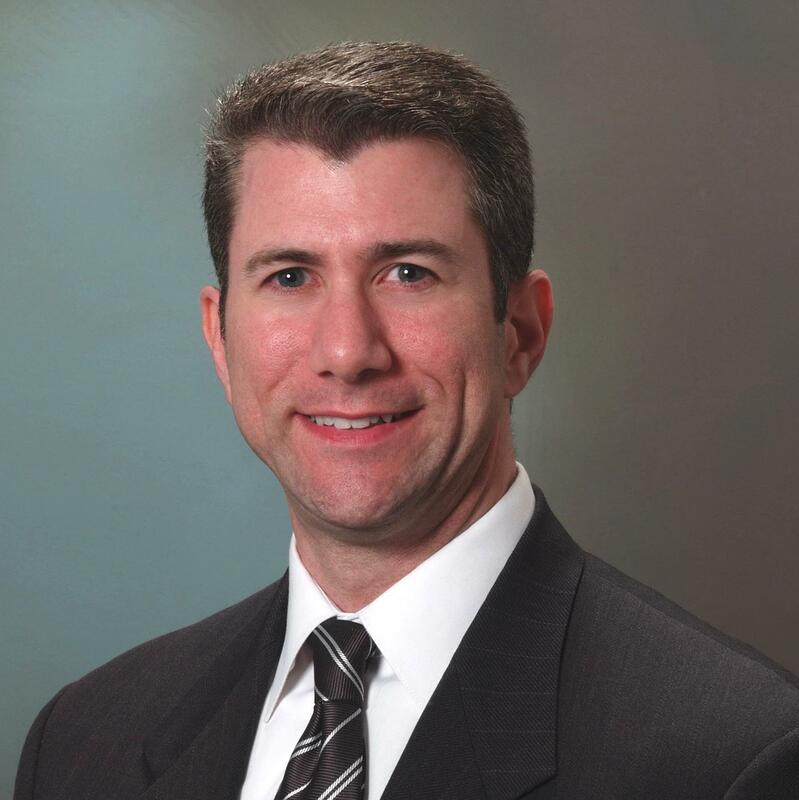 Ben Bard is VP, global chief compliance officer for Archer Daniels Midland Co. In that role, he leads ADM’s Office of Compliance and oversees the company’s global compliance policies and programs, including the code of conduct, ethics helpline, anti-corruption, trade compliance, antitrust/competition law, data privacy/protection, and conflict of interest programs. Bard worked for The Coca-Cola Co., responsible for managing the company’s international ethics and compliance programs, including anti-corruption, global trade sanctions, anti-boycott, conflict of interest, and third-party due diligence. Prior to his time at Coca-Cola, Bard worked in compliance and risk management roles for Capital One Financial Corp.
Bard serves on the boards of the Ethics & Compliance Association and the Chicago Legal Aid Society and is a guest lecturer on corporate compliance at Northwestern University School of Law. In 2018 he was named by Compliance Week as a Top Mind in the field of governance, risk, and compliance. Michelle Beistle is an attorney, privacy officer, and strategic business partner with a passion for creating and sustaining ethical and privacy-first cultures through innovative programs. She leads the Unisys global privacy and ethics programs and counsels the business on cyber-security and privacy laws and regulations around the world. Beistle is a recognized thought leader and passionate champion of organizational convergence and the bilateral, and inseparable influence that cyber-security and in-house counsel have on the success of the organization. Beistle is an active member of the International Association of Privacy Professionals, Association of Corporate Counsel, and Society for Corporate Compliance and Ethics. 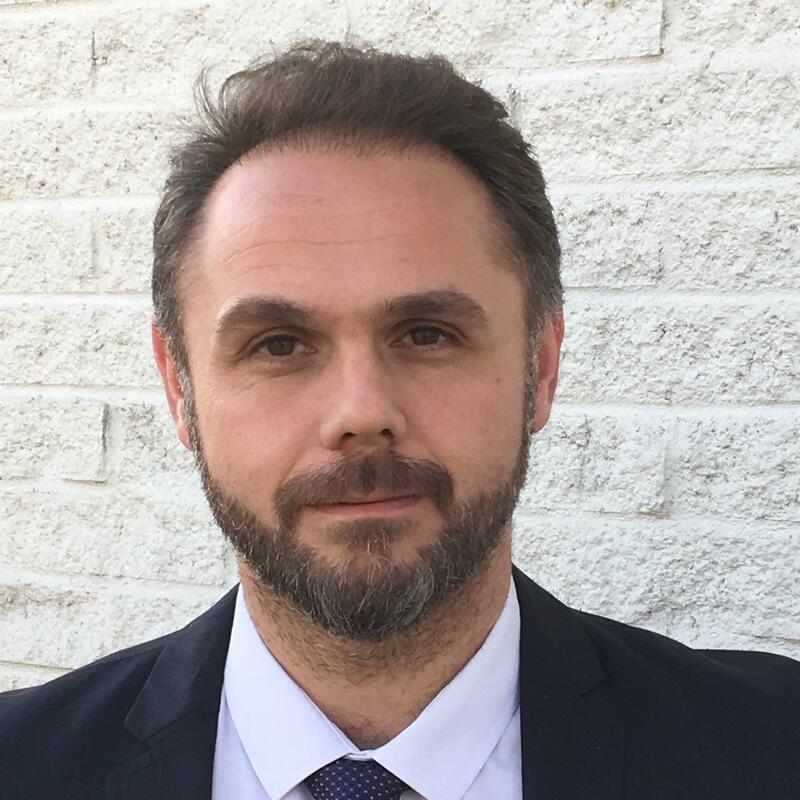 Richard Bistrong is the CEO of Front-Line Anti-Bribery and spent much of his career as an international sales executive and currently consults and speaks on foreign bribery, ethics, and compliance issues from that front-line perspective. In 2018, Bistrong was named by Thomson Reuters as one of the top 50 social influencers in risk and compliance. In 2017, he was named by Compliance Week as a Top Mind in the field of Governance, Risk, and Compliance, and in 2016 he was named one of Ethisphere’s 100 Most Influential in Business Ethics. Bistrong is a contributing editor of the FCPA Blog. He presents to diverse groups such as the World Bank, the International Anti-Corruption Academy, as well as to multinationals and conferences on a global basis. Bistrong can be reached via his Website at www.richardbistrong.com, e-mail at RichardTbistrong@gmail.com, and he often tweets at @richardbistrong. 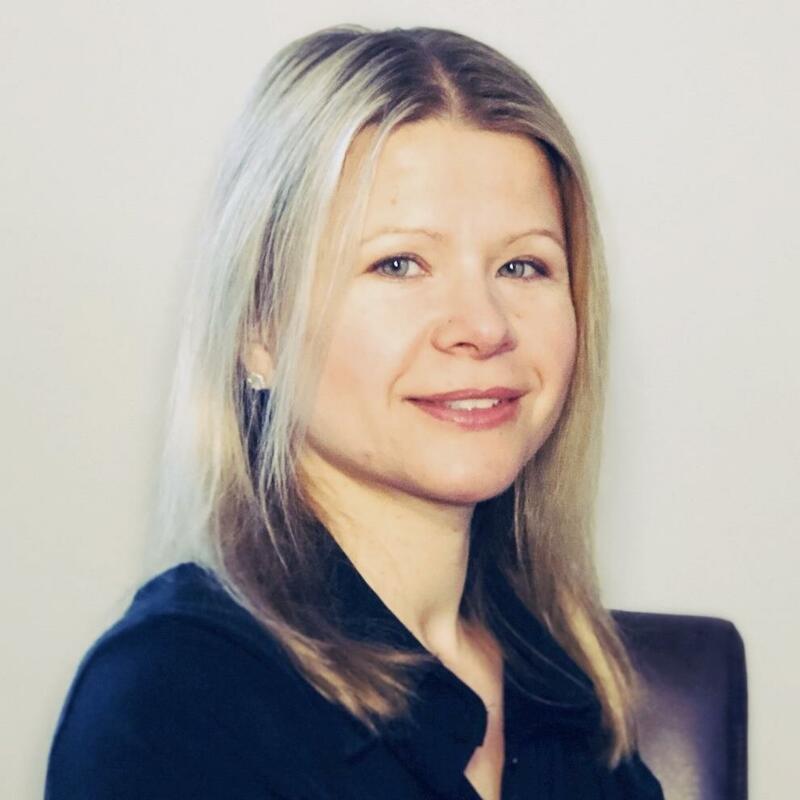 Lara Bliesner currently serves as senior counsel of privacy and data protection at Arm Inc. She has over 15 years of experience providing legal advice on privacy issues particular to SaaS providers, not only on compliance issues but commercial transactions and product development. Dr. Andrea Bonime-Blanc is founder and CEO of GEC Risk Advisory, a strategic governance, risk, ethics, and cyber-advisor to business, non-profits, and government. She is the independent ethics advisor to the Financial Oversight and Management Board for Puerto Rico and a governance mentor at Plug & Play Tech Center. For two decades, she was general counsel, chief ethics, compliance, risk, audit, EHS, and information security officer at several global companies, including Bertelsmann, Verint & PSEG. She holds the Carnegie Mellon CERT Certificate in Cybersecurity Oversight, is an NACD Board Leadership Fellow and NACD Governance Faculty, and has served on boards for over two decades, including as chair twice. She started her career as an international transactional lawyer at Cleary Gottlieb. Her latest book is Gloom to Boom: How Leaders Transform Risk into Resilience and Value (Routledge 2019). Her previous books include The Reputation Risk Handbook (Greenleaf 2014) and The Artificial Intelligence Imperative (coauthored) (Praeger 2018). 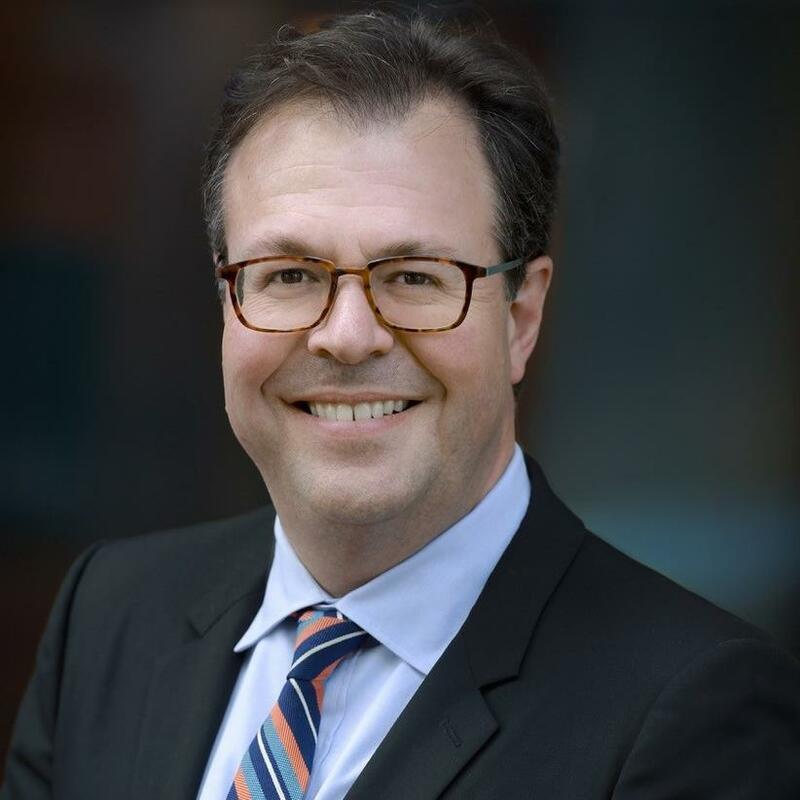 Robert Bostrom served as SVP, general counsel & corporate secretary at Abercrombie & Fitch and had global oversight and management responsibility for all legal, compliance, ethics, regulatory, and corporate governance matters and the corporate secretary function. He joined Abercrombie from Greenberg Traurig compliance group. From 2006 to 2011, Bostrom served as EVP, general counsel and corporate secretary of Freddie Mac with responsibility for legal, regulatory and corporate governance matters. Prior to Freddie Mac, he served as the managing partner of the New York office of Winston & Strawn, a member of the firm’s executive committee, and head of its Financial Institutions Group. His awards include, among others: the 2018 Burton Legends In Law Award; the 2016 NYSE Governance Series Distinguished General Counsel Award; and the General Counsel of the Year Award by the ILO and ACC in 2015. He also was selected by The National Law Journal as Washington’s most influential in-house counsel in 2011. 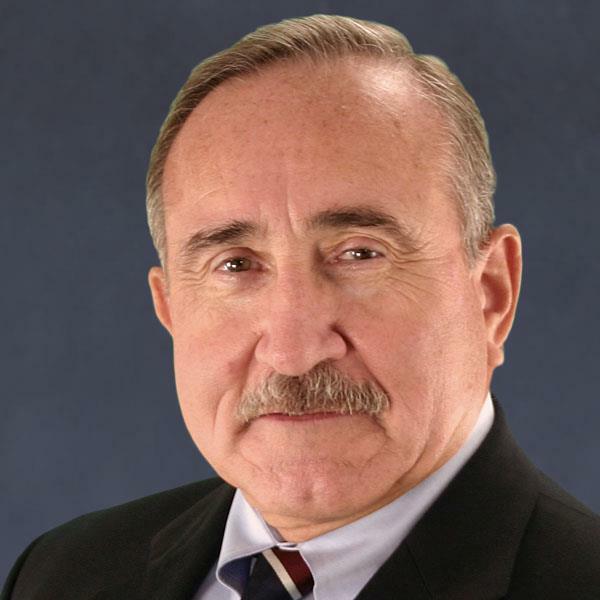 Bob Bowman entered the property & casualty insurance industry in 1990, with Safeco Insurance Cos. and spent seven years with them in a variety of auto, property, and casualty claims-related roles. Bowman joined Macy’s in 1997 and held a variety of roles within their risk management department, including oversight of self-administered Workers’ compensation, auto liability, general liability, and property claims, risk management systems and IT operations, risk management reporting, business continuity planning and crisis management, as well as Insurance program design, placement, and management. Bowman joined Wendy’s in 2014 and is currently senior director, risk management. He shares responsibility for the evolving integrated risk management functions, including traditional risk management components such as insurance procurement, claims management and safety, as well as emerging and non-traditional components such as enterprise risk management, business continuity, compliance, and incident response management. Jennifer Brewer is VP, compliance & chief risk officer at Activision Blizzard. She manages all aspects of the ethics & compliance and risk management functions across Activision Blizzard, including a worldwide ethics & compliance team. Brewer began her career as a corporate associate at Skadden, Arps in Los Angeles, focusing on mergers & acquisitions. From Skadden, she took a role as general counsel of The Firm, a talent management company. From there she went to CODA Automotive, a start-up electric car company. At CODA, in addition to corporate affairs, she was responsible for all parts of compliance and risk. In 2012, she joined Activision Blizzard as the director, compliance & corporate governance, with responsibility for ethics and compliance, corporate governance, and financing. In 2015, she inherited responsibility for risk management as well. Corporate Compliance Officer, The Hartford Financial Services Group, Inc.
Susan Castaneda has over 25 years of experience in the insurance industry serving in a number of operational, sales, underwriting, and compliance leadership roles. As a leader, she focuses on delivering results and developing high-performing teams. Castaneda is The Hartford’s corporate compliance officer and leads a team responsible for corporate compliance functions including compliance standards & programs, compliance data & analytics, regulatory affairs, ethics office, and training awareness. She is also the compliance officer for the enterprise data organization, the corporate technology officer, and strategic sourcing & real estate. Castaneda is a licensed property & casualty agent and serves as the signatory for The Hartford’s property & casualty business. Before joining the Law Department, she held a number of leadership roles at The Hartford including personal lines sales director in which she led a 225-person team focused on selling and servicing automobile and homeowner products. 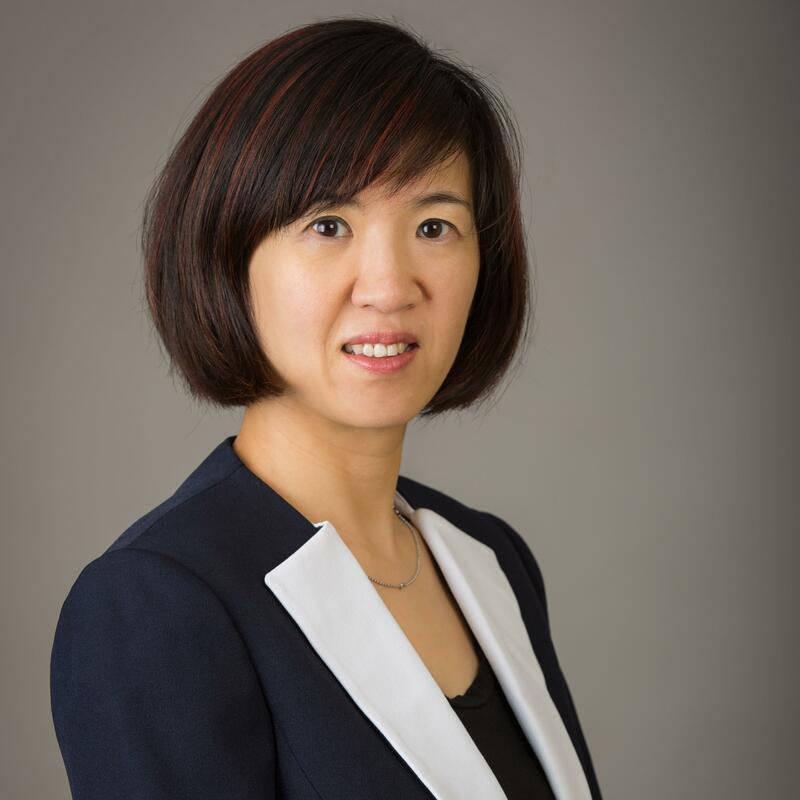 Hui Chen is an international leader in organizational ethics and compliance and works with companies and governments around the world. 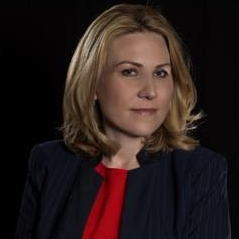 She has served as a federal prosecutor and expert adviser in the Department of Justice and authored the Fraud Section’s well known “Evaluation of Corporate Compliance Programs,” which has been widely praised by compliance practitioners and recognized by global regulators and standard setters. She had served as a senior legal and compliance leader in Microsoft Corp., Pfizer Inc., and Standard Chartered Bank, in locations around the world, including Munich, Beijing, New York, London, and Washington, D.C. She is a regular columnist for Bloomberg Law, maintains a popular blog, and has published and been interviewed frequently, including in the Harvard Business Review and Wall Street Journal. Chief of Staff & Special Counsel, Maricopa Sheriff Dept. 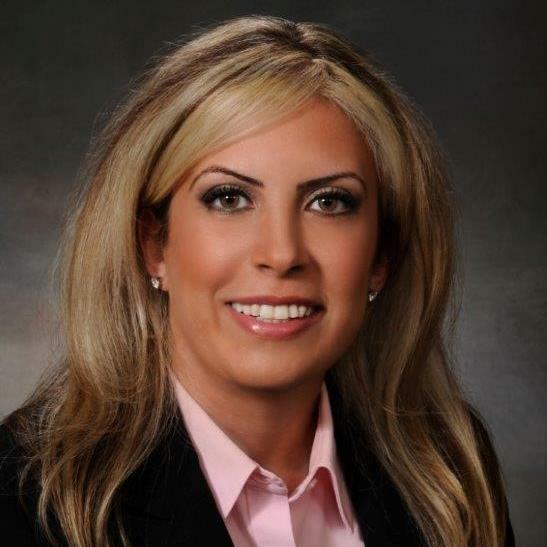 Stephanie Fleischman Cherny is Sheriff Paul Penzone’s chief of staff and special counsel in the Maricopa County Sheriff’s Office, overseeing administrative and non-sworn functions of the office. As special counsel, she is the liaison to the county attorney and responsible for internal oversight of ongoing MCSO federal and compliance-related legal matters. She draws on over 15 years’ experience representing some of America’s largest companies as counsel for internal and government investigations. First at Simpson Thatcher & Bartlett, then for nearly ten years at Skadden, Arps, Slate, Meagher & Flom and then as a partner at Mitchell Stein Carey in Phoenix, she established a reputation as an authority on matters under the jurisdiction of the Departments of Justice and Commerce and the Securities and Exchange Commission. Most recently, she was senior compliance counsel at eBay, Inc.
She serves as chair of the Phoenix Aviation Board and on the Friends of the Phoenix Public Library Board. 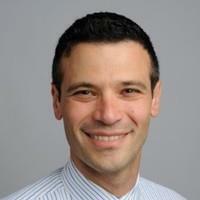 Adam Cohen is an attorney with the FBI’s Office of the General Counsel. Since joining the FBI in 2010, Cohen has served as the principal legal counsel for a number of complex cyber-criminal and national security investigations, held the role of privacy officer for the Terrorist Screening Center, and regularly advised senior executives at the FBI and White House on efforts to counter violent extremism. 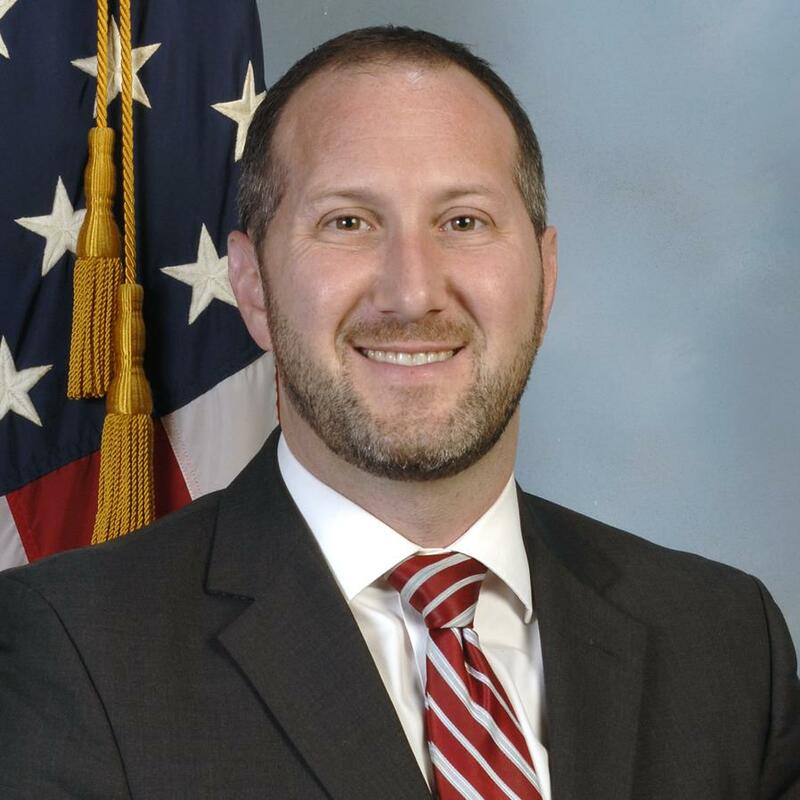 Currently, he leads a team of attorneys tasked with ensuring the FBI’s legal and policy frameworks keep pace with developments in digital technology, as well as supports the Bureau’s evaluation of emerging threats associated with the Internet of Things. Cohen has been recognized by the attorney general, director of national intelligence, and FBI director as a key member of investigative teams responsible for disrupting numerous terrorist attacks around the globe and bringing a major cyber-criminal to justice. This includes receiving the Attorney General’s Award for Excellence in Furthering the Interests of National Security in 2017. Prior to joining the FBI, he spearheaded strategic planning efforts to create the Department of Defense’s Civil Liberties Office, while serving as the principal civil liberties advisor to the DoD’s chief privacy officer. Cohen has also clerked for the Committee on the Judiciary in the U.S. House of Representatives and worked in private legal practice. 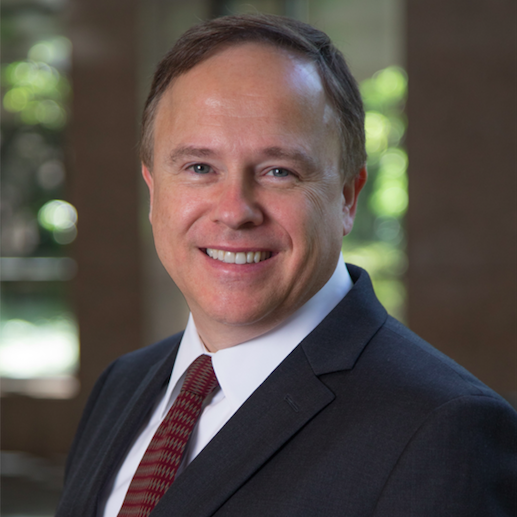 David Coher is leader of Southern California Edison’s Energy Contract Management group, which manages SCE’s long-term energy procurement (of approximately $4 billion, annually). Previously, he led compliance and safety in the President’s Office, where he established compliance programs for cyber-security and California’s Greenhouse Gas Cap & Trade markets. His teams had responsibility for all worker safety and regulatory compliance functions. In that role, Coher streamlined over a dozen legacy compliance programs, combining them into a unified tracking system—leveraging controls from across the enterprise for requirements of varied energy and financial regulators. In addition, Coher serves as a frequent guest speaker on technology, energy, and regulatory matters. He is currently a planning commissioner for the City of Pasadena, California, a Visiting Fellow at the National Security Institute at George Mason University, and a member of the advisory board of the Cybersecurity Law Institute at Georgetown University Law Center. Jacqueline Connor is an attorney in the Division of Privacy and Identity Protection at the Federal Trade Commission in Washington, D.C. She investigates and litigates violations of U.S. laws enforced by the Commission that govern the privacy and security of consumer information. Connor served as a staff attorney on the FTC v. Wyndham Worldwide litigation, and is currently working on various non-public investigations and consent negotiations. She has investigated and resolved matters involving data security, privacy, the Child Online Privacy Protection Act, the Gramm-Leach-Bliley Act, and the Fair Credit Reporting Act. William Corson is the head of compliance for Manulife Asset Management (MAM) globally. He is responsible for the development of the compliance program and the oversight of all compliance related activities for all advisers operating under the MAM brand. Prior to joining the firm, he held chief compliance officer roles at Aladdin Capital Management, Pyramis Global Advisors and Lee Munder Capital Management. He worked for Fidelity Management Trust Company as an attorney, providing business unit legal support. Bill also was responsible for trust division operations and client service at Investors Bank and Trust. He began his career as a US Marine Corps officer. 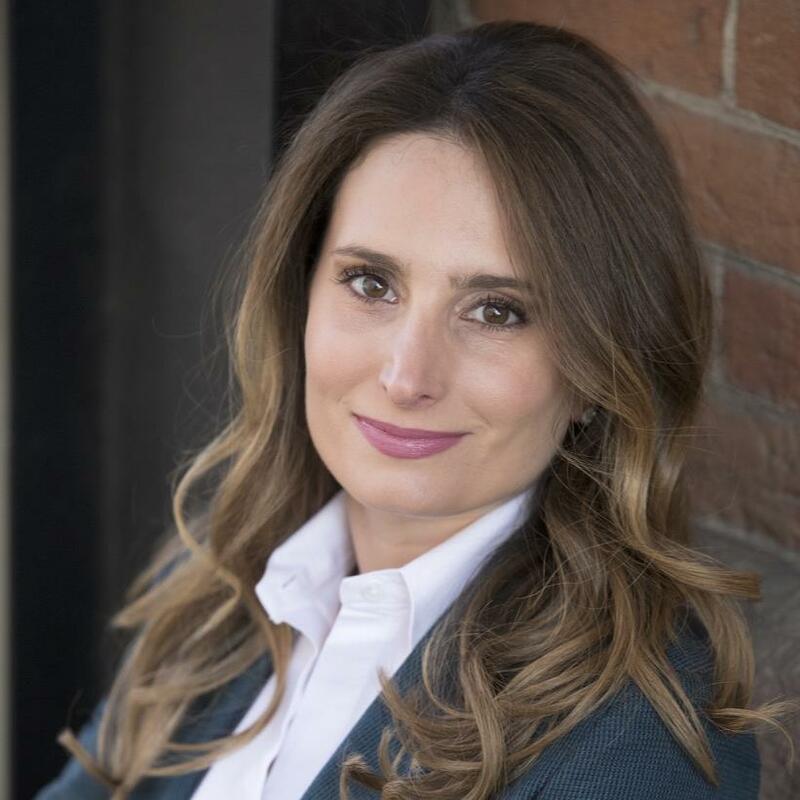 Vice President & Assistant General Counsel, Compliance, Univision Communications Inc.
Aleksandra Cuprys serves as VP and assistant general counsel, compliance for Univision Communications, Inc., focusing her practice on preventing, detecting, and remediating compliance risks. Cuprys joined Univision in July 2016 and reports to the chief compliance officer. 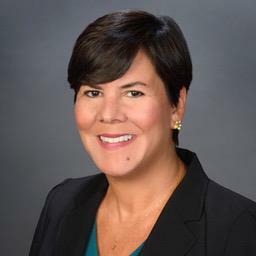 Prior to her work at Univision, she worked as senior counsel at World Fuel Services, where she served as lead counsel for both the aviation and land divisions. 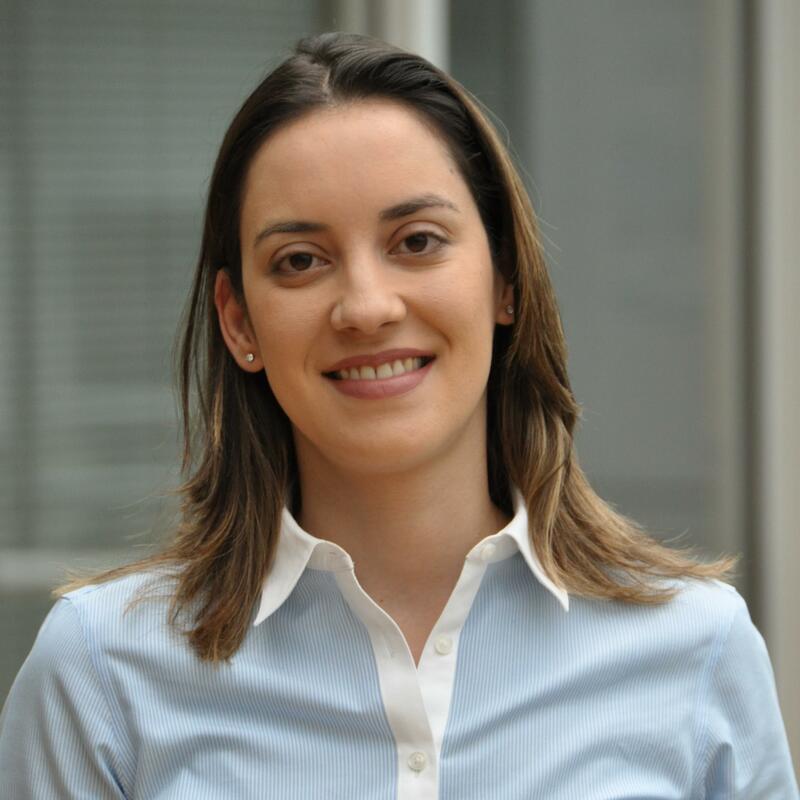 Prior to her work at WFS, she worked at LATAM Airlines Group, leading the company’s litigation and commercial matters. Sally Curley is CEO of CGIR, an investor relations, Environmental, Social, Governance (ESG) and Corporate Governance strategic advisory firm. Curley’s expertise includes: building and leading IR, ESG, and governance outreach programs; strategic consulting; board advisor; and IPOs. Frequently named a top IR officer by Institutional Investor, in 2012 she also was named one of Treasury and Risk Magazine’s “30 Outstanding Women in Finance.” Recently, she was awarded the prestigious Lifetime Achievement award by IR Magazine. In 2013, she was inducted into National Investor Relations Institute’s (NIRI) inaugural Class of Fellows. She has presented numerous times to the Securities and Exchange Commission’s Corporate Finance Division on IR, disclosure, governance, and proxy process reform. Curley’s board and committee service includes: NIRI (Board); the Society for Corporate Governance (Sustainability Committee); MOBILion Systems, Inc. (Advisory Board); Columbus Zoo and Aquarium (Board), as well as other non-profit organizations (Board). She has taught at a number of leading academic institutions and currently is Adjunct Faculty at Georgetown University. Jorge Dajani has a deep knowledge of multilateral development banks, a proven track record in corporate strategy and development, and a reputation for effective stakeholder engagement. He has been widely recognized for his management skills and stewardship of policies and procedures within international financial institutions with a focus on strategy, ethics and governance. As Chief Ethics Officer, Mr. Dajani directs the Ethics and Business Conduct Department, which promotes the development and application of the highest ethical standards by staff members in the performance of their duties. He provides overall strategic leadership on ethics and business conduct, ensuring that ethics and the Bank Group’s values are fully incorporated into the strategy of the entire World Bank Group. He reports directly to the President of the World Bank Group. Mr. Dajani, a Spanish national, has a Bachelor ́s and a Master ́s degree in Economics from Universidad Autónoma de Madrid. He speaks Spanish, English, French and Mandarin. 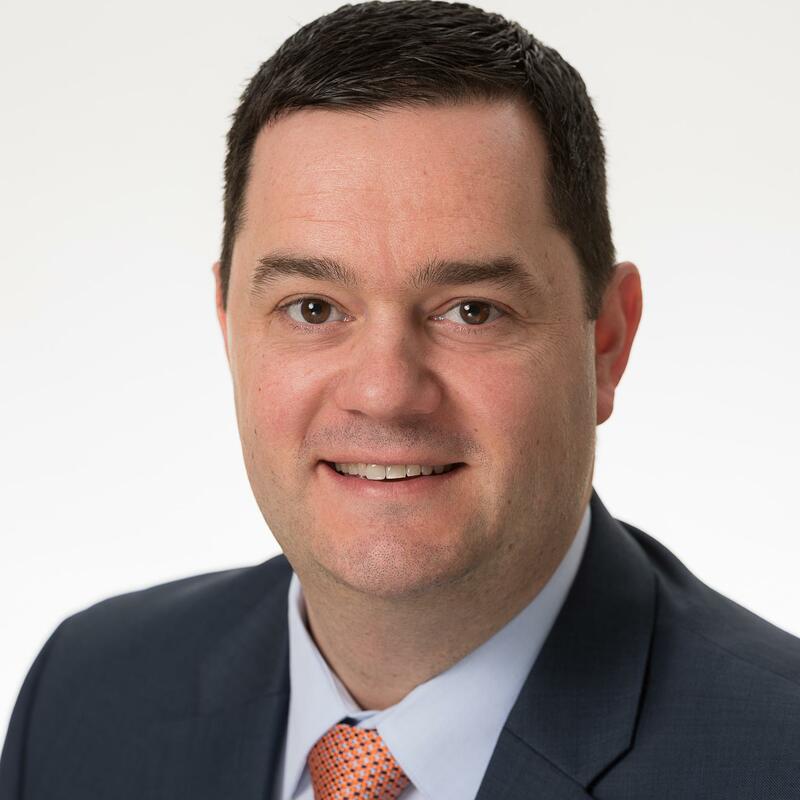 Pat Day is currently the director, compliance policy, process and strategy for GSK’s facilities management and real estate services organization, which spans the United States, the United Kingdom, and AsiaPac. Day’s 20+ years with two major pharmaceutical companies has migrated from an engineering practitioner through quality and regulatory affairs and currently risk and compliance for a global service organization within GSK. He has been on a passionate journey to simplify the compliance landscape through lean sigma skills, deploying the critical controls needed for a facilities management and real estate function. He works to educate, deploy controls, and monitor both known risks (ABAC, EH&S, third-party oversight, quality) and unknown operational risks found in a service-based organization via a standard control framework. Chief Ethics & Compliance Officer, Abercrombie & Fitch Co.
Forrest Deegan is the chief ethics and compliance officer for Abercrombie & Fitch, where he is responsible for enhancing A&F’s corporate compliance program through the oversight of functional compliance activities, ownership, and enforcement of specific compliance policies and working with internal partners to foster a speak-up culture. 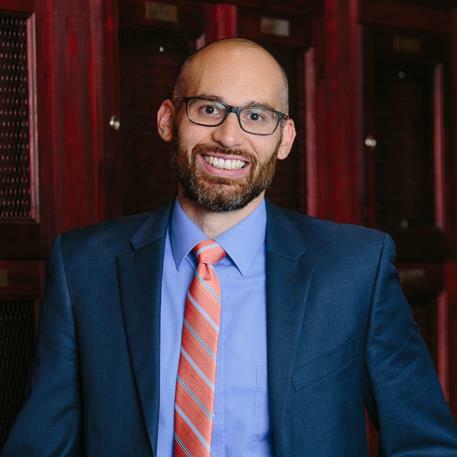 Deegan is a 2018-2019 lecturer in law at the University of Chicago School of Law and was selected by Compliance Week as a "Top Mind" for 2018. He previously served as the director and senior director of compliance at A&F, where his responsibilities included a wide range of compliance program assessment, training, and enhancement projects as well as international business development. He was the lead attorney for A&F in developing and implementing their first-ever joint venture and franchise stores. Prior to moving in-house, Deegan worked for nine years at Arnold & Porter in Washington D.C., representing multinational pharmaceutical, financial, and consumer products companies in advocacy and consulting capacities. He also clerked for Judge Kazen on the U.S. District Court for the Southern District of Texas. 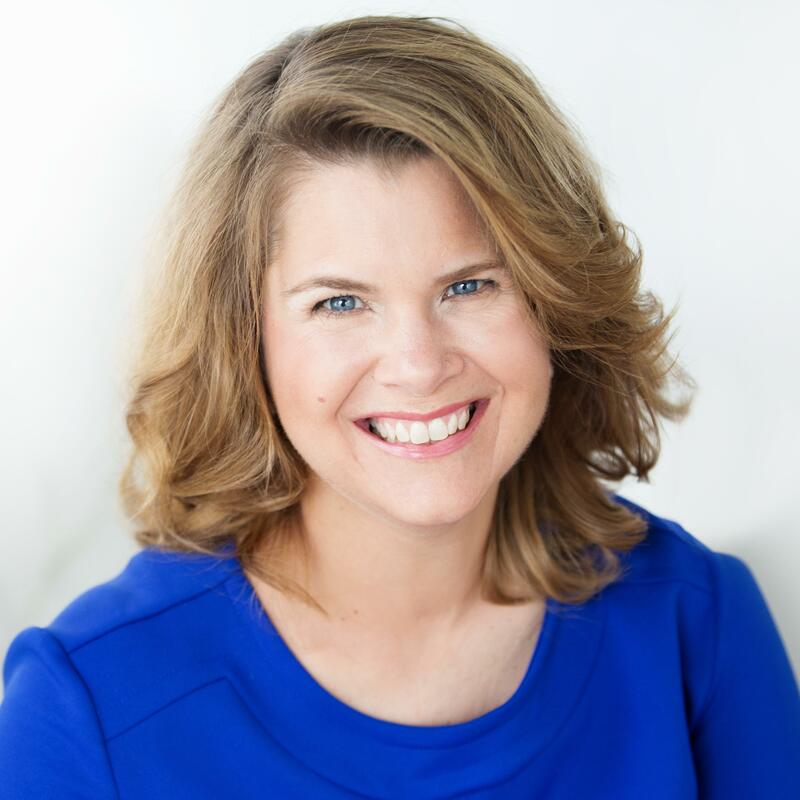 Jodi Detjen is an accomplished organizational consultant and educator with a foundation in operational change management. Her mission is to help realize gender equity in the workplace as soon as possible. 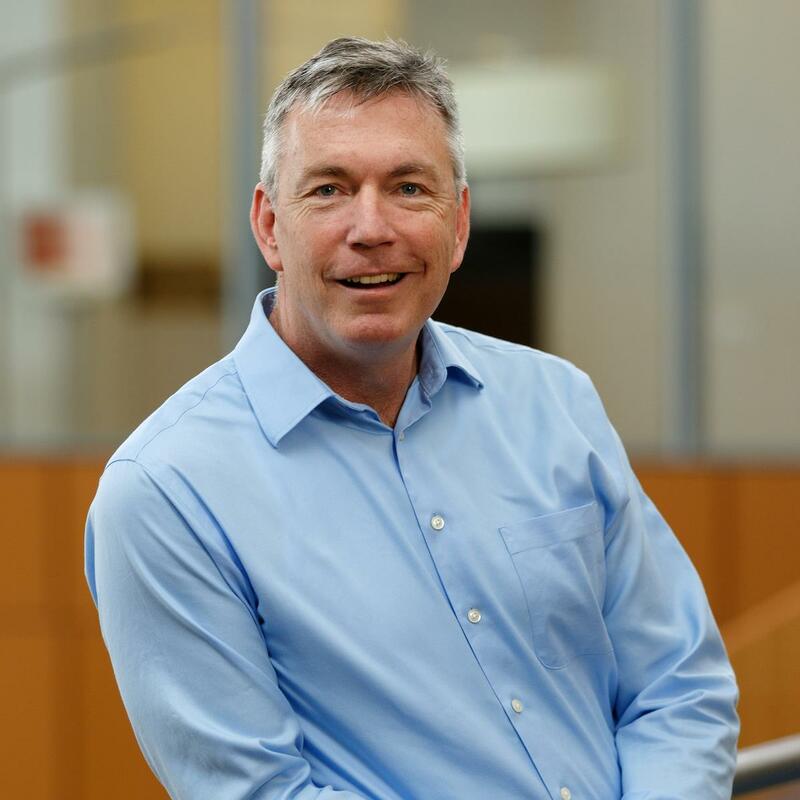 In addition to being co-founder and managing partner of Orange Grove Consulting, Detjen is clinical professor of management and academic MBA program director at Suffolk University, Boston, MA. She has worked in organizational development for over 25 of years, transforming the way people work at small and large companies. Detjen designs top-tier women’s leadership training for clients that include Skillsoft and Linkage. She has consulted and run workshops for clients such as Accenture, Microsoft Partners, Dimension Data, and Oracle. She is co-author of the book, The Orange Line: A Woman’s Guide to Integrating Career, Family, and Life. Amy Ding has more than 18 years of experience designing, developing, implementing various analytic tools and technologies across a wide variety of clients and industries. Currently, he is a senior manager focused on the implementation of new analytic techniques to be applied for audit purposes within the TMT industries. 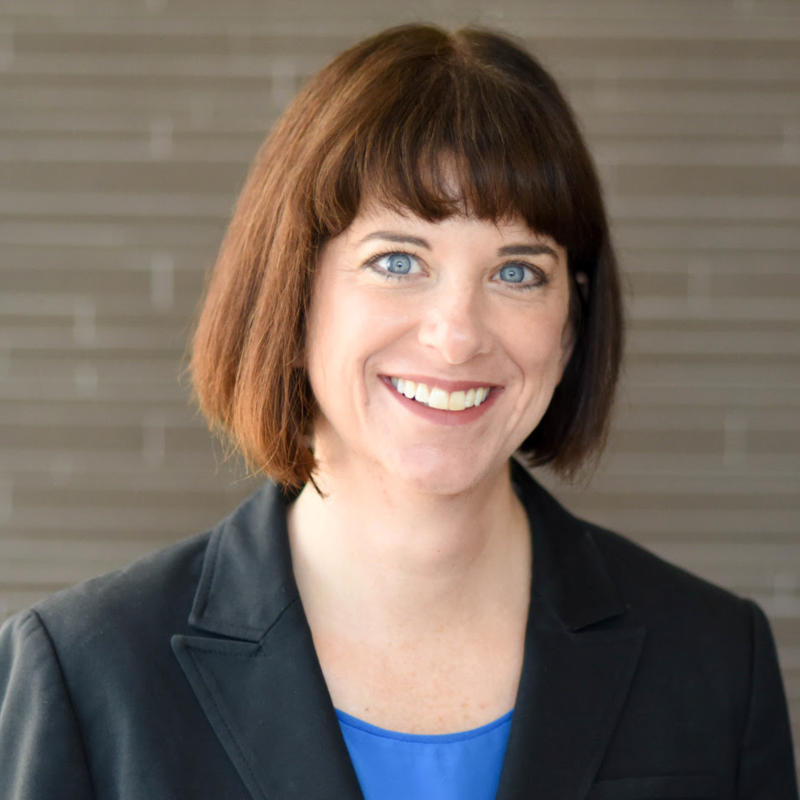 During her 18 year career with Deloitte, Amy has primarily served audit engagements within and outside the US member firm specializing in data interrogation, analysis, and normalization from various information system environments. She is currently focused on leading the creative design and deployment of Data Analytics for the TMT industries. Her experience includes serving over 300 companies in the technology, internet/social media/e-commerce, retail, consumer products, manufacturing, aerospace & defense, and financial services industries; and has provided analytics, metrics, root-cause analysis in reporting, and IPO support. 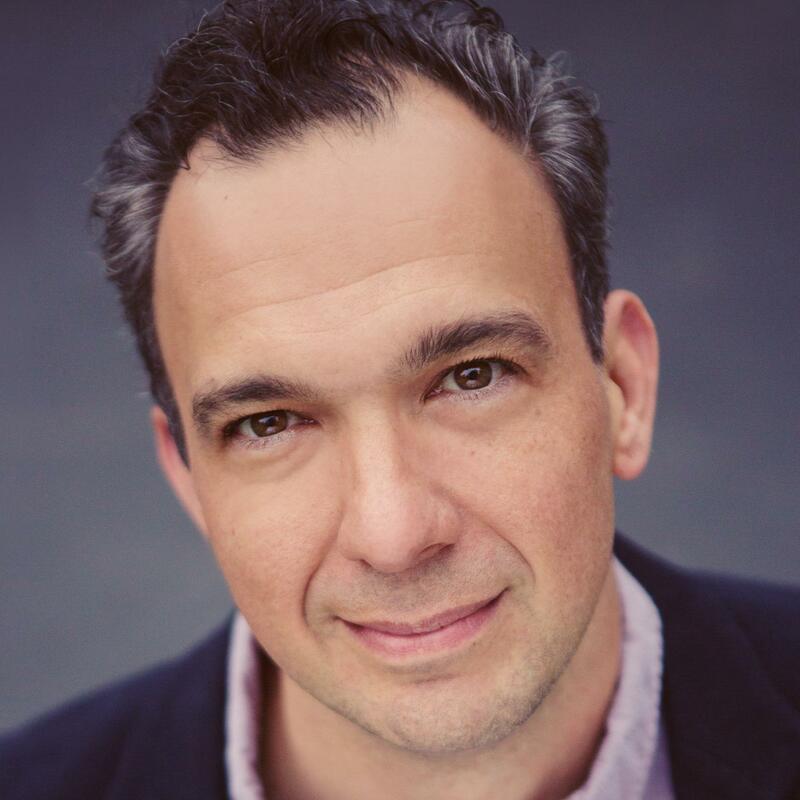 Ben DiPietro engages in thought leadership at LRN Corp., which partners with companies to improve their ethics and compliance programs by focusing on values-based behaviors. Before joining LRN in September 2018, DiPietro worked as editor and reporter with Risk & Compliance Journal. He worked previously as an editor at Dow Jones Newswires, as an editor and reporter at seafood industry news service Intrafish Media, and as a reporter with The Associated Press and Pacific Business News in Hawaii. 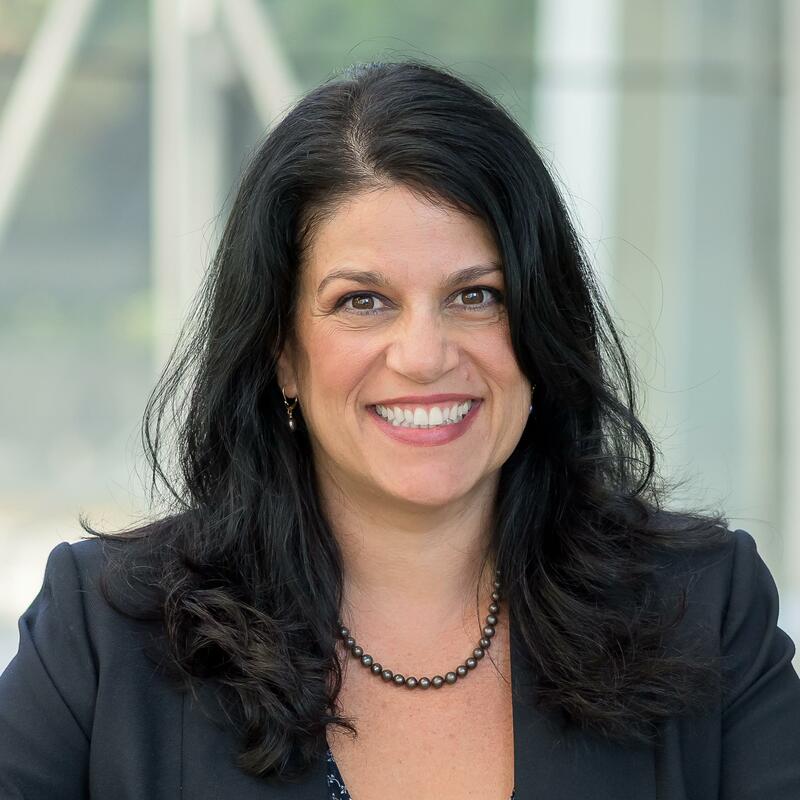 Carrie Di Santo is managing director, enterprise risk management, and global chief compliance officer at CME Group in Chicago, where she oversees ERM, compliance, privacy/information governance. 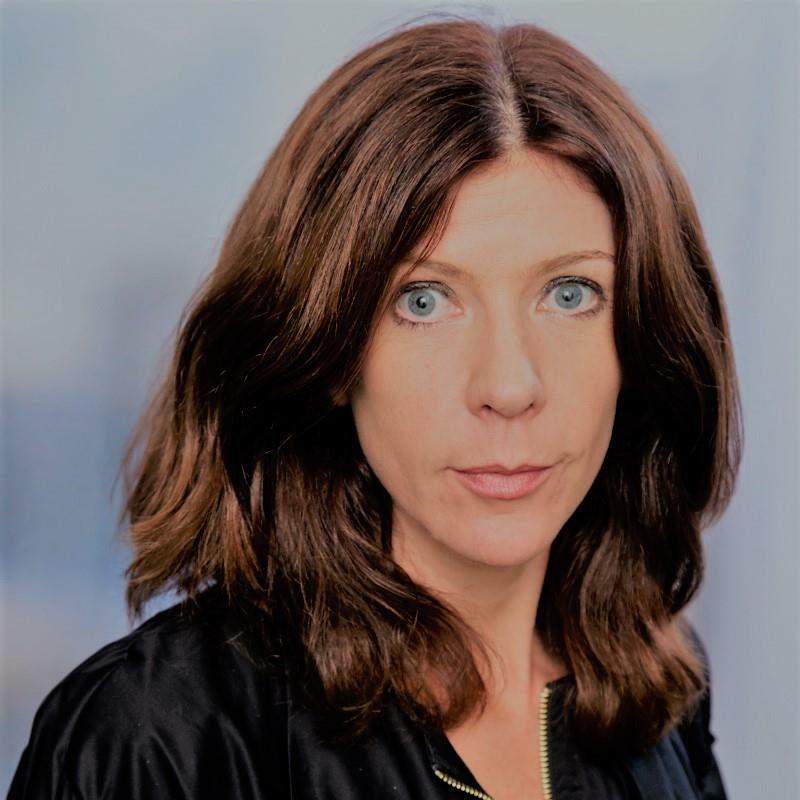 She previously served as global chief compliance officer at Aon Corporation in Chicago; general counsel of Aon’s U.K. subsidiary based in London; and partner at Baker & McKenzie in Chicago. 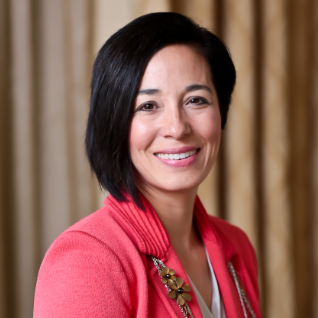 She is the president of the board of the Chicago Bar Foundation, has served on the board of managers of the Chicago Bar Association, and served as chair of National Immigrant Justice Center’s Annual Human Rights Luncheon. She is a frequent speaker on issues of international compliance and regulatory matters including privacy and cyber-security, Foreign Corrupt Practices Act, compliance programs, and internal investigations. She acts as a guest lecturer at the Northwestern University School of Law, Loyola University School of Law, and University of Illinois College of Law. 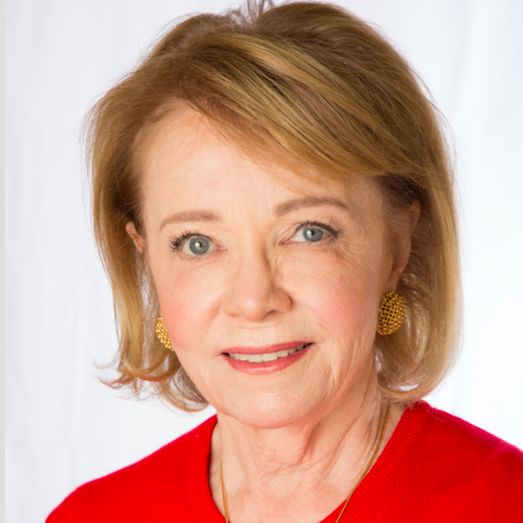 Susan Divers is a senior advisor with LRN Corp. Divers brings her 30+ years’ accomplishments and experience in the ethics and compliance area to LRN partners and colleagues. This expertise includes building state-of-the- art compliance programs infused with values, designing user-friendly means of engaging and informing employees, fostering an embedded culture of compliance, and substantial subject matter expertise in anti-corruption, export controls, sanctions, and other key areas of compliance. Previously, Divers served as AECOM’s assistant general for global ethics & compliance and chief ethics & compliance officer. Under her leadership, AECOM’s ethics and compliance program garnered six external awards in recognition of its effectiveness and Divers’ thought leadership in the ethics field. In 2011, Divers received the AECOM CEO Award of Excellence. She is a member of the DC Bar and has been listed as one of the “Attorneys Who Matter” in the ethics & compliance area by Ethisphere Magazine. Colleen Dorsey has spent over 18 years working as in-house counsel. She spent almost 16 years at Land O’Lakes Inc. and also served in the legal department at Syngenta Seeds Inc. Dorsey has significant experience in all aspects of business representation including antitrust, compliance and ethics, mergers and acquisitions, production and supply, intellectual property protection, general commercial contract matters, and marketing and advertising law, as well as training on various substantive legal topics. In Dorsey’s current role, she leads all aspects of a graduate degree program wherein she is responsible for six different degree offerings in the compliance and ethics discipline—two of which are housed 100 percent online. The Organizational Ethics & Compliance degree program (“OEC program”) has grown significantly under her leadership. The OEC program is the only program in the nation accredited by the AACSB specifically in the ethics and compliance discipline. 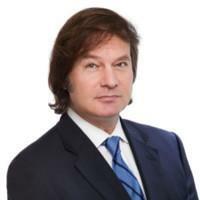 David Dragics was the SVP, investor relations of CACI International Inc., a $4.8 billion federal contractor based in Arlington, VA, from 1998 to 2018, and is currently a consultant to management and the board of directors. During his tenure at CACI, the company’s investor relations program grew from three sell-side analysts and less than 50 institutional investors to 14 sell-side analysts and over 400 institutional investors. He developed the company’s first formal corporate disclosure policy and developed and implemented the concept of a corporate governance team. He also worked closely with CACI’s standing Investor relations committee of the board, keeping them current on key issues of investor relations and corporate governance. He has presented at numerous conferences and seminars, speaking on corporate governance, finance, and managing investor relations programs. 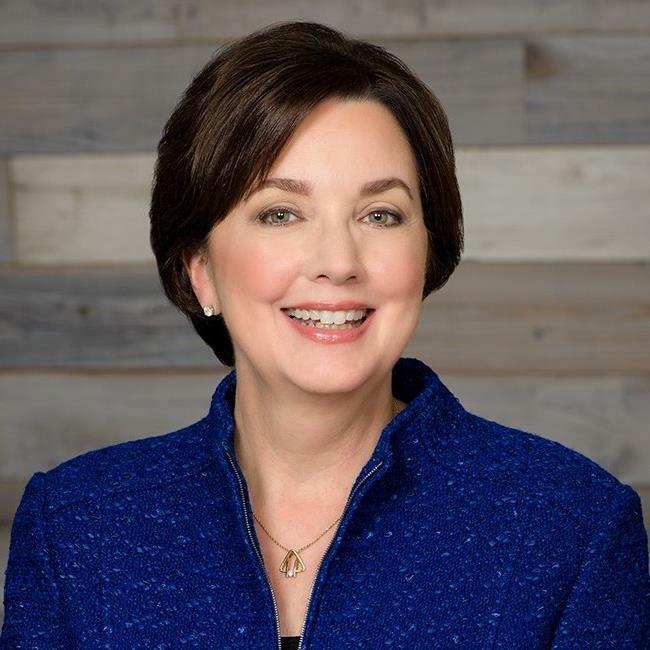 Carol Nolan Drake is the founder and president/CEO of Carlow Consulting, a Columbus-based business that she started in January 2017 to provide consulting on federal legislative and corporate governance matters. She has authored articles on ESG and governance best practices. She is a licensed attorney. Nolan Drake’s career spanned working for three Ohio governors, boards and commissions, and a large institutional investor. She served as the chief external affairs officer for Ohio PERS, overseeing corporate governance, research, and state & federal relations. She was the cabinet director of the Ohio Department of Administrative Services. 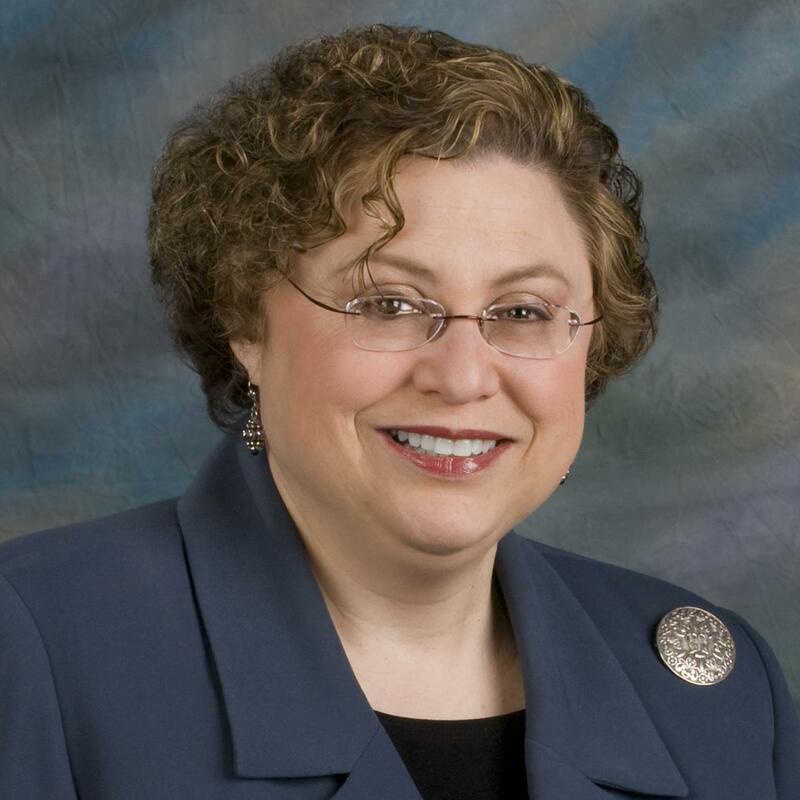 She also served on the OPERS board of trustees, Ohio Deferred Compensation Board, and the School Facilities Commission, and she was chairman of the State Employment Relations Board. She served on the board of the Council of Institutional Investors and was co-chair of the ICGN shareholder responsibilities committee, which updated the Diversity and Share Lending Guidelines. 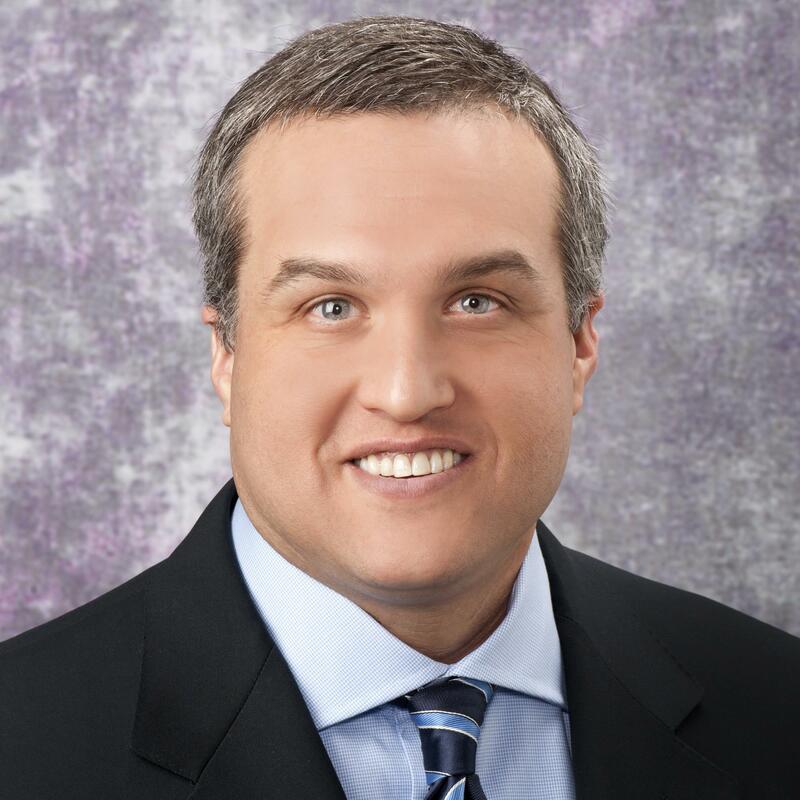 Kurt Drake is VP, chief ethics & compliance officer of Kimberly-Clark. He brings more than 20 years of finance and compliance expertise in global businesses across industries, including nearly a decade of international operations experience in Asia, Europe, and the Middle East. He has a proven track record of building and leading ethics and compliance teams and driving solutions in partnership with the business. Most recently, he was CECO at General Cable Corp. Prior to General Cable, Drake was the CECO at PPG Industries. Earlier in his career, he held CECO positions for the sovereign wealth fund, Mubadala, and the aviation division of GE. In 2017, Compliance Week recognized Drake as a “Top Mind” in compliance, noting his track record of “building world-class compliance programs.” He also served as a member of the board of directors at the Ethics and Compliance Officer Association (now the Ethics & Compliance Initiative). Jonathan Drimmer is deputy general counsel at Barrick Gold Corp., where he oversees international regulatory and compliance programs, the global investigation group, entity-level litigation and disputes, and more. Previously, he was a partner at Steptoe & Johnson and deputy director in the Justice Department’s Office of Special Investigations. 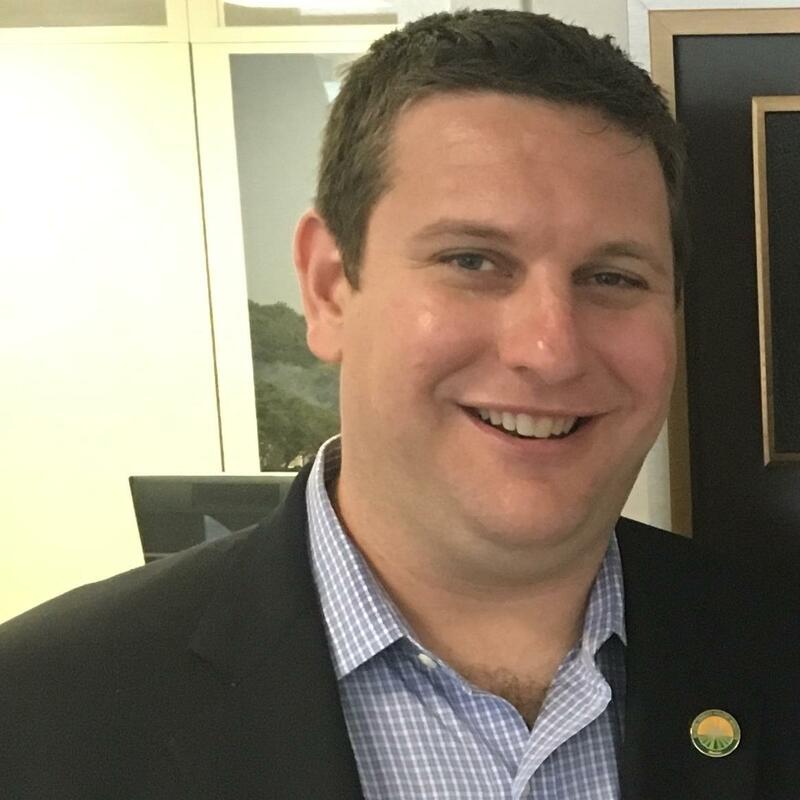 Drimmer is a former Bristow fellow in the Office of the U.S. Solicitor General and a judicial clerk on the U.S. Court of Appeals for the Ninth Circuit. He has twice testified before the U.S. Congress and for the past 18 years has taught courses related to international humanitarian law at Georgetown University Law Center. 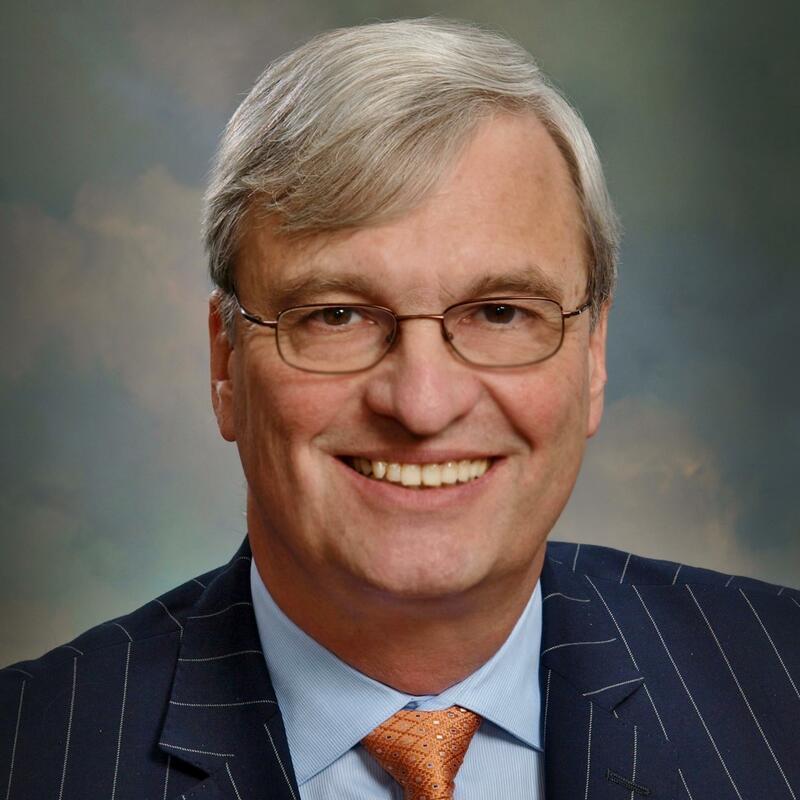 Drimmer serves on several boards, including the UN Global Compact’s Canada Network, Transparency International Canada, and the foundation of TRACE International. Among his recognitions are the Charles Fahy Award for teaching at Georgetown and the Department of Justice Assistant Attorney General Award for Human Rights Law Enforcement. 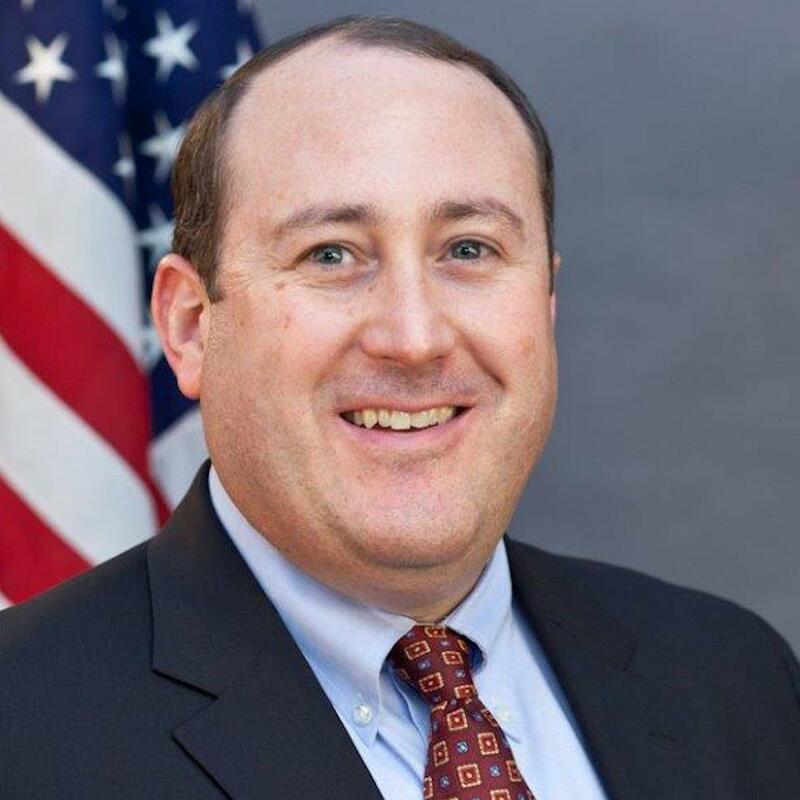 Peter Driscoll was named Director of the U.S. Securities and Exchange Commission’s Office of Compliance Inspections and Examinations (OCIE) in October 2017, after serving as Acting Director since January 2017. Before that, he served as OCIE’s first Chief Risk and Strategy Officer since March 2016, and was previously OCIE’s Managing Executive from 2013 through February 2016. He joined the Agency in 2001 as a staff attorney in the Division of Enforcement in the Chicago Regional Office and was later a Branch Chief and Assistant Regional Director in OCIE’s Investment Adviser and Investment Company examination program. Prior to the Agency, Mr. Driscoll began his career with Ernst & Young LLP and held several accounting positions in private industry. He received his B.S. in Accounting and law degree from St. Louis University. 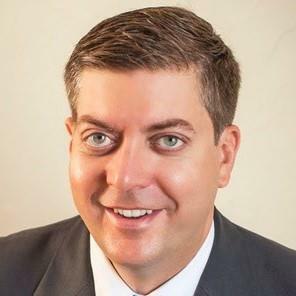 He is licensed as a certified public accountant and is a member of the Missouri Bar Association. 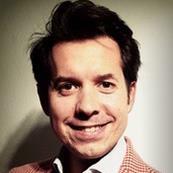 Cédric Dubar joined Volvo Cars in March 2017, as chief compliance and ethics officer, with the mission to “Make it easier for employees to do things right and to comply with regulations and internal rules.” In this role, he oversees the corporate compliance & ethics program that relies upon the company’s values and responsible leadership. Dubar has over 15 years of experience in compliance and ethics-related roles, within renowned multinationals. Prior to joining Volvo Cars, he served as group compliance & ethics officer at Dassault Systèmes, where he led the ethics & compliance program. For several years, he was on the board of the French Business Ethics Association (Cercle d´Ethique des Affaires) where he also served as general secretary from 2013 to 2017. Before joining the compliance and ethics field, Dubar started his career as an M&A lawyer. Robert Easton is the deputy general counsel and chief compliance officer for Marsh, which advises individual and commercial clients on insurance broking and innovative risk management solutions. He provides legal advice and counsel to the business and oversees the global compliance operation. Prior to arriving at Marsh, he was SVP and global chief compliance officer of McGraw Hill Financial (now, S&P Global) and headed the Insurance Division at the New York Department of Financial Services, where he regulated more than 1,700 property and casualty, life, and health insurance companies. Jeffrey Eglash is VP & chief compliance officer for Nokia, a telecommunications equipment and technology company. He is responsible for Nokia’s global ethics and compliance program. Before joining Nokia, he served as global executive litigation counsel for General Electric Co. in Fairfield, Connecticut, where he was responsible for litigation, compliance, and internal investigations. Previously, Eglash was a partner at an international law firm, where he represented individuals and organizations in civil, criminal, and regulatory enforcement proceedings and conducted internal corporate investigations. From 1999 to 2002, Eglash served as inspector general of the Los Angeles Police Department. From 1987 to 1999, he was an assistant United States attorney in Los Angeles. He served in a number of supervisory positions, including chief of the public corruption and government fraud section, where he prosecuted and supervised cases involving fraud against the government, official corruption, civil rights, environmental crimes, and other offenses. 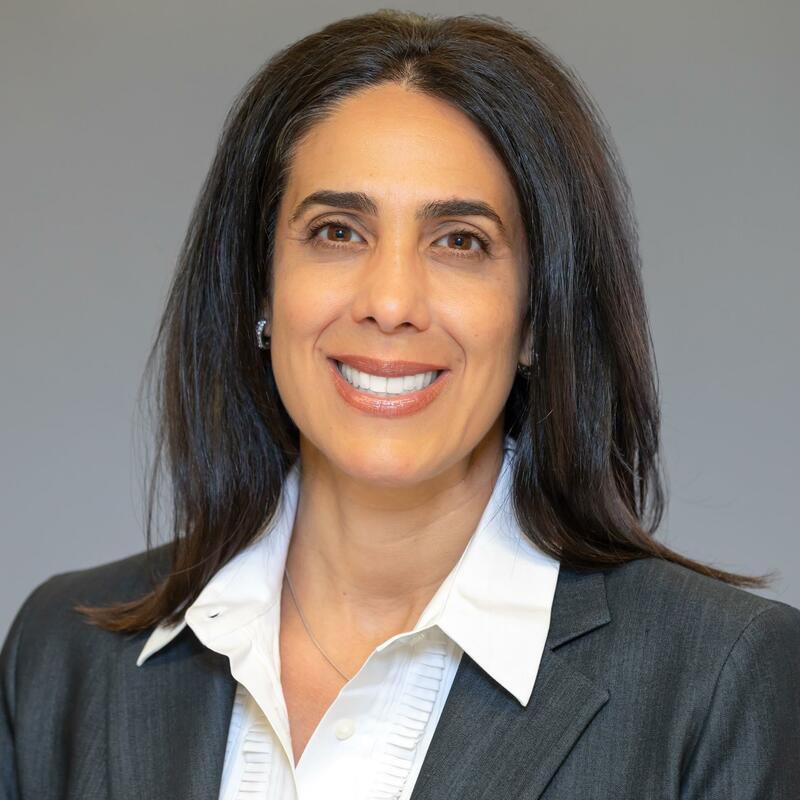 Marsha Ershaghi Hames is LRN’s managing director, strategy and development. She has spent two decades advising the boards and executive teams on transforming organizational culture, building effective compliance risk mitigation strategies, training effectiveness, and promoting greater leadership accountability. She believes compliance matters are no longer just legal issues but business and reputational priorities. 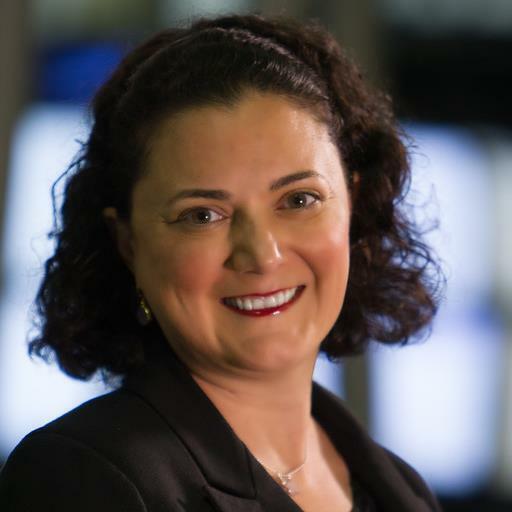 As a highly cited thought leader, Ershaghi Hames has delivered speaking engagements at industry and association meetings, including the Defense Industry Initiative, Society of Corporate Compliance and Ethics, Ethics & Compliance Initiative, and Ethisphere, and she has led executive programs at Georgetown University and the University of Southern California. Ershaghi Hames has been interviewed and cited in many media and trade journals, including Law360, Entrepreneur.com, CNBC, Chief Learning Officer, Association of Talent & Development, The FCPA Report, Compliance Week, Corporate Counsel, Human Resources Executive, Risk & Compliance Magazine, and more. Senior Legal Counsel, Stem Holdings Inc.
Jessica Feingold is senior legal counsel for Stem Holdings Inc. and its operational affiliates. Feingold focuses her practice on regulatory compliance, lobbying, intellectual property, mergers and acquisitions, land use, and zoning and commercial real estate. Prior to Stem, she was general counsel for Medically Correct, d/b/a incredibles, one of Colorado’s largest and most-awarded marijuana-infused product manufacturers. 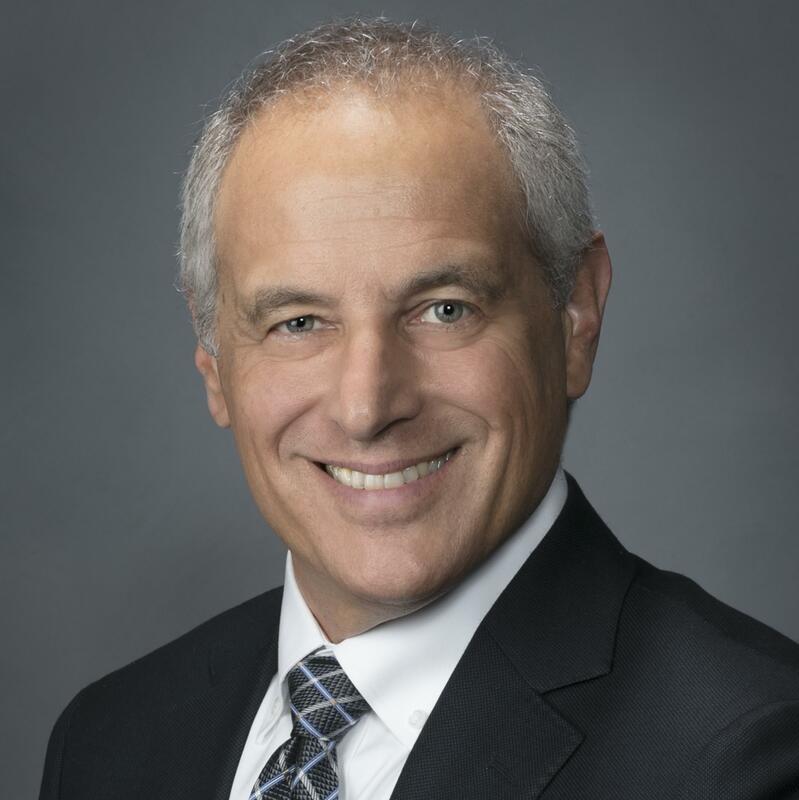 Feingold is licensed to practice in Florida, Colorado, Texas, and D.C. and is a steering committee member of the ABA TIPS Cannabis Law and Policy Task Force. Heather Fine, a partner in Major, Lindsey & Africa’s in-house practice group, specializes in placing attorneys in corporate legal departments. She handles searches ranging from corporate counsel positions to general counsel roles in a variety of industries, including manufacturing, higher education, healthcare, consumer products, not-for-profit, retail, technology, professional services, and financial services. Over the last several years, Fine has managed searches for companies of all sizes (including several Fortune 500 companies). She also has authored numerous articles related to legal search and presents regularly on the subject. 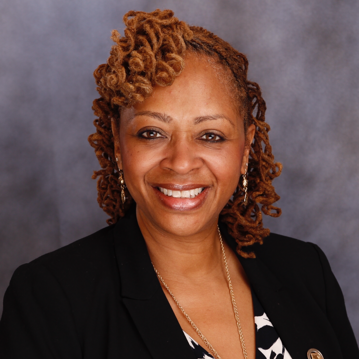 Prior to joining MLA, Fine worked for the Children’s Law Center in Washington, D.C., representing children in the foster care system. She also served as counsel for the U.S. Senate Committee on Homeland Security and Governmental Affairs’ Investigation into Hurricane Katrina. 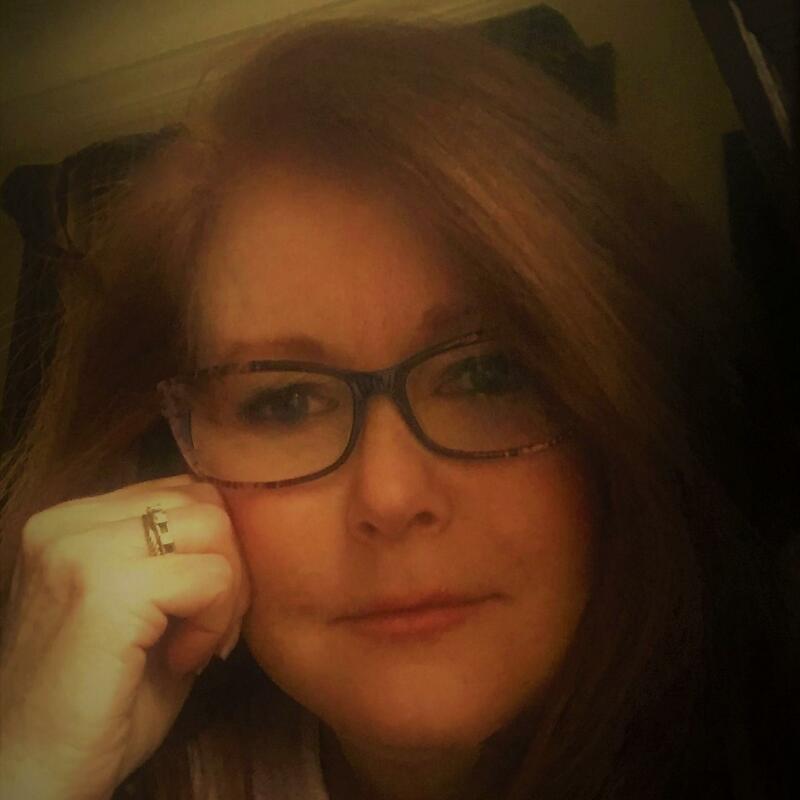 Lisa Fine is a compliance leader with extensive experience in compliance strategy, including risk management and mitigation, internal investigations, whistleblower hotline, implementation. Until 2018, Fine was the director, global compliance for gategroup, the parent company for Gate Gourmet, the largest independent airline catering company. In that role, she developed and implemented strategy for the company’s global compliance committee and regional compliance committees and both implemented and later managed gategroup’s global employee helpline. Prior to joining gategroup, she was a practicing attorney in the public and private sectors, including as a litigator and leading a large law firm’s Washington, D.C., pro bono practice. Fine is also one of the co-hosts of the “Great Women in Compliance” podcast, where women compliance practitioners are interviewed and discuss their experiences, advice, and substantive expertise. 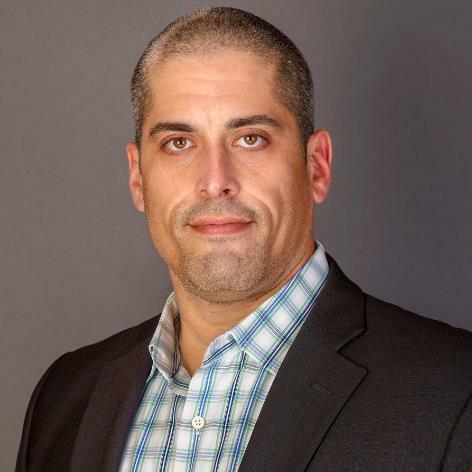 Vice President, Offering Management, Steele Compliance Solutions, Inc.
Christian Focacci is currently VP of offering management at Steele Compliance Solutions. He has over a decade of experience in anti-money laundering/counter-terrorist financing (AML/CFT) and sanctions compliance. He has worked for several of the world’s largest financial institutions, including JPMorgan Chase, Citi, and Bank of New York Mellon. Prior to joining Steele, Focacci was the co-founder and chief information officer of TransparINT, a financial crime compliance technology firm focused on helping companies better identify risk through the use of machine learning and automation. He was also the founder of AMLSource.com, a leading career resource Website for compliance professionals that was acquired by the Association of Certified Financial Crime Specialists, a BarBri company, in May 2015. Tom Fox is the Compliance Evangelist®. He has practiced law in Houston for 35 years. He was most recently the general counsel at Drilling Controls Inc., a worldwide oilfield manufacturing and services company. He is one of the country’s leading experts on the Foreign Corrupt Practices Act, business leadership, and compliance and ethics. Fox is the author 16 books on business leadership, compliance and ethics, and corporate governance, including the international bestsellers “Lessons Learned on Compliance and Ethics” and “Best Practices Under the FCPA and Bribery Act,” as well as his series “Fox on Compliance.” His latest book “The Compliance Handbook” was published in May 2018 and was the No. 1 new bestseller on Amazon.com in business ethics through its initial run. He writes and speaks across the globe on compliance programs. Fox leads the social media discussion on compliance with his award-winning blog, “The FCPA Compliance and Ethics Blog,” and is the founder of the Compliance Podcast Network. 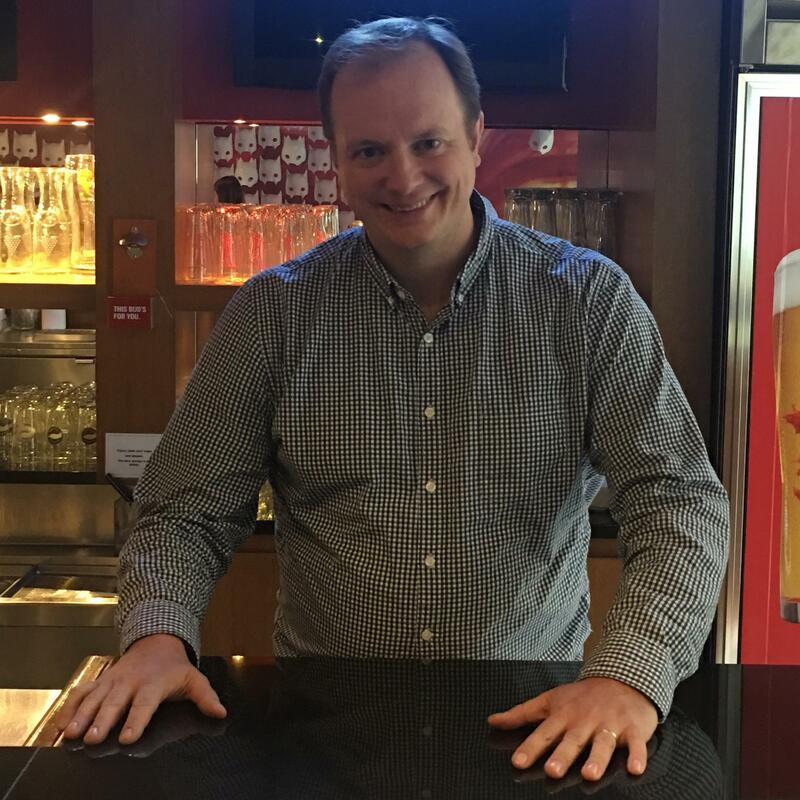 Matt Gavin is the Global VP for ethics and compliance for AB-InBev. His team covers anti-corruption, competition, litigation, sanctions, anti-money laundering, data privacy, human rights, and internal investigations. He is recognized as a leader in the application of data analytics to solve compliance problems and streamline compliance systems and processes. Galvin is a NY and Hong Kong qualified lawyer who spent ten years in private practice before joining ABI in 2015. Kelly Gama is a Certified Compliance & Ethics Professional International (CCEP-I). Gama started her career at renowned law firms in the corporate and regulatory areas. In 2008 Gama joined BP, British oil and gas company, as legal counsel for Brazil, Caribbean & South America providing legal assistance and trainings in the civil, contracts, regulatory, ethics, anti-bribery & corruption and competition law practice areas. Gama participated in regional and global projects, including an assignment to South Africa in 2013. In 2016 Gama joined Alstom, French transport/mobility sector company, as legal & compliance officer responsible for the compliance area in the Latin America Region covering the Integrity Program; E&C/anti-trust litigation, and compliance study groups and initiatives in Brazil—UN Global Compact, Brazil Network), as well as, international initiatives—Transparency International School on Integrity 2018 in Lithuania. 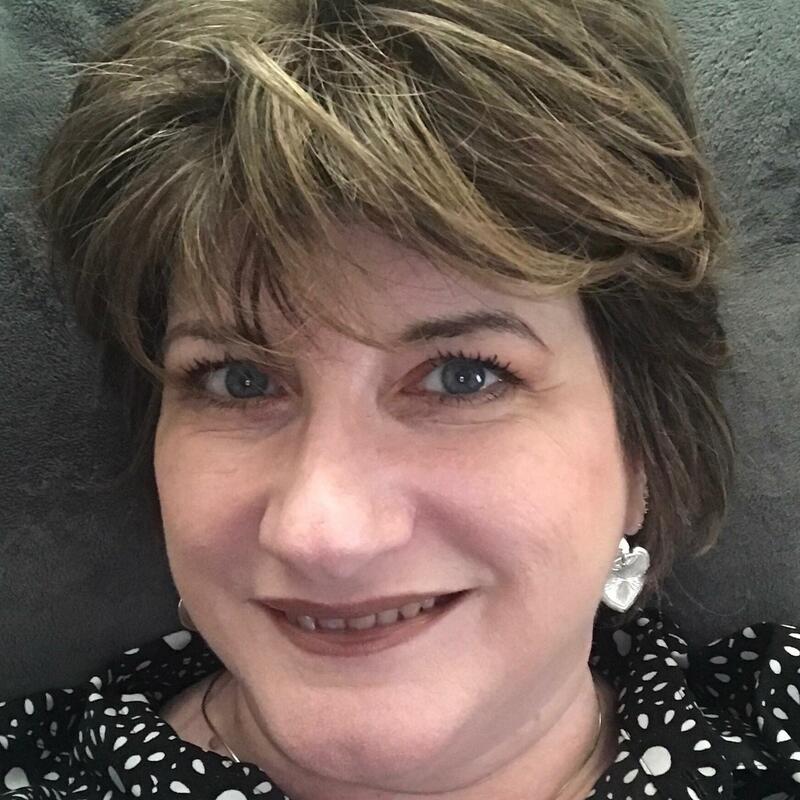 Toni Gamble is an HR and compliance professional with over 20 years of distinct HR experience in various HR disciplines related to the hire-to-retire employee lifecycle. Her HR compliance experiences cut across regulatory, operational, financial, and legal areas with experience assessing risk and supporting HR and business stakeholders on the most effective ways to mitigate the people relate HR risks and helping companies to maintain solid internal controls, policies, and procedures through ongoing monitoring. Senior Manager, Ethics Engagemen and Int, Lockheed Martin Corp.
David Gebler has over 25 years’ experience advising global organizations such as Panasonic, General Dynamics, Staples, and Novartis, on how to reduce people-based risks while improving productivity and integrity. Gebler is a pioneer in values-based culture assessment and training, utilizing creative elements such as Scott Adams’ DILBERT characters in developing groundbreaking training such as “The Ethics Challenge” produced for Lockheed-Martin in 1997. 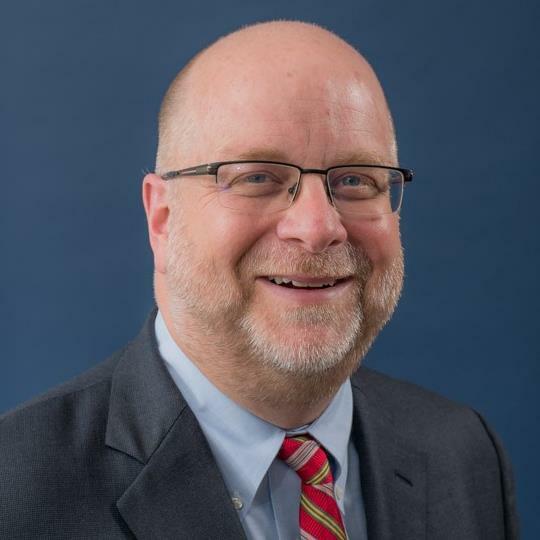 Gebler has served as a Kallman Executive Fellow at the Center for Business Ethics at Bentley University and on the international advisory board of Suffolk University’s graduate program in ethics and public policy. David’s latest book is The 3 Power Values: How Commitment, Integrity and Transparency Clear the Roadblocks to Performance, published by Jossey-Bass/Wiley. Mary Gentile is director of Giving Voice to Values (www.GivingVoiceToValues.org), a pioneering pedagogy for values-driven leadership with over 1,000 pilots globally and featured in Financial Times, Harvard Business Review, Stanford Social Innovation Review, McKinsey Quarterly, etc. 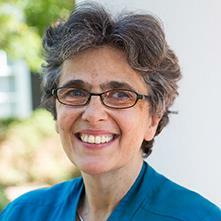 Gentile, faculty at UVA Darden and consultant, was previously at Harvard Business School. Her publications include the award-winning Giving Voice to Values: How To Speak Your Mind When You Know What's Right; Can Ethics Be Taught? Perspectives, Challenges, and Approaches at Harvard Business School (with T. Piper & S. Parks); cases/articles in the Harvard Business Review, Stanford Social Innovation Review, Academy of Management Learning and Education, Risk Management, CFO, Strategy+Business, etc. Gentile was content expert for the award-winning CD-ROM, Managing Across Differences (HBS Publishing). Among honors, Gentile was named a “Top Mind 2017” by Compliance Week and was short-listed for the Thinkers 50 2017 'Ideas into Practice' Award. 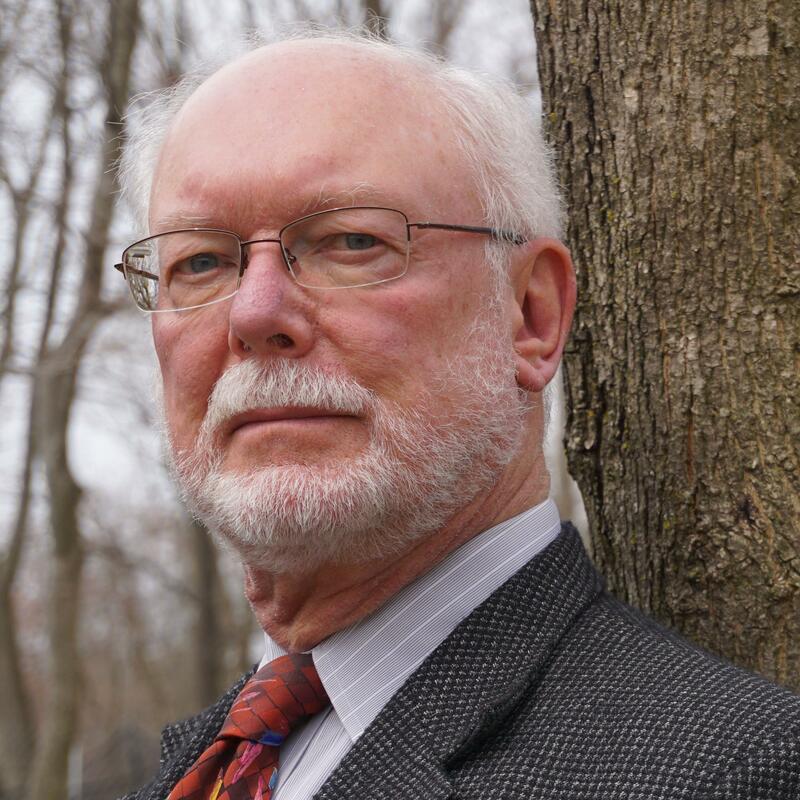 Professor William Goldman is the chief education officer of the Hub of Analytics Education. The HUB is a 501(c)3 organization registered in Massachusetts. The HUB’s mission is to provide Open Educational Resources (OER) to faculty interested in incorporating data analytics within their curriculum. The OER materials include large transactional datasets (5 million to 15 million records) with supporting information (e.g., process flowcharts and manuals) and exercises with suggested solutions. Goldman is also a lecturer at Northeastern University where he teaches a variety of courses, including auditing, managerial control systems, cost accounting, and ethics in the accounting profession. He also designs technology trainings to facilitate the usage of data visualization. Prior to becoming an academic, Goldman was a Certified Public Accountant and worked as an auditor for PwC in Boston. Kristy Grant-Hart is an expert at making compliance officers in-demand business assets. She's the author of the highly acclaimed book, “How to be a Wildly Effective Compliance Officer” and has been featured in the Wall Street Journal, Financial Times, Compliance Week, and on the cover of Compliance and Ethics Professional Magazine. She is CEO of Spark Compliance Consulting, and former professor at Delaware School of Law, Widener University, teaching Global Compliance and Ethics. Before launching Spark Compliance, Grant-Hart was the chief compliance officer at United International Pictures, the joint distribution company for Paramount Pictures and Universal Pictures in 65+ countries, where she was shortlisted for the Chief Compliance Officer of the Year at the Women in Compliance Awards. Jagathi Gururajan is an entrepreneurial executive with deep experience in global go-to-market operations for high growth and emerging technologies. She builds commercially successful businesses and has a track record in developing diverse, sought-after teams. Gururajan has a current focus on applying technologies like artificial intelligence and blockchain to financial services. She leads companies through the complexity of adopting new technologies through digital transformation and evolving regulatory requirements. Her recent experiences include leading two global organizations at Thomson Reuters, where she owned global delivery of enterprise risk and compliance solutions and as COO at venture-backed SaaS provider WegoWise. Gururajan serves on the boards of Envel, a digital AI bank, and The Boston Club and is board advisor to Cultured Kids. Noticing a gap in the industry, she founded FintechWomenUSA to promote gender equity and diversity in fintech. Carl Hahn is VP and chief compliance officer for Northrop Grumman Corp., a leading global security company. Hahn is responsible for leading the enterprise-wide compliance function, ensuring the company has the right policies, procedures, and practices in place and that they are effectively implemented globally. The office is also responsible for ensuring the company responds effectively to changes in the regulatory environment, evaluating controls and processes; developing and conducting training programs regarding applicable laws and regulations, policies, and procedures; collecting and analyzing corporate compliance data; providing feedback to business units; and reporting to the CEO and the audit committee of the board. Prior to joining Northrop Grumman, Hahn held a number of roles with IBM, including leading the company’s internal investigations worldwide. 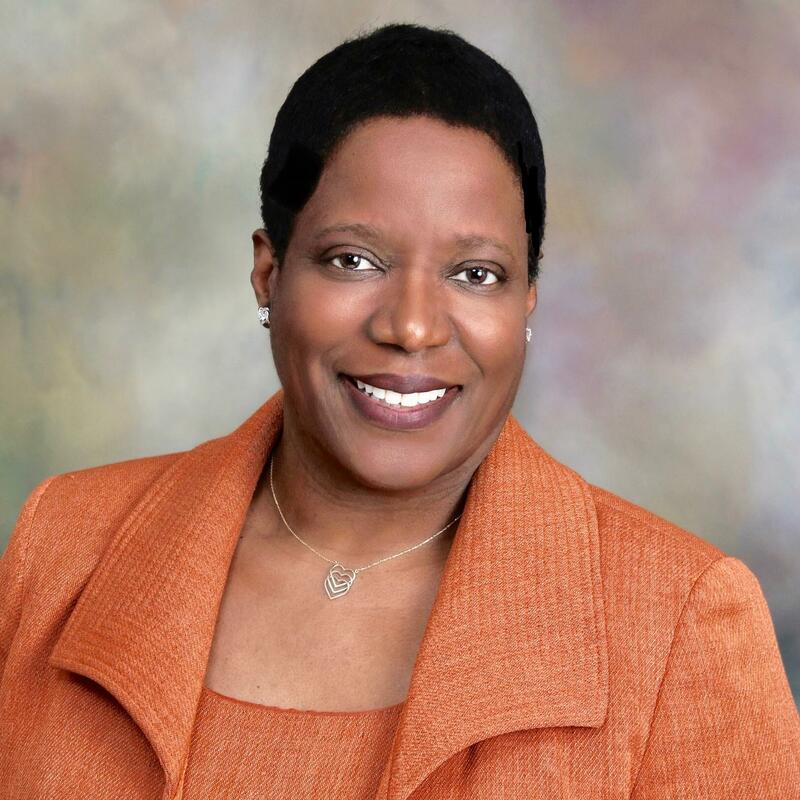 Karen Humphries is the regulatory & learning services executive at Bank of America. She oversees regulatory learning for more than 200,000 employees globally and manages enterprise learning services related to governance, preferred supplier management, and learning systems administration. Previously, Humphries served as the bank’s learning executive for global technology and operations and staff support. Her key responsibilities included designing, developing, and delivering learning strategies and solutions to enable employees to perform effectively in their role. At Bank of America, Humphries has held various learning positions and has led associate readiness activities for numerous large-scale transformation initiatives, including mergers, creating a center of excellence for compliance and credit training, and driving role transformations. She is a member of the International Society of Performance Improvement and The Association of Talent Development. She is active in several employee networks at Bank of America. Ellen is the chief audit executive and ethics & compliance officer at AARP. 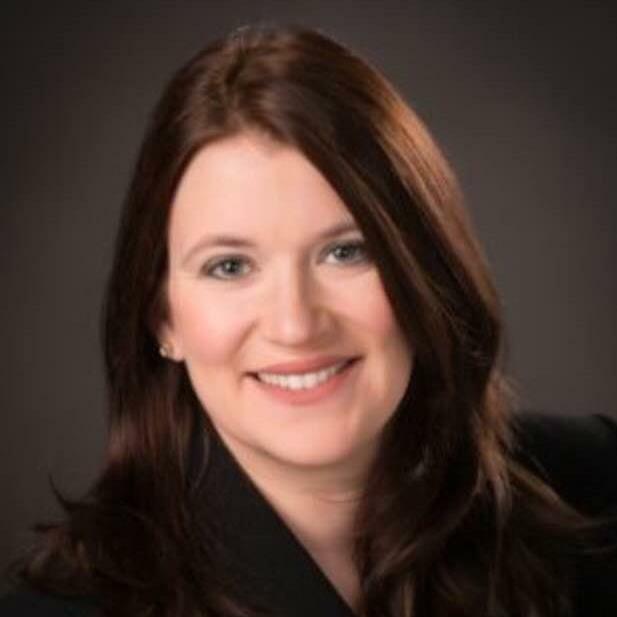 She is a lawyer and ethics & compliance professional with extensive management experience in designing, implementing, and operating ethics and compliance programs including board governance and reporting, designing ethics education, and managing enterprise risk processes as well as handling investigations and regulatory agency inquiries. She was featured as a Top Mind by Compliance Week in June of 2016. 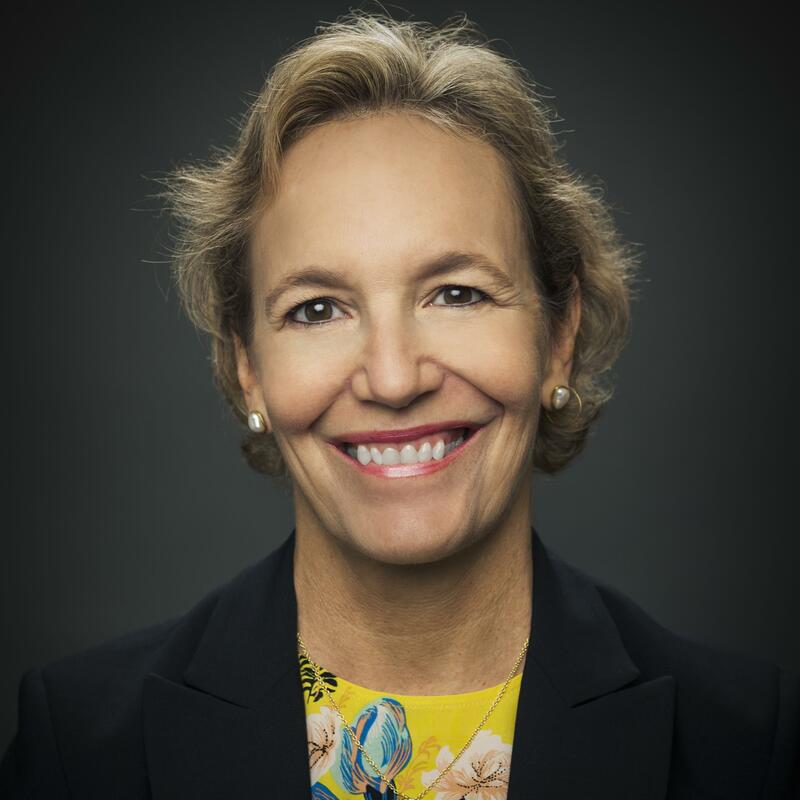 She is also a contributor to Trust Inc., A Guide for Boards & C-Suites and was named a Trust Across America 2019 Top Thought Leaders in Trust Lifetime Achievement Award Honoree. She has been shortlisted in two categories for the 2019 Women in Compliance Awards. Ronnie Kann is director, global ethics & compliance, at Kimberly-Clark. He leads strategic operations for the function, focusing on training, communications, risk assessments, surveys, and program metrics. Before joining K-C, Kann led research and operations for CEB, now Gartner, across three membership groups serving chief auditors, risk managers, and chief ethics and compliance officers worldwide. He helped develop the CEB Compliance and Ethics Leadership Council from its inception and led that program for more than 8 years. 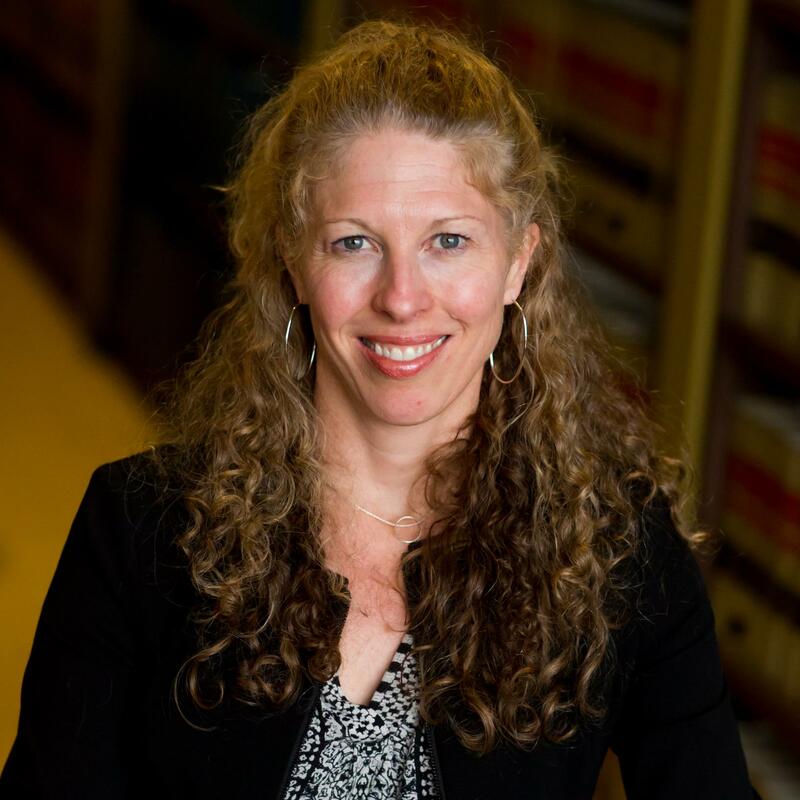 Kann is a former trial attorney for the U.S. Department of Justice, Civil Division, and has worked at national law firms in New York and Boston. George Kaniarasseril is a third-party risk program manager at Standard Chartered Bank (SCB). From a 2nd-line perspective, he is the primary owner of oversight for the TPRM program for all U.S. and LATAM operations. In addition, he works to address a variety of issues for the TPRM program in the United Kingdom and Europe. 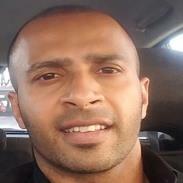 Kaniarasseril began as a cyber-security risk and controls specialist at PwC. Through consulting, he worked within many industries to provide services to clients for forensics, privacy, attack and penetration, network architecture, incident response, and litigation support. He eventually made his way to PGIM, the asset management arm of Prudential, where he managed a number of projects to support the 1st and 2nd lines of defense and worked toward the remediation of risks for an array of complex third-party relationships. He has served as a thought leader and subject matter expert for the Information Systems Security Association and Global Association of Risk Professionals and is a Certified Public Accountant. 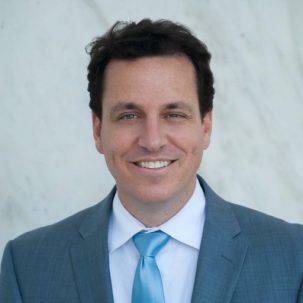 David Kessler is public sector private counsel for Verizon, where he handles all aspects of product compliance for ~$5B in sales to federal, state & local government, education, and public safety customers. Previously he was general counsel, managing attorney, board member & director of McAfee Public Sector, a subsidiary of McAfee (formerly Intel Security). He also served as McAfee’s chief compliance officer and managed a team responsible for all aspects of its worldwide ethics and compliance program. Prior to joining McAfee, he served as group corporate counsel, public sector at Autodesk Inc., a 2D and 3D software manufacturer. 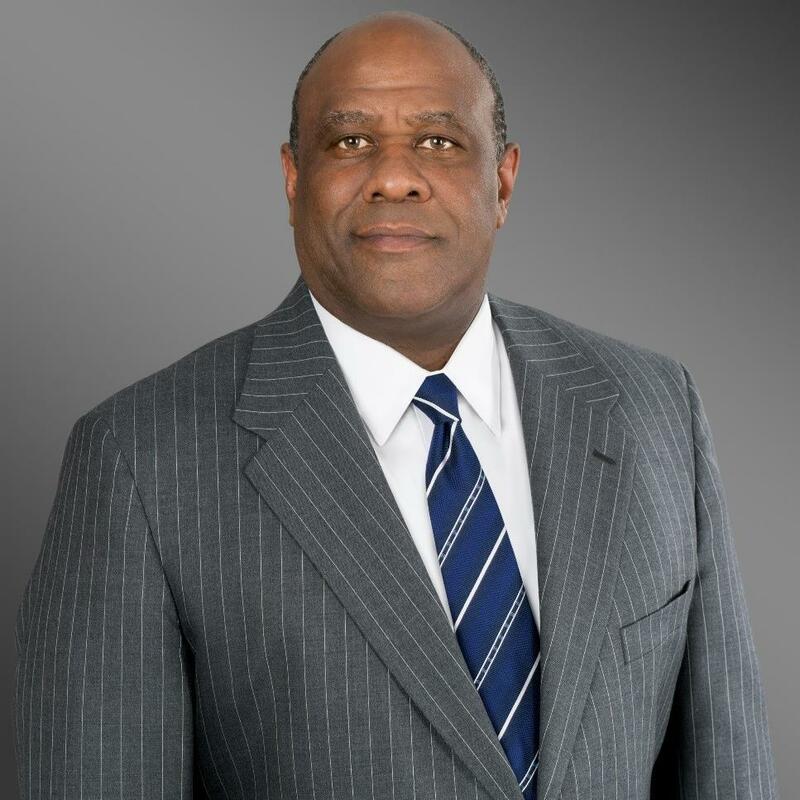 He also served as senior corporate counsel – public sector with Symantec and was a senior associate with Greenberg Traurig, the largest law firm in the United States. 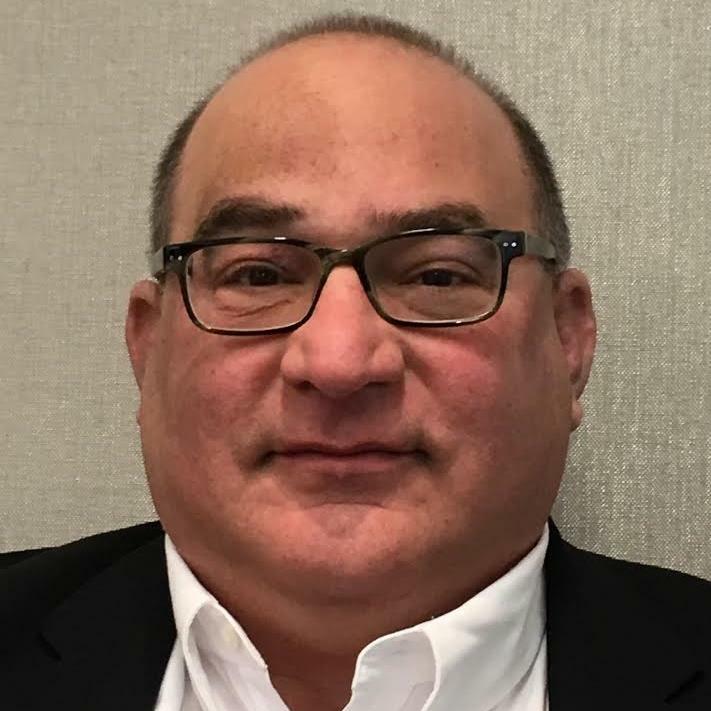 John Krenitsky joined Freddie Mac as Senior Vice President, Chief Compliance Officer (CCO) in May 2018. He oversees, and provides board-level reporting on, Freddie Mac’s risk-based, programs designed to comply with applicable laws, regulations, regulatory guidance and internal codes of ethical conduct. These programs are comprised of policies, standards, procedures and systems of internal controls as well as training, monitoring, testing, investigations, issue identification response and resolution tracking. John has over two decades of experience in legal and compliance leadership roles including the Chief Compliance Officer at: Discover Financial Services, BancWest Corporation and Bank of the West (subsidiaries of BNP Paribas), and M&T Bank Corporation. John also served as Deputy General Counsel for M&T Bank Corporation and practiced as a commercial litigation attorney representing banks and commercial creditors. 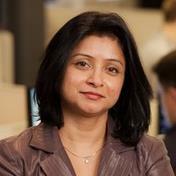 Veena Lakkundi is the 3M chief ethics & compliance officer and VP of the ethics & compliance department. Lakkundi is responsible for the development and execution of the 3M global compliance program, employing a team of experts in programs development, investigations, international operations, policy governance, and government contract compliance. She uses her breadth of global business experiences to support 3Mers around the world, as they solve customer challenges with unwavering integrity. She speaks at various events to further share knowledge about the 3M ethics program. She has a solid global business background and has succeeded in a broad range of roles. She is passionate about promoting STEM education and the empowerment of women. 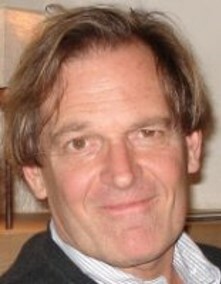 Donald Langevoort is the Thomas Aquinas Reynolds professor of law at Georgetown University Law Center. He previously spent eighteen years at Vanderbilt University School of Law as the Lee S. & Charles A. Speir professor. He has also been a visiting professor at the University of Michigan and Harvard Law School and has taught courses at the University of Sydney in Australia and Heidelberg University in Germany. Langevoort has written a treatise on insider trading, co-authored a casebook on securities regulation, and produced numerous law review articles. He completed a three-year term as a member of FINRA’s National Adjudicatory Council and served on the legal advisory committee of the New York Stock Exchange; the legal advisory board of the National Association of Securities Dealers; the SEC's Advisory Committee on Market Information; and the nominating committee of the Municipal Securities Rulemaking Board. Langevoort is the author of Selling Hope, Selling Risk: Corporations, Wall Street and the Dilemmas of Investor Protection. Director, UX & Product Design, Convercent, Inc.
John Langford is the Director of UX and Product Design for Convercent, Inc., where he oversees the design of the company’s suite of ethics and compliance management software solutions. In this role John has worked closely with industry and thought leaders to spearhead the development of Convercent’s Interactive Code of Conduct, a platform for measuring and managing employee engagement with their organization’s ethics, mission, and values. Dave Lefort is an award-winning journalist with an extensive background in content management, digital strategy, and data analytics. 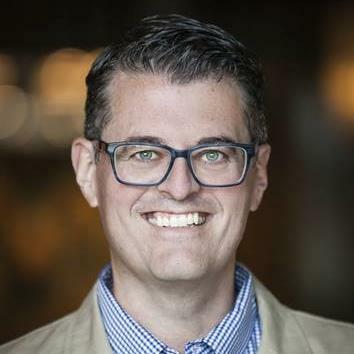 He spent nearly two decades in digital leadership roles at The Boston Globe and ESPN.com before joining Compliance Week as Editor in Chief in April 2018. Before entering digital media, Dave was a reporter specializing in information technology for Transport Topics, an industry-leading trade publication for the trucking and freight transportation business. 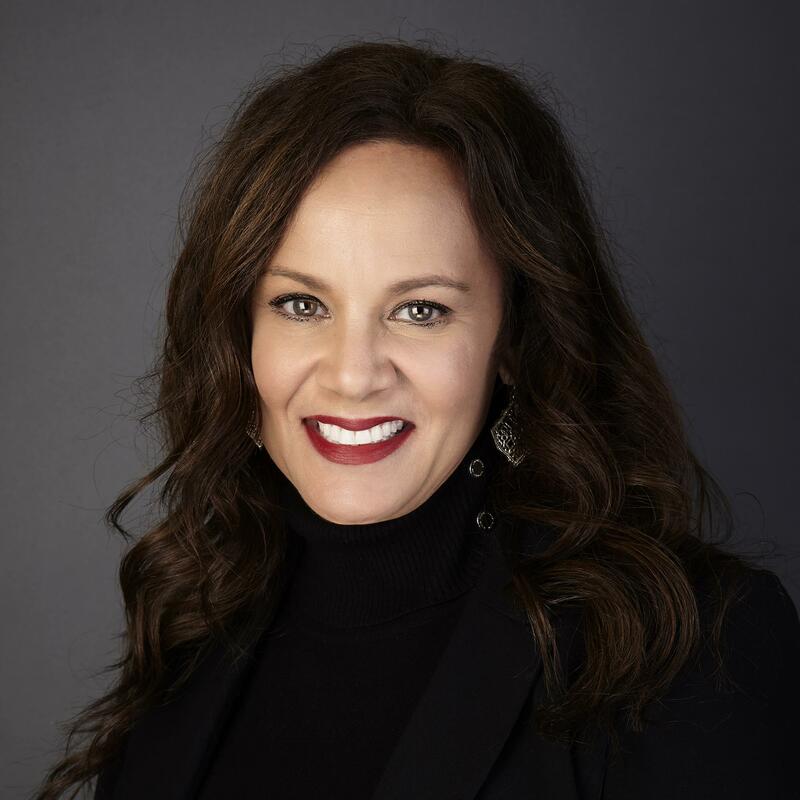 Lisa Beth Lentini Walker is the CEO and Founder of Lumen Worldwide Endeavors, a group offering innovative compliance, ethics, governance and risk consulting services. She is a strategic global business partner that aligns organizations while creating and efficiencies and advising C-suite executives and the board of directors to further enterprise initiatives while mitigating risk. She has served in senior appointed positions at a Fortune 50 company, a NYSE listed company and with a global private company. Ms. Lentini Walker also served with US SEC in the Divisions of Corporation Finance and Enforcement. Ms. Lentini Walker has built world class compliance and ethics programs and received numerous nominations and awards in corporate governance and compliance, including winning the corporate governance team of the year for Best Buy (Corporate Secretary Magazine 2010), the Rising Star in Corporate Governance Award (Yale Millstein Center 2011), the shortlisting of CWT for Best Compliance Program in 2015 and 2016, as well as a shortlisting as Compliance \ Officer of the Year 2016 (Women in Compliance Awards). Ms. Lentini Walker speaks regularly in domestic and international venues on topics such as the corporate secretarial function, corporate governance, compliance, ethics and risk management matters. Ms. Lentini Walker has a B.A. degree from Lawrence University, a J.D./M.B.A. degree from Tulane University and a L.L.M. specializing in securities and financial regulation from Georgetown University School of Law. She also is a certified Mindfulness and Meditation coach. 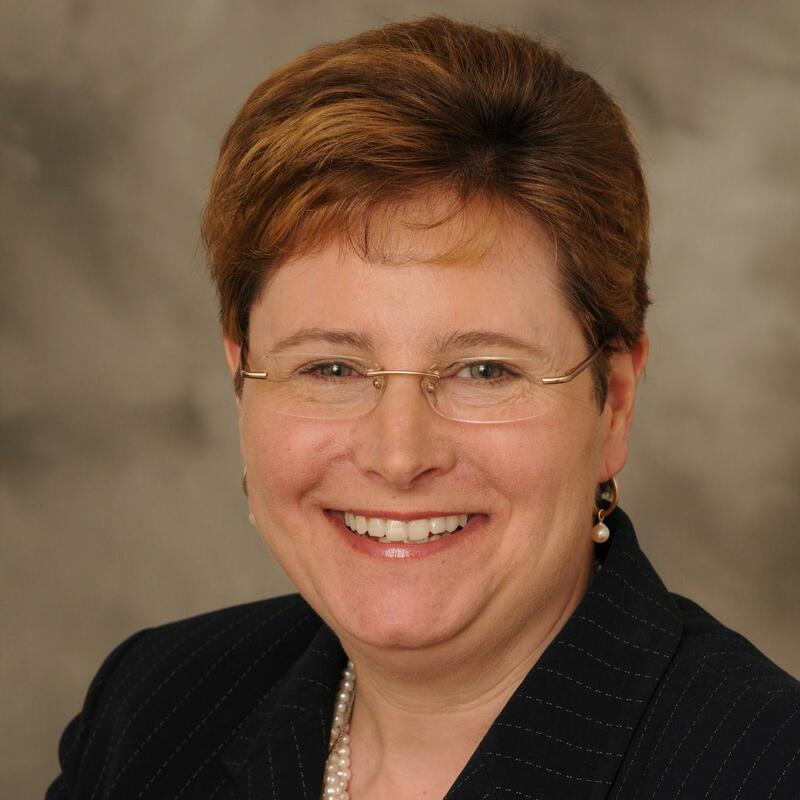 Michele F. Lipschultz is the General Counsel Office/Enterprise Learning and Development Manager at Thrivent Financial. She provides consulting, curriculum development and curation, learner centric resources and solutions and risk mitigation via regulatory training. Leading the daily operations of Thrivent’s Enterprise and Regulatory Training team includes design, development and facilitate various learning experiences and deliverables across the organization. Ms. Lipschultz has close to seventeen years’ experience in compliance and regulatory matters in the financial industry. Working closely with Thrivent’s CCO, she builds a regulatory training portfolio and learning strategy to address the organization’s compliance needs, the current regulatory focus, industry hot topics and key risk areas. She holds the General Securities Principal, General Securities Representative, Uniform State Agent Law Examination registrations with FINRA and Wisconsin Life and Health licensing. Michele has a Master of Business Administration (MBA) from the University of Wisconsin (2008). Prior to her regulatory and compliance training career, she was a Senior Compliance Examiner at Thrivent, and worked various business and operations roles, and authored the organization’s compliance newsletter. 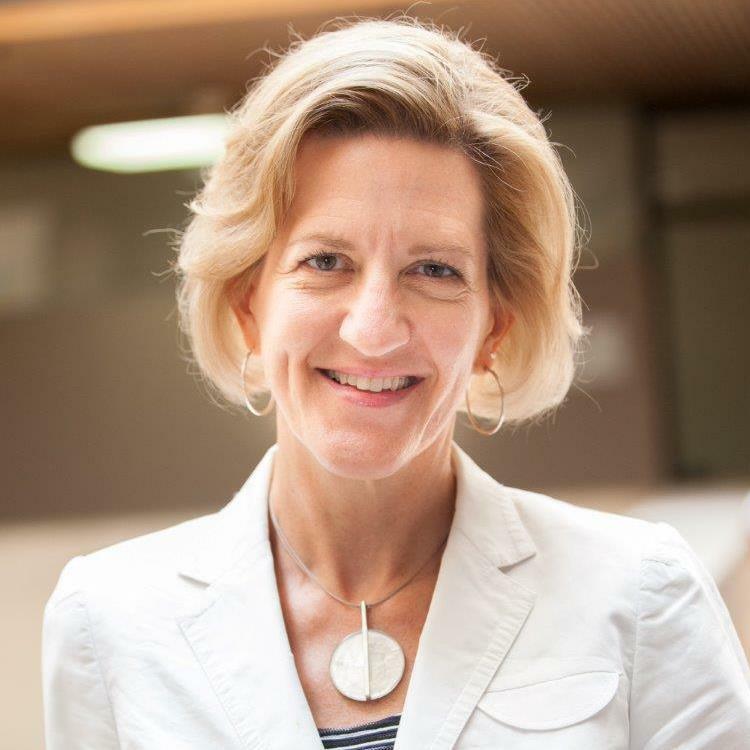 Ms. Lipschultz has served on NSCP Board of Directors, Chair-NSCP Education Committee, Member-Meetings Committee, University of Wisconsin MBA Advisory Board, and frequently serves as a panelist on effective Learning and Development, Regulatory Training and soft skills training. 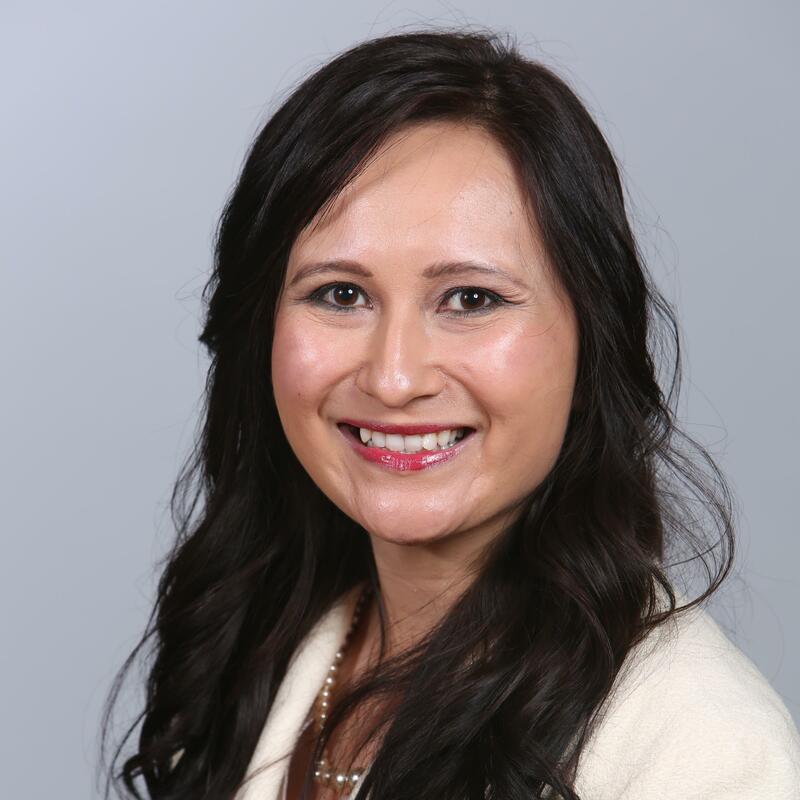 Lidia Lopez is a group compliance officer at SBM offshore, where she manages the integrity line and trains employees on compliance and cultural aspects (such as Speaking Up). Additionally, she focuses on third-party due diligence, particularly on high-risk third parties. Lopez has experience in the field of anti-corruption law, competition law, trade sanctions and export controls, and corporate governance for international companies. During her career she has worked in various places around the world and appreciates working with different kind of cultures. Before starting at SBM offshore, she worked as a compliance associate in the financial sector. David Lui is the co-editor of Modern Compliance: Best Practices for Securities and Finance. The two-volume set is the most widely distributed treatise on securities law compliance in the country. He was the chair of the compliance community’s trade group, the National Society of Compliance Professionals, and has been a chief compliance officer for some of America’s largest investment advisers, including Charles Schwab Investment Management, Franklin Advisers (Franklin Templeton), U.S. Bancorp Asset Management, and Galliard Capital Management, an $85 billion subsidiary of Wells Fargo. He is admitted to practice in California and Minnesota. Leo Mackay SVP, ethics and enterprise assurance, reporting directly to the chairman, president, and CEO and to the audit committee of the board. As the chief audit executive he provides independent, objective assurance and advisory activity to improve the corporation’s operations. He is responsible for overseeing Lockheed Martin’s award-winning ethics program and the execution of the corporation’s compliance training. As the chief sustainability officer, he is responsible for ensuring responsible growth and global corporate citizenship. He is also a director of LMVentures, Lockheed Martin’s $200M corporate venture capital arm. His previous assignments at Lockheed Martin have included VP, corporate domestic business development; and president of ICGS, a joint venture of Lockheed Martin and Northrop Grumman focused on providing program management, systems integration, aircraft systems, C4ISR and integrated logistics for the U.S. Coast Guard’s modernization. Mackay is an independent director of Cognizant Technology Solutions Corp. and USAA Federal Savings Bank. Bartosz Makowicz is university professor at the Faculty of Law, European-University Viadrina in Frankfurt (O. ), Germany. 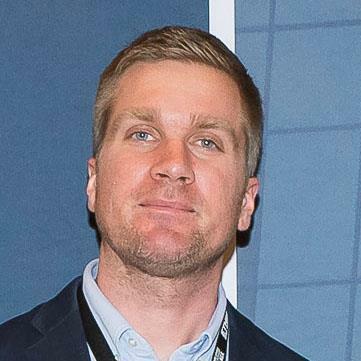 He is founder and director of the Viadrina Compliance Center, which is an interdisciplinary research center and a think-tank for Ethics, Compliance and Integrity, based in Frankfurt(O.). He is a member in Councils of Transparency International, German Compliance Institute and others. He has been trainer and advisor on Compliance to several companies and governments among them the Federal Government of Defence. He has been the Head of Delegation of Germany to ISO 19600 Compliance Management Systems and ISO 37001 Anti-Bribery Management Systems. Bartosz is author of over 100 publications on compliance, ethics and integrity. 2018 he lunched the annual publication “Yearbook of Global Ethics, Compliance & Integrity”. He gave more than 100 speeches at national and international conferences. He lives with his wife and dog in Berlin. As VP, ethics and business conduct, Blair Marks is responsible for ensuring the application of Lockheed Martin’s values in all aspects of operations. She leads a team of ethics professionals providing education and guidance; promoting open communication; assisting in the prevention, identification, and resolution of issues; and investigating allegations of misconduct. Marks represents the company on the defense industry initiative’s working group and the steering committee of the International Forum on Business Ethical Conduct. Previously, Marks led the C-5 Avionics Modernization and Reliability Enhancement/Re-engining programs and was site director of engineering for the company’s Marietta, GA, facility. Marks also served as plant manager of the company’s Composites and Adhesive Bonding Plant in Charleston, S.C.
decades in the healthcare industry. He currently leads a team responsible for driving the company’s sustainability strategy for health, ethics, and environment across the six continents in which AstraZeneca operates. Massey’s approach aims to keep it simple, focusing leaders on delivering results consistent with company values. He regularly presents at industry forums on topics ranging from operating sustainably to innovative approaches to operating beyond compliance in a heavily regulated industry. Sean McKessy, a partner at Phillips & Cohen, was the first chief of the SEC Office of the Whistleblower and helped establish the procedures and policies for handling whistleblower claims. During his five-year tenure, he played a key role in the SEC’s efforts to reward and protect whistleblowers. McKessy now represents whistleblowers at Phillips & Cohen, which has the longest-standing and most successful practice devoted exclusively to representing whistleblowers under government reward programs, with more than $12.3 billion recovered as a result of the firm’s cases. McKessy served previously at the SEC in the Enforcement Division. He later held corporate compliance positions as corporate secretary for Altria Group Inc. and AOL Inc. and as securities counsel for Caterpillar Inc. Compliance Week named him to its list of the “Top Minds” in corporate governance, risk, and compliance in 2017. 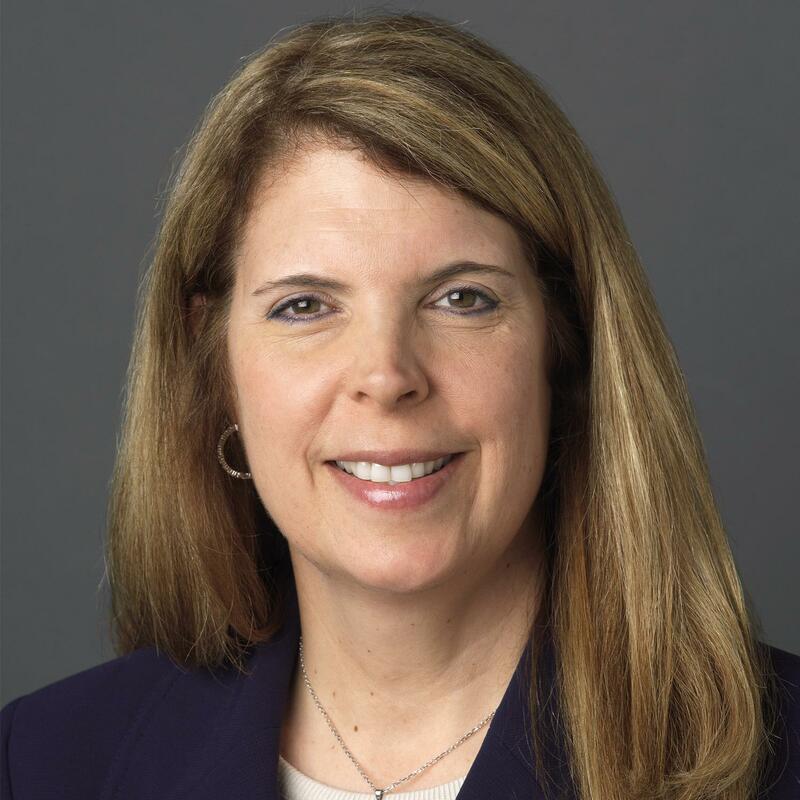 Amy Mertz Brown is chief compliance officer at the Securities and Exchange Commission, leading the SEC’s personal securities trading rules compliance and government ethics functions. She has served for over 30 years in a variety of senior management and in-house counsel roles at federal finance agencies, including the Department of the Treasury. She helped start the Consumer Financial Protection Bureau, joining a start-up group of 25 employees and growing the organization to an independent government agency of over 1,500. Mertz Brown began her career as in-house counsel at the U.S. Small Business Administration, engaged in commercial loan transactions as well as debt collection and general litigation in federal district court, bankruptcy court, and administrative courts. 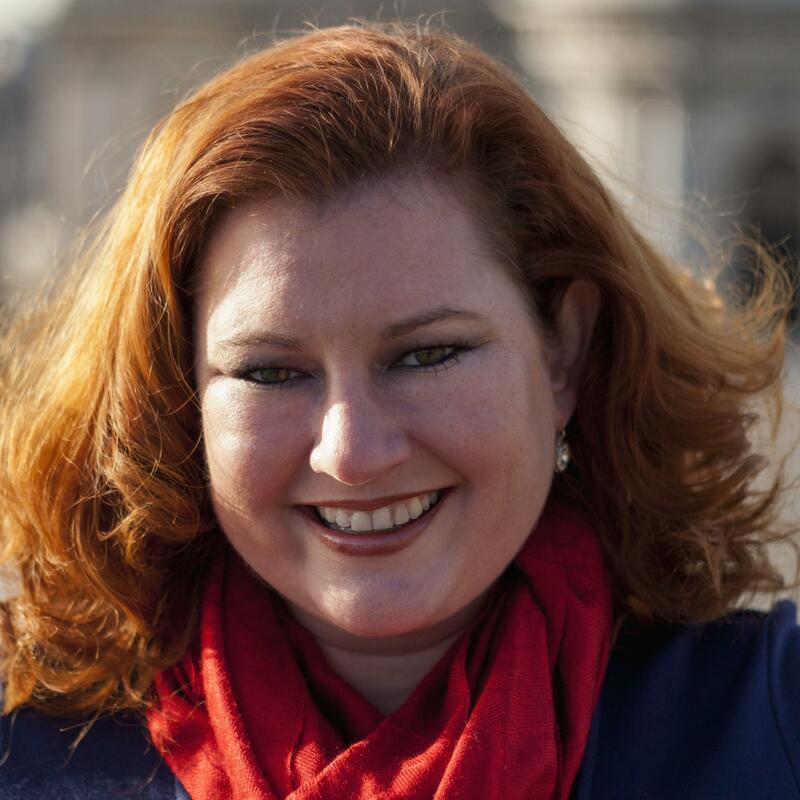 She holds a Leadership Professional in Ethics & Compliance (LPEC) Certification from the Ethics and Compliance Initiative (ECI) and participates in a federal interagency group promoting compliance in federal agencies. 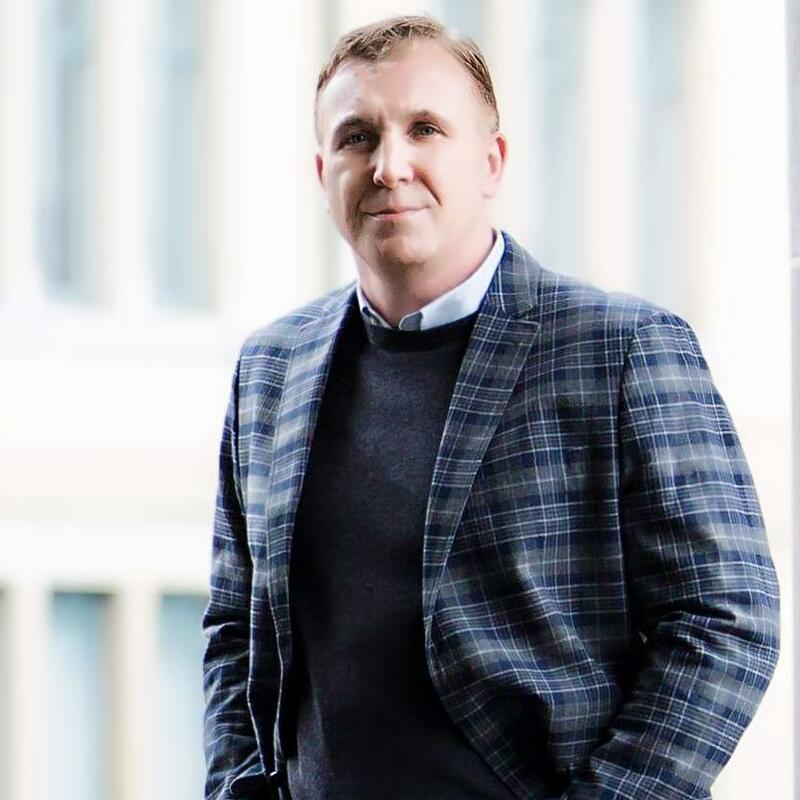 Jamie Miller is the founder and CEO of Mission Multiplier, a Huntsville-based, HUBZone-certified small business and Department-of-Defense recognized asset at the forefront of cyber-security and information assurance innovation. Miller possesses over 18 years’ experience and is a proven thought leader who has developed innovative approaches and methodologies to solve problems in the areas of: cyber-security—to include ISSO-as-a-Service, MARS Box, and MI:COP, which are changing the game for how organizations achieve cyber-compliance at a reduced cost. Miller was awarded the “2016 Emerging Entrepreneur of the Year” by Innovate Huntsville and was nominated for the prestigious Russell G. Brown Award by the Huntsville Chamber in 2017. He was most recently a finalist as “Entrepreneur of the Year” as part of the 2018 Economic Development Partnership of Alabama Innovation Awards. Subhashis Nath is a global senior partner of the Genpact’ s Enterprise Risk and Compliance practice, leading the non-financial risk practice and is responsible for driving growth and new digital solution development in the risk domain. For more than 25 years, Subhashis has been focusing on process consulting, internal audit, risk management, and governance. He has created digital assets and solutions for Anti-Corruption, Enterprise Risk Management, Third-Party Risk Management, Internal Audit, and SOX. His experience includes building Centers of Excellence for global enterprises, along with implementing hybrid delivery models, combining on-shore and off-shore solution delivery. A Chartered Accountant by profession, Subhashis has authored several thought leadership papers and is an active industry speaker at forums across US, Europe and India, leveraging his experience working with clients across the globe. He is a regular panelist and chair at compliance conferences around the world. He is also a visiting faculty in leading Business Schools of India and has delivered over 2000+ hours of risk management sessions globally apart from being active in industry forums as well. 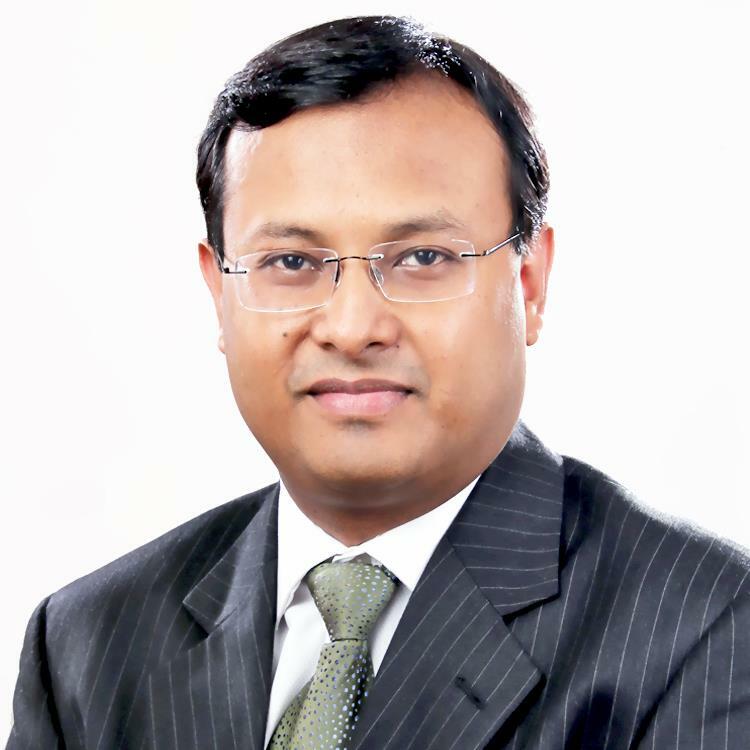 Prior to Genpact, Subhashis worked with Arthur Andersen where he played a key role in setting up the Business Process Risk Consulting Practice of Andersen in India. Subhashis was also a member of the Global Centre of Excellence for BRS of Ernst & Young in Cleveland, USA for almost two years. Steve Naughton currently works for StoneTurn, a leading compliance, investigations, and monitoring consulting firm. He has over thirty years of experience in compliance and risk management and as in-house attorney for PepsiCo, Kimberly-Clark, and Quaker Oats. Before joining StoneTurn, Naughton was chief compliance & ethics officer first for PepsiCo and then Kimberly-Clark, two major consumer product multinationals. He helped to build outstanding stand-alone compliance programs at both companies. Naughton also served in several positions within the Quaker and PepsiCo law departments, including as chief litigation counsel for both companies. Naughton was named a Compliance “Top Mind” in Compliance Week’s inaugural group of honorees in 2016, as well as having been named a “Top Thought Leader” by Trust Magazine. He has been a frequent speaker at leading Compliance programs like Compliance Week. 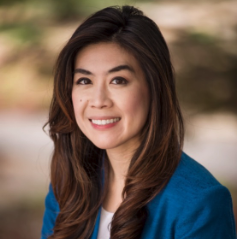 Ling-Ling Nie has been selected as General Counsel, Vice President of Ethics & Compliance at the Georgia Institute of Technology. 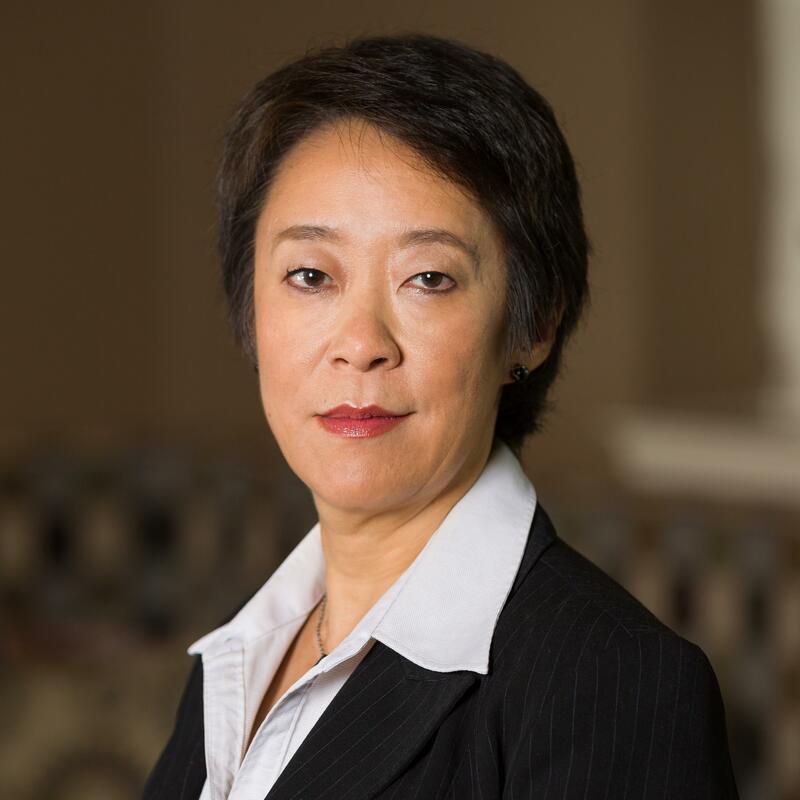 She formerly served as Chief Compliance Officer & Assistant General Counsel at Panasonic Corporation of North America, where she was responsible for managing the corporate compliance and ethics program for over 25 subsidiaries and division companies. She has practiced in both the private and public sectors in multiple areas, and previously served as a Senior Advisor to the General Counsel at the U.S. Department of the Treasury. Her practice focuses on global compliance matters, including antitrust, anti-corruption, data protection, customs and trade, conflict minerals, privacy issues, business ethics, and investigations. 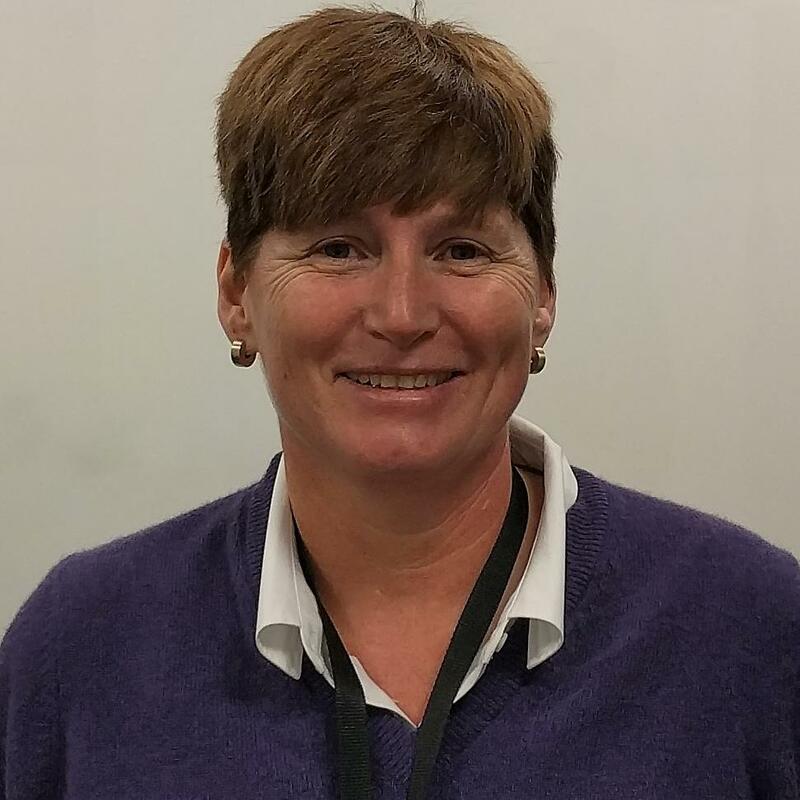 She served as a division President of Panasonic’s Women Connect organization and currently serves as a Global Mentor for the Sport Integrity Global Alliance (SIGA). She received the “Excellence in Ethics Training and Communications Award” from the U.S. Office of Government Ethics in 2010 and was a University of Georgia “40 Under 40” award program nominee in 2013 and 2018. She also serves on the Board of Directors at both the Actor’s Express Theatre in Atlanta and Georgia Lawyers for the Arts and has been featured in Modern Counsel Magazine and Compliance Weekly. Kami Niebank is the deputy chief compliance officer for CalPERS. In 2014 she transitioned from operations to compliance where she developed a target operating model, built a 5-year compliance plan, and launched the transformation of the compliance program. In 2016, Compliance Week named Niebank as one of the Top Minds, representing thought leaders in ethics and compliance. Ann Oglanian founded ReGroup in 2002 as an interdisciplinary consultancy dedicated to providing strategic and tactical guidance to investment advisers, boards of directors, hedge funds, and private equity firms regarding all areas of business risk management, including regulatory management and the development and assessment of compliance programs. ReGroup also provides guidance regarding growth strategies, business planning, organizational development, vendor selection, negotiations, and cost management, as well as executive coaching and executive search services. Formerly, Oglanian was the managing director, general counsel, and chief compliance officer for San Francisco-based Montgomery Asset Management. Prior to that, she was a partner in the investment services practice group of the Chicago-based law firm Vedder Price, where she represented a wide range of mutual funds, investment advisers, independent fund directors, and broker/dealers. Formerly, she served as in-house counsel to Strong Capital Management and Kemper Financial Services and as the COO to several investment management firms. April Oliver is currently a VP and associate general counsel at Salesforce. She is a member of the legal and corporate affairs (LCA) leadership team. She heads the Office of Ethics & Integrity, a global business unit reporting to the LCA president and general counsel. She provides the strategic vision for the global ethics and integrity program and oversees legal compliance training, policy development, and related investigations. 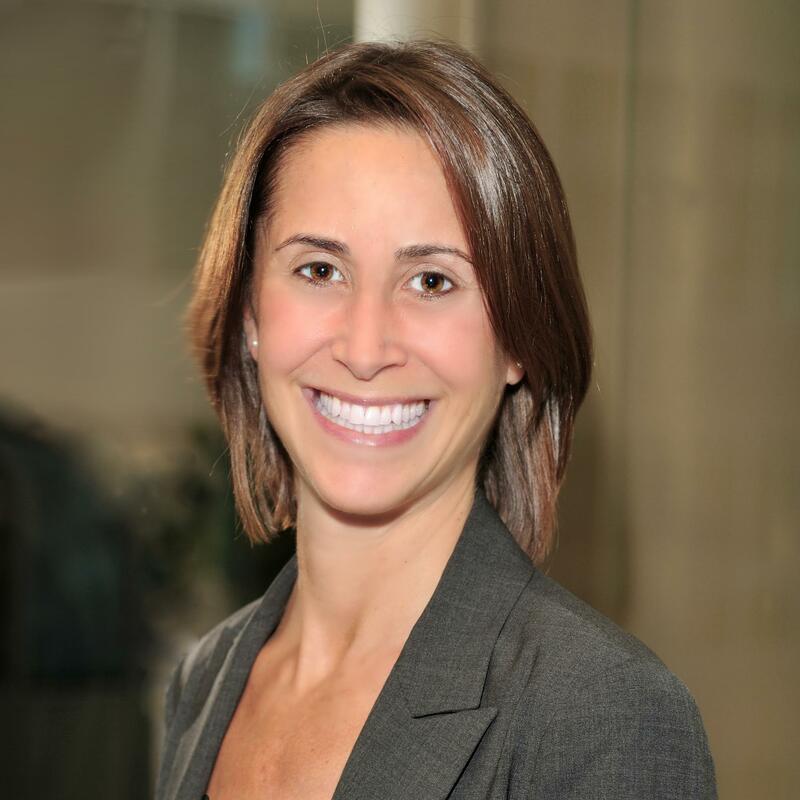 She has direct reports in EMEA, APAC, LACA, and the U.S. public sector, in addition to HQ. 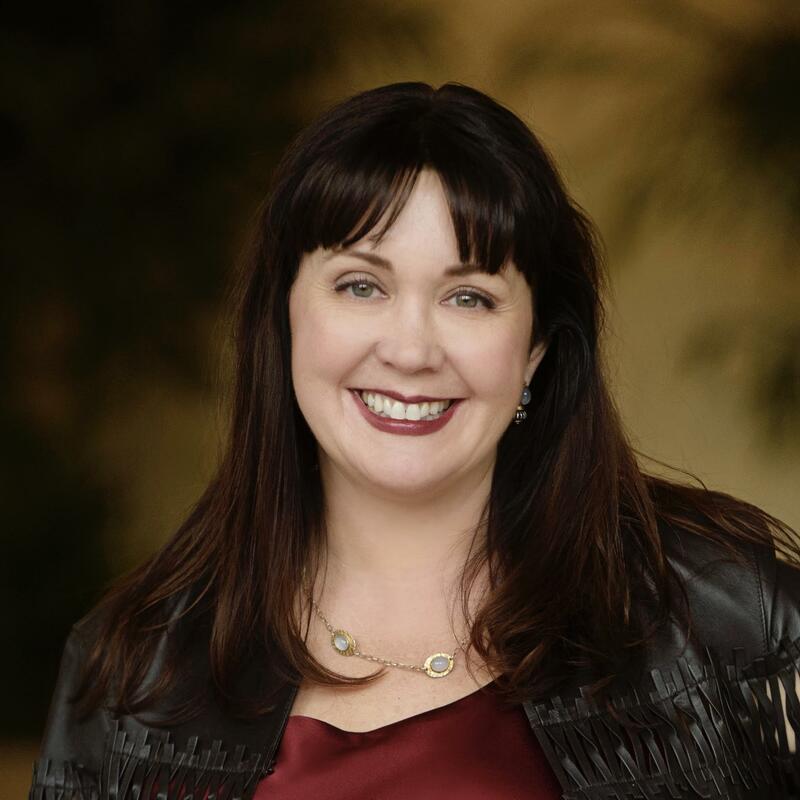 She is a member of compliance and risk committee, a cross-functional group of senior business leaders at Salesforce that is the company’s risk assessment body. 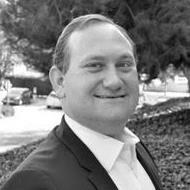 Matt Pachman is the chief risk & compliance officer at FTI Consulting Inc. He also recently served as chairman of the board of the Ethics & Compliance Association. 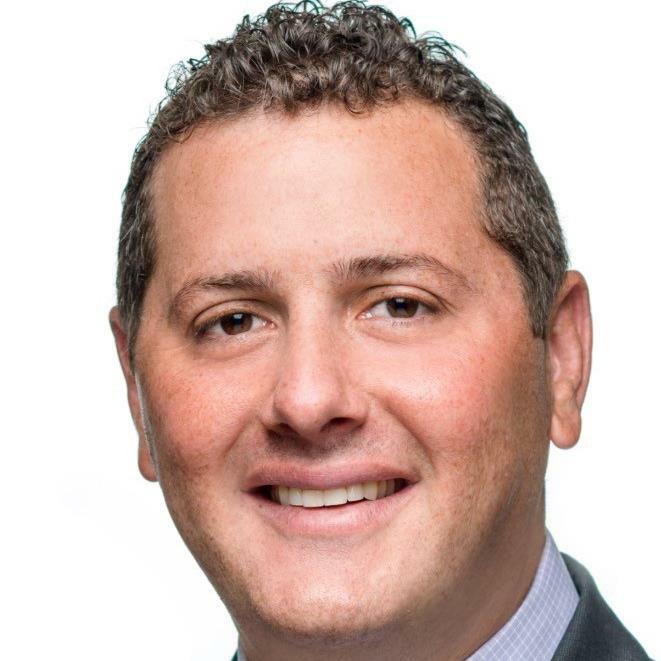 Prior to joining FTI, Pachman was the chief compliance officer at Altegrity Inc. and the VP, compliance - ethics and business practices at Freddie Mac. Prior to joining Freddie Mac, Pachman served as the chief ethics officer at MCI, appointed by the general counsel following revelation of fraud by former WorldCom executives. He had previously served in MCI WorldCom’s legal department. Before joining MCI, Pachman was a lawyer in the Washington office O’Melveny & Myers and served as a law clerk to the Honorable Karen LeCraft Henderson of the U.S. Court of Appeals for the D.C. Circuit. Pamela Panagian specializes in communications, training, and third-party compliance with over 13 years of experience in a range of positions from audit, consulting, project management, and program implementation. She started her career at PwC in their health industry assurance practice for six years prior to moving internal audit and project management at Iron Mountain and Keurig Green Mountain. 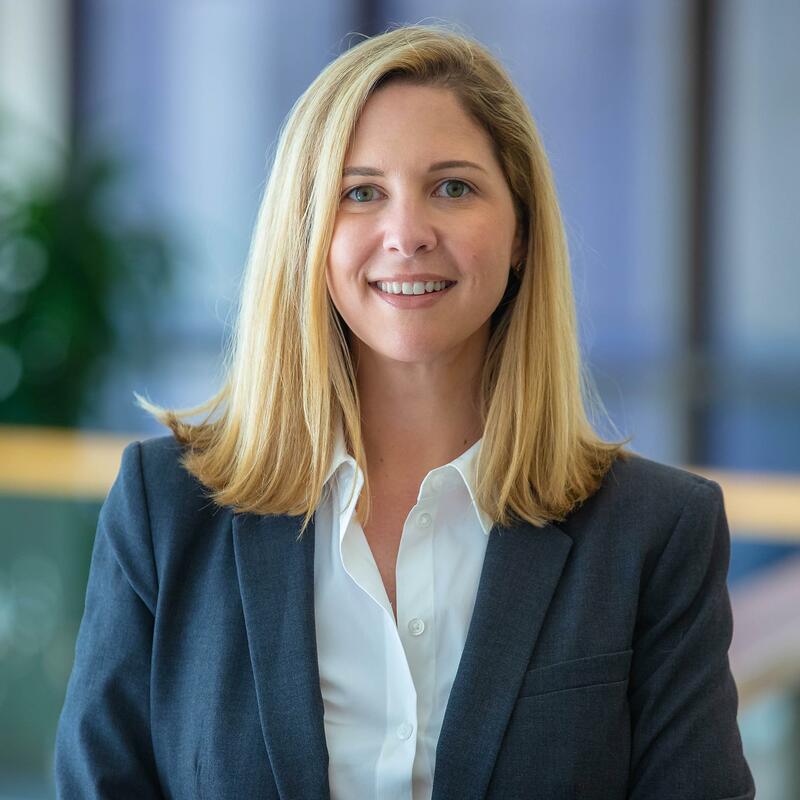 She joined Boston Scientific in 2016 to support their third-party program and now oversees both the third-party program as well as the communications & training program. Former Deputy White House Counsel, Stefan is Chair of Michael Best's Government Regulations & Public Policy practice where he heads the Firm's Political Law practice, leveraging his nearly 25 years of experience to serve clients, focusing on representing corporations, interest groups, political figures, and other entities with respect to state and federal election law, ethics, campaign finance, pay-to-play, state and federal lobbying laws, internal investigations, crisis communications, and other issues. Mr. Passantino was recognized by Washingtonian Magazine as one of the “Best Legal Minds in Washington” in the field of Campaign and Election law and has been recognized as one of the leading political law attorneys nationwide by Chambers USA. He maintains offices in Washington, DC and Atlanta. 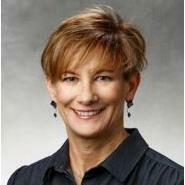 Carrie Penman is chief compliance officer of NAVEX Global and, since 2003, SVP, Advisory Services. She served for four years as deputy director of the Ethics and Compliance Officer Association. One of the earliest ethics officers in America, she developed and directed the first corporate-wide global ethics program at Westinghouse Electric Corp. Since joining NAVEX, she has conducted numerous program, risk, and culture assessment projects globally and regularly trains boards of directors and executive teams. She also serves as a corporate monitor and independent consultant for companies with government agreements, is the author of numerous compliance-related articles, and is regularly featured or quoted as a compliance expert in the media. Penman was featured in the Wall Street Journal's Risk and Compliance Journal and in Compliance Week. As CCO, she oversees NAVEX's internal ethics and compliance activities, employing many of the best practices that NAVEX Global recommends to its clients. Barbara Petitti is a senior compliance professional with over 20 years of ethics and compliance experience in a variety of industries. Currently, she serves as Alstom’s global ethics & compliance officer for policy enforcement and Investigations. In this role Petitti serves on the corporate team and is responsible for managing global investigations, internal monitoring of policy compliance, and managing compliance responsibilities with external stakeholders. In this role she supports all aspects of the Alstom ethics & compliance program to ensure that the standards of integrity are applied in all business activities. In her current role she brings extensive investigation experience to ensure that all matters are resolved promptly, consistently, and fairly. Prior to joining Alstom, Petitti worked for a large U.S. defense contractor for almost 15 years in a variety of roles in ethics, compliance, internal controls, and human resources. 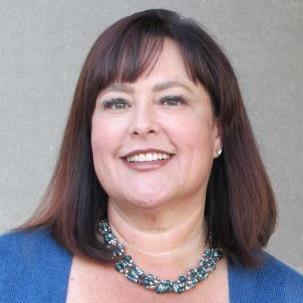 Karen Plaza is VP, compliance partner team lead at Flagstar Bank, FSB. As the team lead, Plaza is responsible for advising the mortgage servicing lines of business on operational risk, regulatory and compliance matters; collaborating with various business stakeholders to audit, develop, and enhance processes, procedures, and controls; and providing support for business strategies while preserving compliance with applicable federal laws and regulations. Prior to joining Flagstar, Plaza was a litigator in private practice. She served as outside general counsel to corporate clients in the consumer lending and financial services industry and managed and oversaw local counsel on a nationwide basis. Emiliano “Jon” Rios is Director and Chief Compliance Officer at Anchorage, a crypto-native custodian of cryptocurrencies and digital assets for institutional investors. Mr. Rios has almost 15 years of leadership and compliance experience across multiple segments of the financial services industry, the last ten of which have been focused in the securities and investments supervision and compliance space. He currently holds FINRA Series 7, 24, 53, and 66 licenses. Anchorage has recently emerged from “stealth mode” and is working to scale digital asset custody through various affiliated service providers. Mr. Rios most recently served as Compliance Manager at the Wealthfront Corporation, serving both its SEC-registered investment adviser, Wealthfront Advisers, LLC and its affiliated FINRA broker-dealer member, Wealthfront Brokerage, LLC. While at Wealthfront, Mr. Rios led a number of regulatory compliance initiatives including enhancements to the firm’s Code of Ethics administration, developing, implementing and discharging a Communications Compliance program, and building the organization’s compliance records repository and training modules, leveraging technology and automation to achieve greater efficiencies at scale. He also worked closely with Wealthfront’s engineering, product, design, marketing, finance, and operations teams to facilitate the brokerage’s migration from a fully disclosed to omnibus clearing arrangement, enhance its 529 Plan product offering, and launch its innovative margin lending product, Portfolio Line of Credit. Prior to Wealthfront, Mr. Rios served as a Senior Communications Compliance Manager at Charles Schwab & Co., Inc., working closely on regulatory compliance related to communications with several of that firm’s investment adviser affiliates, including Charles Schwab Investment Advisory, Inc., Schwab Private Client Investment Advisory, Inc., Windhaven Investment Management, and ThomasPartners Investment Management, Inc. His responsibilities also included compliance support for the Schwab Center for Financial Research, which produces content from some of the top minds in finance and the economy to provide clients with expert insight into financial markets. 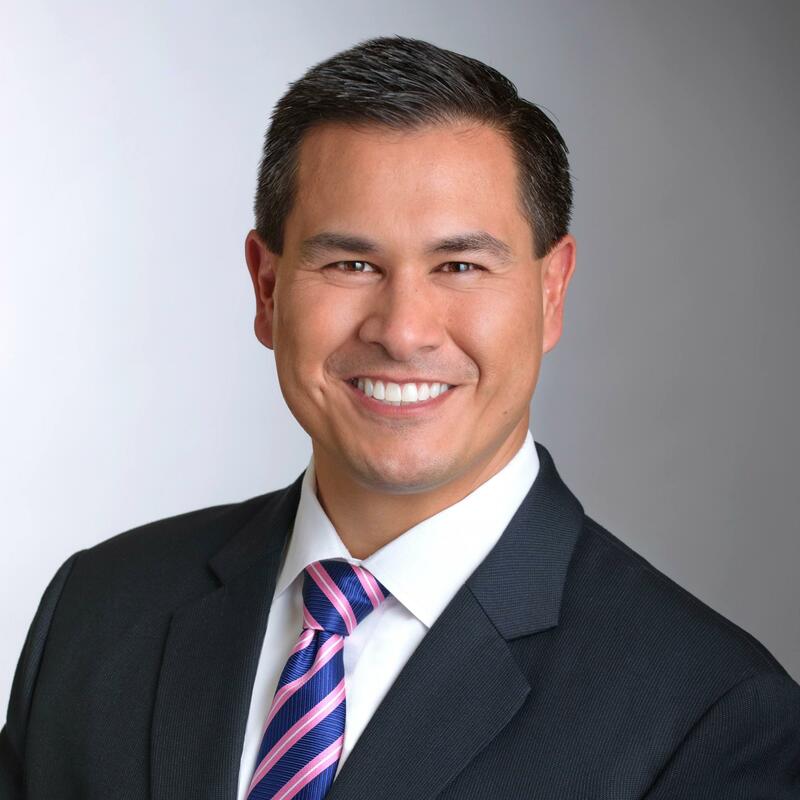 Mr. Rios also previously held compliance and supervision positions with BMO Harris Financial Advisors, BC Ziegler & Company, MassMutual Chicago, and Huntington Investment Company. Kristine Robidoux, QC, CCEP is Senior Compliance and Regulatory Counsel at Gran Tierra Energy Inc. in Calgary, Alberta. Before joining Gran Tierra in early 2017, she was a partner at a national law firm where she practiced in the area of business ethics, compliance, corporate risk, internal investigations and crisis management. Over the course of her career, Kris has gained particular expertise in Canada’s Corruption of Foreign Public Officials Act (“CFPOA”) and other anti-corruption regulations. She was lead defence counsel on the first two major prosecutions brought under the CFPOA, and was also lead counsel on the first corporate prosecution brought under Canada’s Special Economic Measures Act (Iran). She specializes in the creation and implementation of corporate compliance programs in the areas of domestic and international anti-bribery, securities laws, privacy and data protection, competition laws, export control and sanctions and business ethics. She is a strong proponent of corporate governance, ethics and compliance as vital risk management tools for companies and their officers, directors and employees. Rebecca (Becky) Rohr is VP, anti-corruption and global trade, in the ethics & compliance office at Hewlett Packard Enterprise, in Reston, VA, where she supervises a team of attorneys and compliance professionals. Before joining HPE in May 2016, Rohr served as the principal deputy chief of the Fraud Section in the Criminal Division of the Department of Justice, where she supervised over 120 prosecutors who worked on cases involving the Foreign Corrupt Practices Act, financial and securities fraud, and healthcare fraud. She has also served as acting deputy chief of staff and counselor to the assistant attorney general of the Criminal Division, and as an A.U.S.A. in the Southern District of New York. Rohr clerked for the Hon. Harry L. Hupp in the Central District of California. 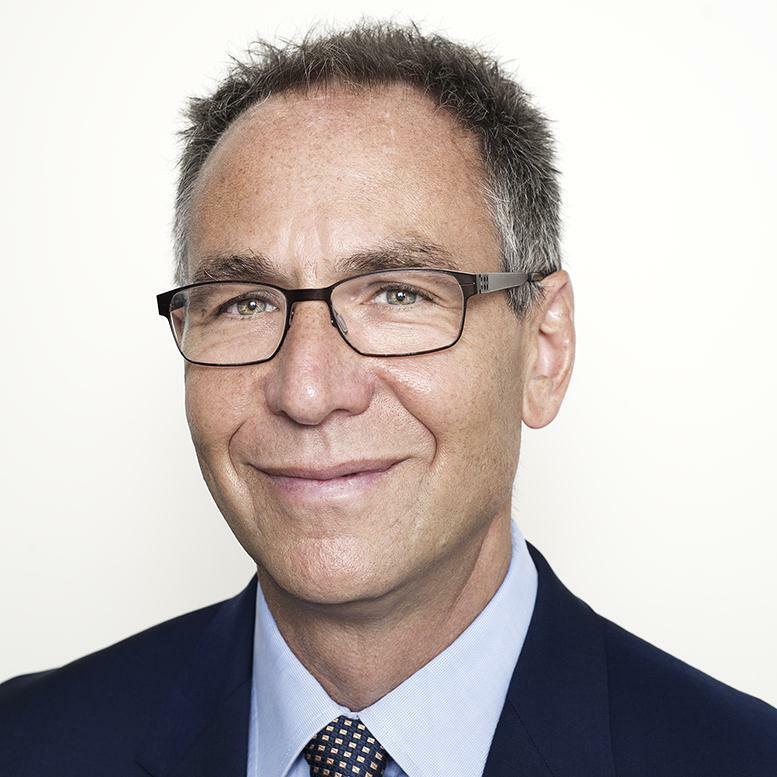 Jonathan Rusch is a lawyer and consultant on corporate compliance issues, principal of DTG Risk & Compliance, adjunct professor at Georgetown University Law Center, editor of Dipping Through Geometries (a global law and compliance blog), and retired SVP and head of anti-bribery & corruption governance at Wells Fargo. Previously, Rusch was a federal prosecutor for 26 years in the fraud section of the U.S. Department of Justice’s Criminal Division, most recently as deputy chief for strategy and policy. He also served as director of the U.S. Department of the Treasury’s Office of Financial Enforcement, counsel to the President’s Commission on Organized Crime, and an associate with a Washington, D.C. law firm. His awards include the Attorney General’s Distinguished Service Award, the Attorney General’s Award for Fraud Prevention, the United Kingdom Serious and Organized Crime Agency Director General’s Commendation, and the Georgetown University Vicennial Medal. Pat Ryder is an accomplished program manager in legal and compliance operations. As global ethics & compliance training manager for Avon Products Inc. from 2015-2019, Ryder managed a compliance training & communications program for 25,000 employees in 54 markets. While at Avon, Ryder gained valuable experience working with an independent corporate compliance monitor. She previously served as global legal & compliance operations manager for Pall Corp., managing employee training, hotline reporting and investigations, and policy development in addition to overseeing a $17M global legal budget. 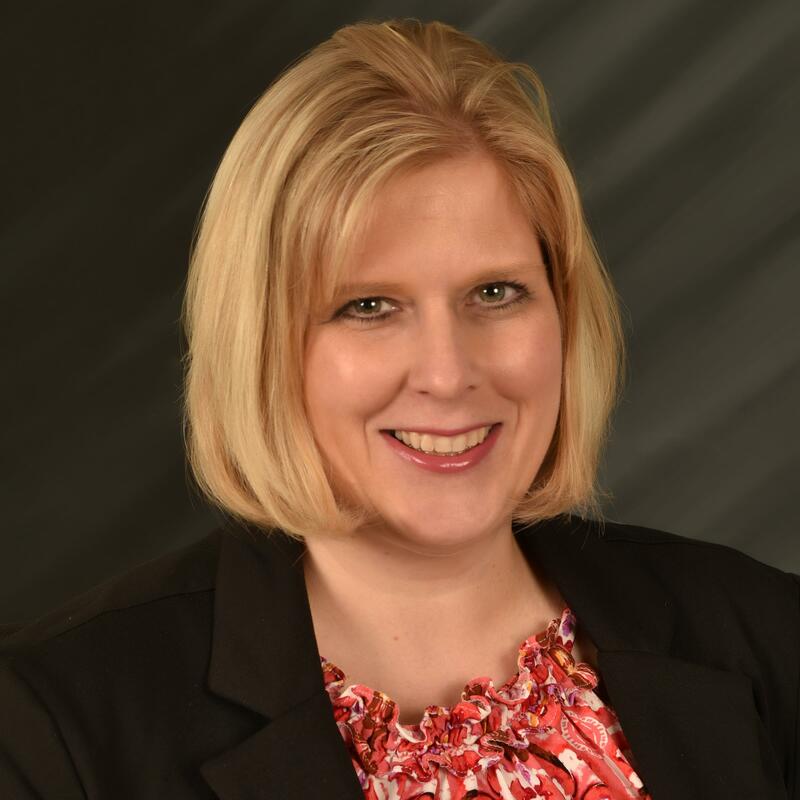 She developed compliance training delivered to Pall’s board of directors, led automation of Pall’s outside counsel management and several LMS migration projects, and was appointed the compliance officer for Pall’s headquarters. Prior to her focus on compliance, she specialized in learning & development. Ryder is now assisting companies to build or strengthen their compliance programs as an independent ethics and compliance consultant. 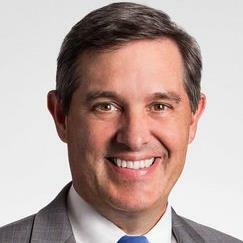 Chuck Senatore is head of risk oversight for Fidelity Investments’ Devonshire Investors unit, which focuses on long-term investments in operating companies and real estate, as well as the management of private venture funds. He also previously led Fidelity’s global compliance and ethics function. Senatore is a FinTech and RegTech advisor and is the founder of the Boston RegTech Meetup. He is on the board of directors of Fidelity Digital Assets Services and teaches compliance and regulatory strategy at the University of Chicago Law School. Prior to Fidelity, he co-led Merrill Lynch’s global compliance function, served as director of the SEC’s Southeast Region, and was an assistant U.S. attorney and chief of the public corruption section in the Southern District of Florida. Mary Shirley is a New Zealand-qualified lawyer with extensive experience implementing, evaluating, and monitoring compliance programs for multinational corporations. 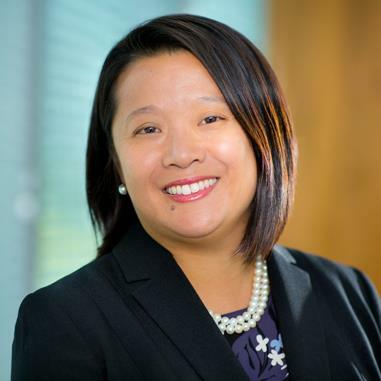 Currently senior director of ethics and compliance for Fresenius Medical Care in Boston, Shirley has previously worked in compliance consultancy in Hong Kong, as in-house compliance for Tata Communications in Singapore, and head of compliance for Aggreko in Dubai. She also has experience working for regulators in investigations roles in the areas of antitrust and data protection. Charles Smith is a strategic advisor and compliance consultant. He advises clients on many facets of the cannabis business, with a focus on state and local licensing and compliance. A member of the New York State Bar, Smith is intimately familiar with cannabis laws and regulations throughout the United States. His experience spans across multiple states, including California, Colorado, Florida, Maryland, Massachusetts, Nevada, New Jersey, New York, Ohio, and Pennsylvania. He serves as a trusted advisor to cannabis companies throughout the country with respect to many aspects of the industry including: licensing/compliance, strategy, and nationwide expansion. Smith works extensively with Registered Marijuana Dispensaries and Marijuana Establishment applicants in Massachusetts, providing compliance consulting in the licensing and regulatory process. He is a frequent speaker at cannabis industry conferences throughout the country. 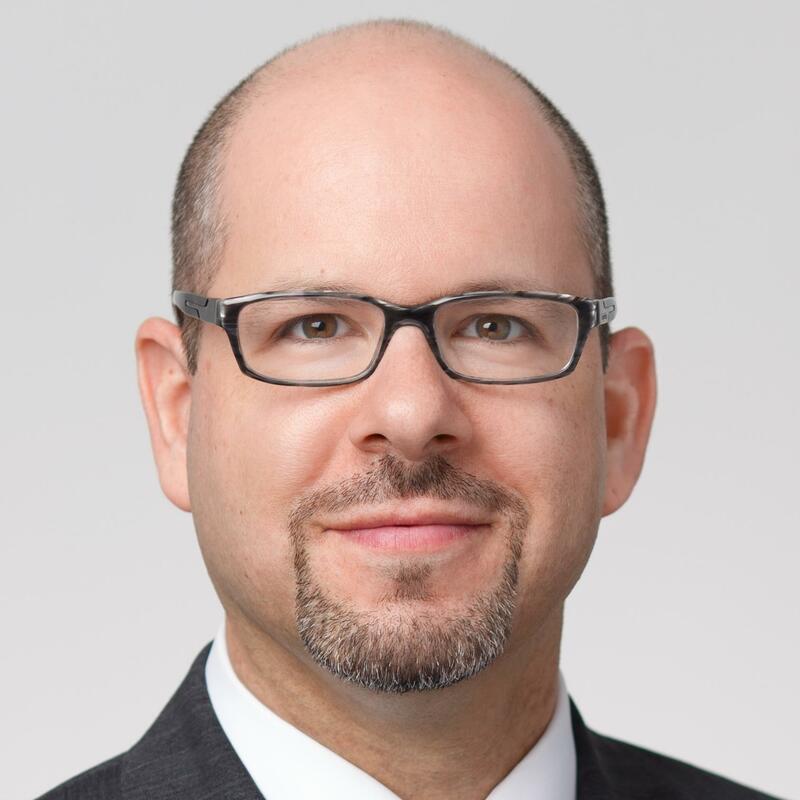 Joseph Suich serves as the global chief compliance officer and executive counsel for GE Power, General Electric’s largest division with over 70K employees and six industrial and digital sub-divisions, working in over 140 countries. Prior to this role, Suich served as the global chief compliance officer for GE Power & Water; general counsel & chief compliance officer for GE Power & Water in Russia & Eastern Europe, chief compliance officer for GE Energy in Central & Eastern Europe, and as senior counsel at GE’s headquarters. Before joining GE, he was a lawyer in private practice in New York. 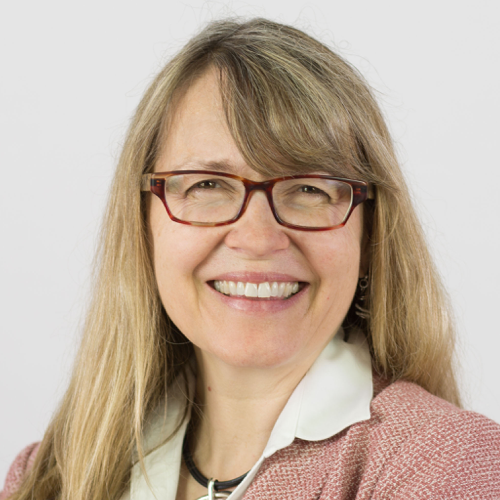 Director, Enterprise Risk and Sustainability, Lockheed Martin Corp.
Alison Taylor leads BSR’s sustainability management practice. She focuses on approaches to sustainability through risk management, strategy, stakeholder engagement, transparency, ethics and governance, and organizational change. Previously, she was a senior managing director at Control Risks, where she helped companies operate with integrity, particularly in high-risk environments. She has also worked at Transparency International, PwC, and IHS Global Insight. She has experience in strategic intelligence, market entry assistance, risk consulting, due diligence, internal investigations, enterprise risk management, and ethics and compliance. She speaks and writes regularly on risk and organizational culture. She is a board member of the ethics organization Center for Business Ethics and Corporate Governance. She is also an adjunct professor at Fordham Law School and the Gabelli School of Business. Previously, she served as general counsel and chief compliance officer of Georgetown University, coming from Gibson, Dunn & Crutcher, where she was co-partner-in-charge of the firm’s Washington D.C. office. 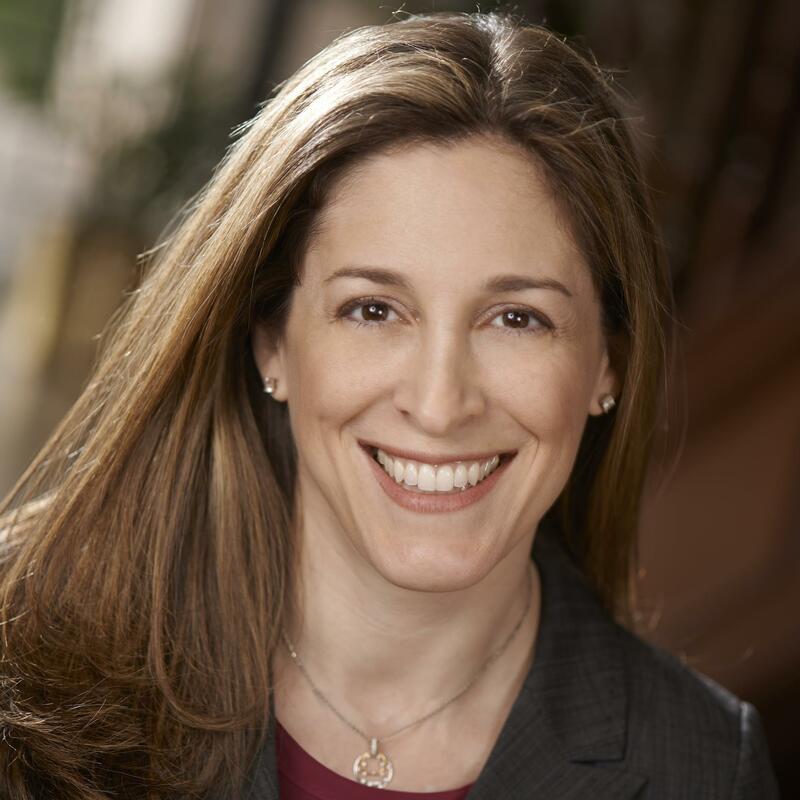 Named the “Outstanding Chief Legal Officer,” the “Top Corporate/Mergers & Acquisitions Lawyer,” and a top businesswoman in D.C, she also has been consistently recognized as a “Leading Corporate Lawyer” by Chambers and Partners, Inc. Stephanie also teaches at Georgetown Law Center. Ola Tucker has over ten years of experience in anti-money laundering, sanctions, and international anti-corruption compliance within the financial services industry. She is currently the compliance officer at Commonwealth Trust Co., located in Wilmington, Delaware. In addition, Tucker is an adjunct faculty member at Widener University Delaware Law School, where she teaches classes on international anti-corruption and compliance. Previously, she worked at MetLife and Alico, a former AIG company, where she helped implement and assisted in the oversight of the international anti-money laundering and anti-corruption compliance programs. She is a member of the Association of Certified Anti-Money Laundering Specialists (ACAMS). K.C. Turan is SVP, chief risk, compliance & ethics officer of UPMC Insurance Services. In this role, he leads the cross-organizational corporate compliance, ethics, enterprise risk management, privacy, fraud risk management, corporate investigations, quality assurance and operational integrity, third-party and vendor oversight, data governance, and various business unit and partner company compliance programs. With roughly 20 years of experience in the corporate governance, risk, and compliance (GRC) field, Turan has an extensive and highly successful track record of building, implementing, and leading numerous world-class and award-winning GRC programs across the most dynamic and heavily regulated industries, including healthcare, banking and financial services, insurance, and technology. Prior to joining UPMC, Turan held senior executive corporate governance roles at Blue Shield of California, Dun & Bradstreet, and Bank of America. 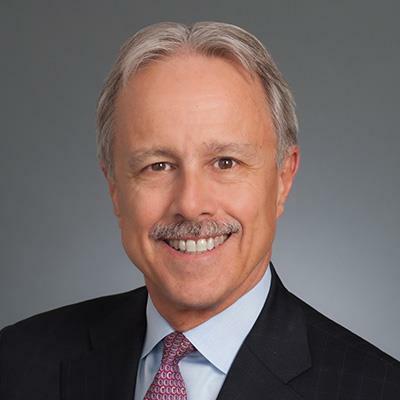 Theodore (Ted) Urban served for 23 years as EVP and general counsel of Ferris, Baker Watts Inc., a regional broker-dealer and investment advisor. He was a member of FBW’s board and executive committee; trustee of the firm’s pension and benefit plans; and chair of an affiliated trust company. He served on numerous SRO committees, including FINRA’s National Adjudicatory Counsel. Prior to joining FBW, he served in management positions at the Securities and Exchange Commission and Commodity Futures Trading Commission. He currently provides independent consulting and expert witness services to individual and institutional participants in the securities industry. He is chair of the board of investment trustees for a Montgomery County, MD Employees Pension Plan, and a board member of TCA TrustCorp America. He has been engaged in USAID-sponsored assignments in Ukraine to promote capital markets and reform of the pension system, and has written and spoken extensively on supervisory issues within the securities industry. Kim Urbanchuk is Parsons’ chief ethics and compliance counsel. Her areas of oversight include ethics, anti-corruption, trade compliance, and data privacy. Urbanchuk has previously served as counsel & director, ethics and compliance for Airbus; counsel for oversight and investigations for the House Transportation & Infrastructure Committee; federal accountability officer to the Metropolitan Washington Airports Authority; attorney-advisor at the U.S. Department of Transportation; and an assistant Commonwealth’s attorney for the City of Portsmouth, VA.
Chief Compliance Officer, United Bankshares, Inc.
Julie Vanderslice serves as the chief compliance officer for United Bankshares Inc. With 24 years of experience in the financial services industry, Vanderslice oversees the compliance program for the bank and its subsidiary George Mason Mortgage. In this role, she is responsible for leading efforts to ensure compliance with laws, regulations, and company policies as well as oversight of the enterprise complaint program and the fair and responsible banking program. Vanderslice chairs the enterprise-wide compliance risk committee which oversees the compliance management program. Prior to joining United in 2017, Vanderslice served as the deputy bank compliance officer at E*TRADE Financial. 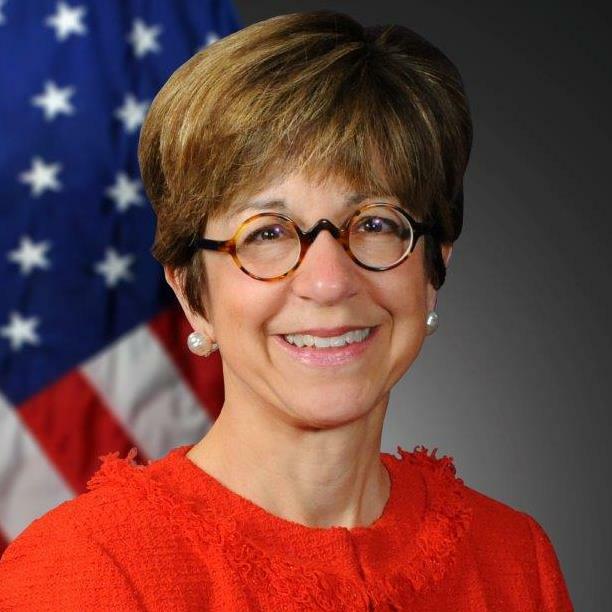 Vanderslice has served in various regulatory compliance roles throughout her career, including roles at the Consumer Financial Protection Bureau, the Financial Crimes Enforcement Network, and the State of Washington Department of Financial Institutions. Bob Walsh is the deputy chief compliance officer and chief financial crime officer of AXA Group. He also chairs the sanctions roundtable of global insurers and works on various financial crime working groups, including at the Financial Action Task Force. 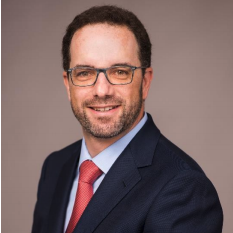 Walsh’s experience includes working in corporate finance at a global bank, senior counsel at the lead Canadian securities regulator, and general counsel of a Canadian financial institution. 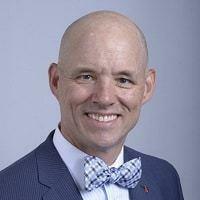 Brian Waterman is SVP and assistant general counsel at Citibank. He is legal counsel to Citibank’s Institutional Clients Group and Private Bank. He serves as a tax, fiduciary, banking, and wealth law subject matter expert and legal counsel for the bankers and advisors who service the bank’s ultra-high-net-worth clientele and the businesses that they own, operate, and control. Following his tenure in private practice, Waterman served as in-house counsel for M&T Bank / Wilmington Trust, and WSFS Bank. Waterman is Six Sigma certified. Margaret Weir is an experienced regulatory compliance and legal professional with more than 25 years of experience in leadership roles with multiple financial institutions and consulting groups. Weir has been chief compliance officer for several financial institutions, the most recent being Cambridge Savings Bank headquartered in Cambridge, Massachusetts. 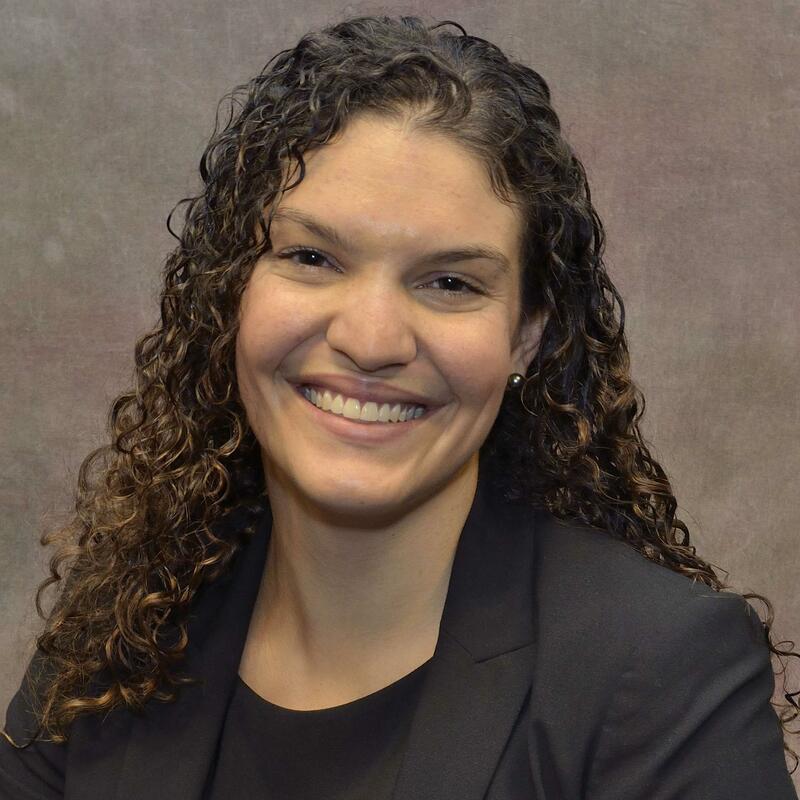 Currently, she is an attorney in the Boston metro area, providing consulting and education to the financial services industry, and serves as adjunct faculty within an LL.M. program at Boston University School of Law. She is a faculty member for ABA’s National Compliance School, a regular contributor to compliance publications, and a frequent regional and national speaker on legal and business topics. 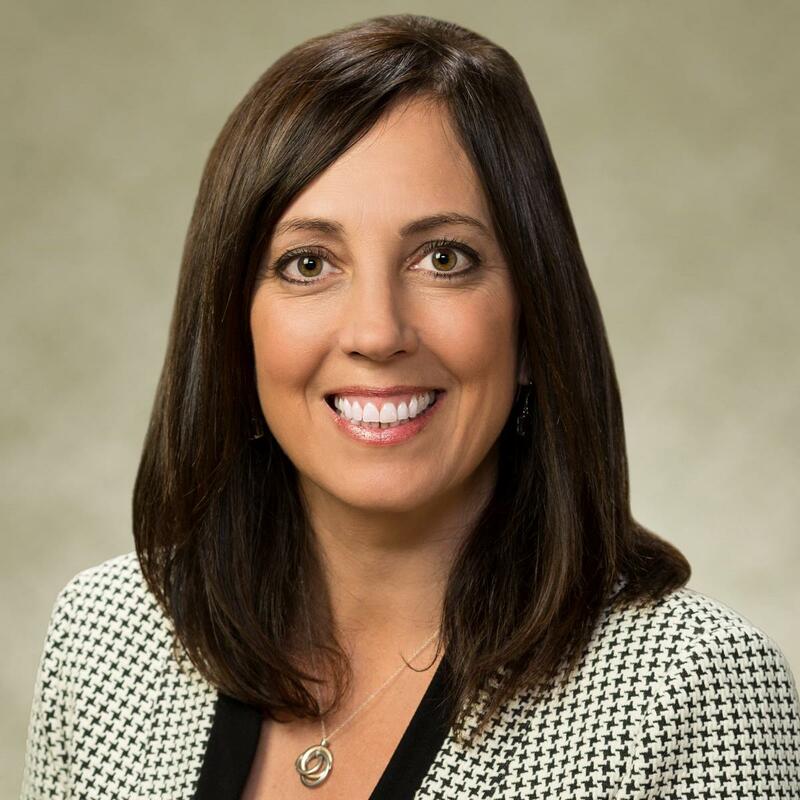 In addition she is a Certified Regulatory Compliance Officer (“CRCM”) through the American Bankers Association’s (“ABA”) Institute for Certified Bankers, a graduate of the ABA National Compliance School and the Graduate School of Banking at Colorado. Investigating the world’s largest database of internal whistleblower reports, Professor Welch has uncovered a counter-intuitive result. Firms with more reports and a more active whistleblower system are synonymous with organizations that are healthier, more profitable and less susceptible to material lawsuits. Join Professor Welch as he dives into the first empirical evidence that quantifies the ROI of the significant work ethics and compliance practitioners. Professor Welch will also discuss how to actively engage with these systems. Before becoming a professor at George Washington University, Kyle Welch worked on the investment team at the Stanford Management Company (Stanford University’s endowment). While there he developed asset allocation and portfolio strategies. Professor Welch also evaluated public equity, private equity, venture capital, and hedge fund investment opportunities and fund managers. Prior to working at Stanford, Professor Welch worked at Standard & Poor’s (S&P) in the Corporate Valuation and Consulting group (now part of Duff & Phelps). Professor Welch received his B.S. and Masters from Brigham Young University and his Doctorate from Harvard Business School. John has supported the greater Legal/GRC communities with creative content and technology solutions for 10+ years. 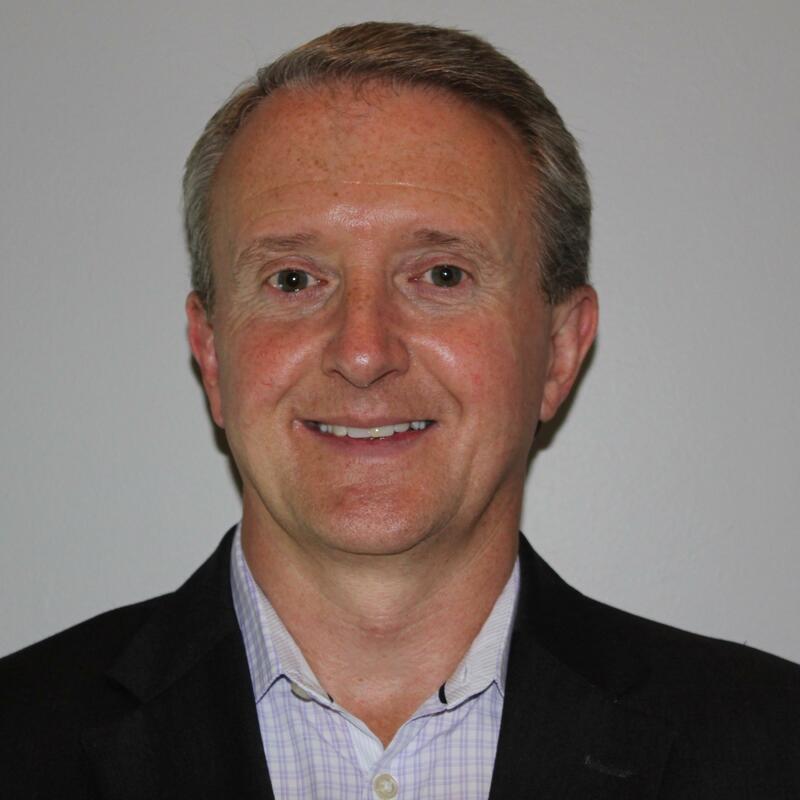 Presently, John works with Compliance Wave, a wholly owned subsidiary of Steele Compliance Solutions, supporting compliance programs looking to tailor their training and communications initiatives through customizable content solutions. Building on a unique blend of experiences working with legal marketing and technology, along with visual content creation and support for international advertising and consumer marketing campaigns, John’s diverse set of past clients include more than 75 AMLAW 100 firms as well as many of the world’s largest advertising agencies and their respective clients. 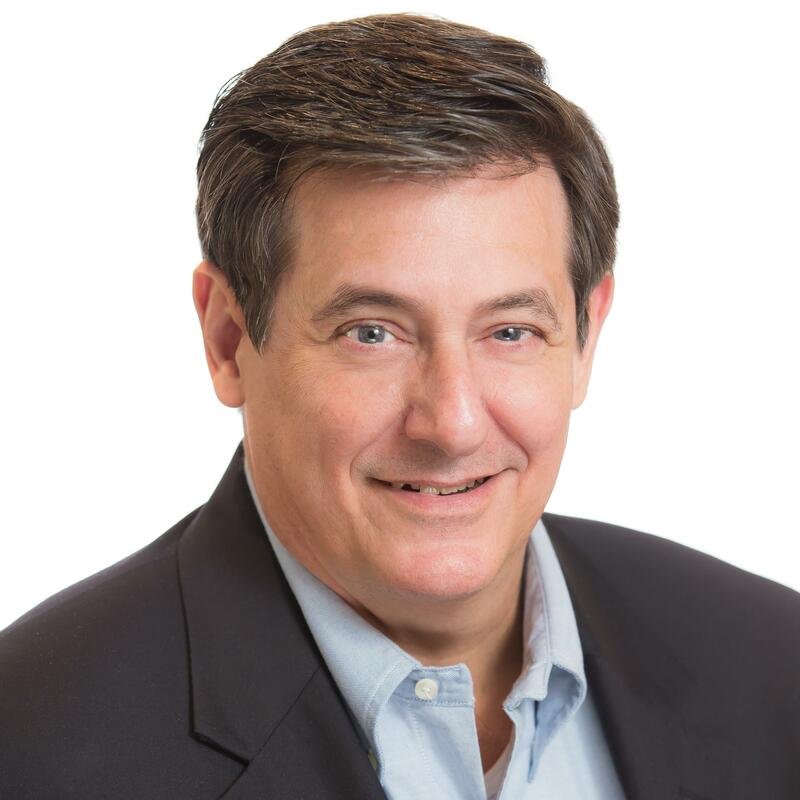 Active participant at Compliance Week, SCCE and ECI conferences and past member of the LMA, AALL, SLA, SCIP and ALA organizations John also holds a B.S. in Psychology from Rutgers University. Valerie Workman is currently serving as the associate general counsel, compliance at Tesla. In this role Workman serves as the global head of compliance. Prior to Tesla, she served as a VP in the legal department at Focus Brands, owner of iconic brands including Cinnabon® and Auntie Anne’s®. Prior to Focus Brands, Workman served as the VP, franchise compliance for Realogy, owner of leading real estate brands including Century 21® and Coldwell Banker®. Before Realogy, as the VP compliance and government relations for the world’s largest hotel franchisor, Workman founded Wyndham Hotel Group’s compliance program. Workman is admitted to the New York and DC bars and is Registered In House Counsel in California. Grace Wu de Plaza joined Farmer Mac in the spring of 2018 to launch Farmer Mac’s compliance and corporate integrity program. In this role, she is responsible for designing, developing, and implementing a comprehensive and effective ethics and compliance program. Reporting to the CEO and board, she partners with management to help ensure that key elements from the new compliance program are built into established processes and aligned with Farmer Mac’s strategic goals. She has close to twenty years of ethics and compliance experience and began her career at a national law firm, counseling clients through government investigations and assisting in internal investigations. She also served as the deputy ethics and compliance officer for The Nature Conservancy and as an ethics manager in Freddie Mac’s ethics and business practices group. 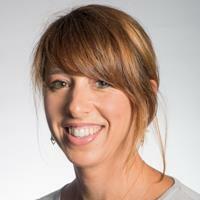 Karen Yankosky is a Senior Director in the Office of Global Ethics & Integrity at Salesforce. She has over twenty-five years of government contracts experience and specializes in the unique ethics and compliance issues that arise when doing business with governmental entities. Karen manages training for Salesforce’s public sector business, performs risk assessments and policy gap analyses, works with key stakeholders to implement appropriate controls, and conducts privileged investigations. 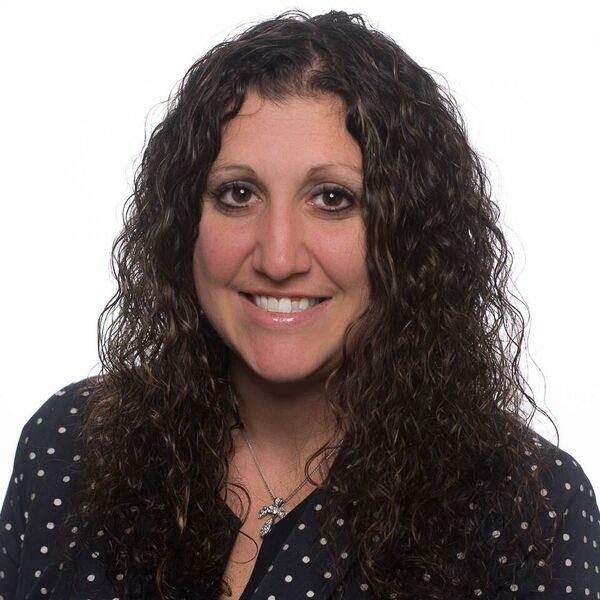 Before joining Salesforce, Karen was in-house public sector counsel to Xerox from 2007-2016 and handled a broad range of commercial item contracting issues, including pre- and post-award audits, bid protests, and contract negotiation and administration. 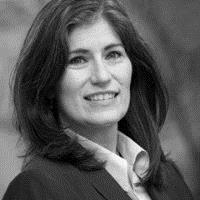 She also has experience on the government side, having been a procurement and fiscal law attorney for the Financial Crimes Enforcement Network from 2006-2007, a Trial Attorney for the Defense Contract Management Agency from 2003-2006, and a Contract Specialist for the Defense Logistics Agency from 1998-2002. Kim Yapchai is currently chief ethics & compliance officer at Tenneco, a $17 billion automotive component manufacturer with almost 90,000 employees and locations in almost 30 countries. She is an experienced global leader with a substantial track record of dealing successfully with complex legal and compliance issues in multinational, public companies, including Ford, Whirlpool, Masco Corp., and Tenneco. She is known as a business-oriented advisor who counsels senior leaders on issues of major importance and designs pragmatic solutions to achieve strategic results. In addition to being named a Top Mind by Compliance Week Magazine in 2018, she led Whirlpool’s efforts to achieve “World’s Most Ethical Company” designation by Ethisphere. Charlotte Young is Winrock International’s Chief Risk and Compliance Officer. Winrock International is a recognized leader in U.S. and international development, providing solutions to some of the world’s most complex social, agricultural and environmental challenges. Inspired by its namesake Winthrop Rockefeller, Winrock’s mission is to empower the disadvantaged, increase economic opportunity and sustain natural resources. Winrock manages a portfolio of more than 100 agriculture, environment and social development projects in over 40 countries. It has annual revenue of $100 million, employing over 1,000 staff around the world managed from five Winrock offices and dozens of project offices. At Winrock, Charlotte is responsible for compliance, audit, and risk management. Charlotte has strong compliance, investigations, non profit governance, and risk assessment and management skills, and has been a practicing attorney since 1986. Prior to Winrock, Charlotte worked for ten years at The Nature Conservancy (TNC), an environmental conservation organization. At TNC, Charlotte was the Chief Ethics and Compliance Officer, the Privacy Officer, and the Youth Safety Officer. During Charlotte’s tenure the organization was named one of the “World’s Most Ethical Corporations” by Ethisphere six times annually. Prior to TNC, Charlotte was a practicing attorney for 20 years. She started her legal career specializing in litigation and government contracts at the law firm of McKenna, Conner & Cuneo, in the Washington, D.C. area. After about 10 years she moved to an inhouse position as Assistant General Counsel of Unisys Corporation, then a $6B IT solutions company with about 40,000 employees worldwide. At Unisys she managed commercial litigation and also focused on fraud and bribery prevention and investigation. Charlotte is a graduate of The University of Virginia and attended law school at The George Washington School of Law. She has taught Legal Writing and Research at two D.C. law schools. She is a frequent speaker and presenter on ethics and compliance topics.